Are you a fresh graduate or in the midst of transitioning from your current job? Are you in between jobs and contemplating on your next career move? 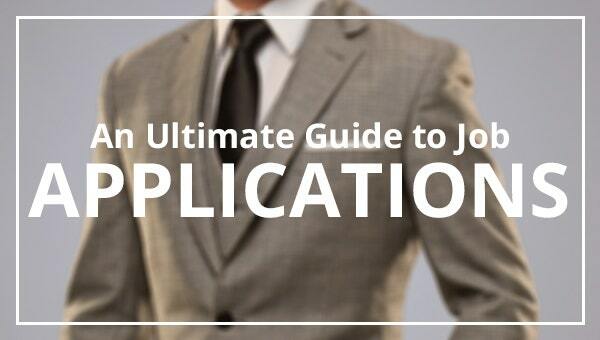 If you’re getting ready to start a job search, then this ultimate guide to job applications gives you “the” information about everything you need in an employment application process. 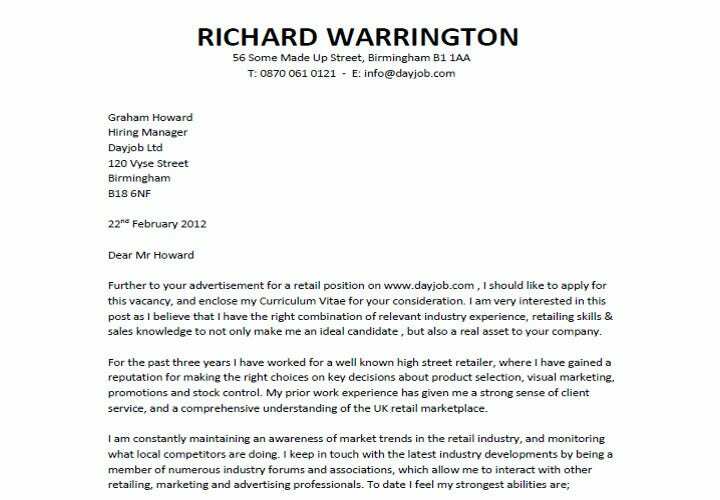 Whatever your qualifications, we have a lot of samples for application letters as well as resume templates. We’ll even give you tips on how to get a great recommendation from even the most uptight boss whom you need the recommendation from. 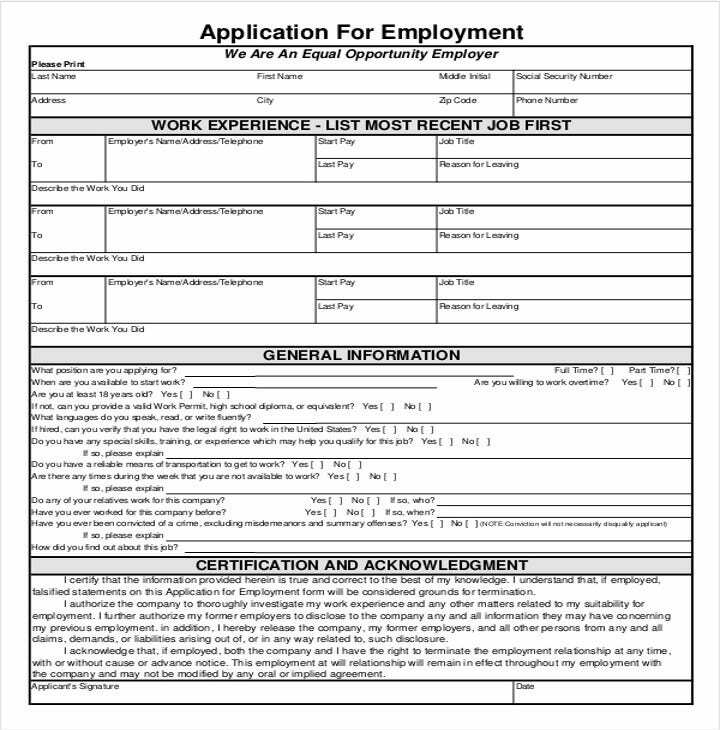 You can scan and review our wide array of employment application letters, cover letters, job application formats, templates and everything else you need to know from these samples to apply for a job successfully. 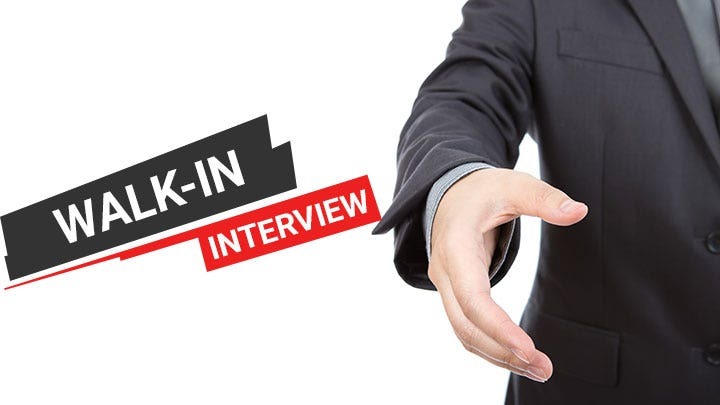 Of course, to really land that dream job successfully, you have to be prepared for a personal job interview which most companies are implementing. You can, however, take cues from your job application letter by reviewing it thoroughly before your scheduled interview. Essentially, your interview questions will be based on what you wrote in your application. 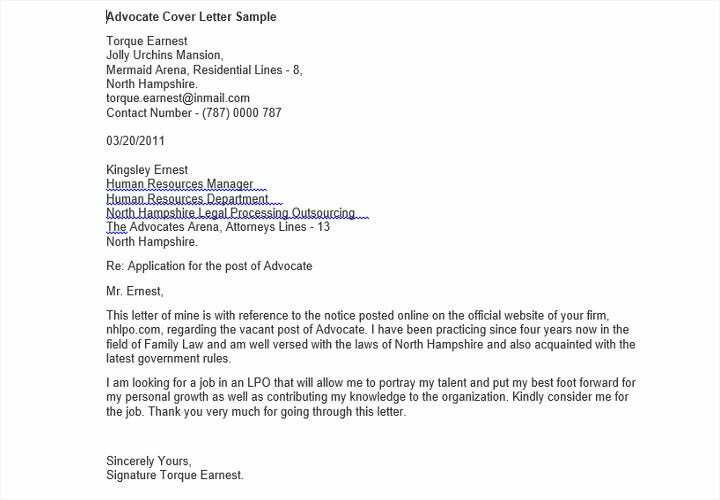 Acing your interview basically, depends on your qualifications that you’ve enumerated in your application letter. We’re here to help, so review our expansive job applications guide and get ready to land that perfect job! Finding a job could be difficult when you don’t know where to start. But don’t worry, we’ve got a book load of tips and tricks to make your job hunting experience less of a pain. If you already have an idea on the kind of career you’re trying to build, I have a question for you: Why this job? Some people already have their entire lives planned out. Whether it’s finding a job, falling in love, getting married and have kids plan or the find a job, save money, quit and travel the world route, there is one thing in common: it starts with the job. The thing is, you probably already know why you need a job, but the question remains on why you’re eyeing a certain career. Choosing a job might seem as easy as applying for those that have openings and working for the one that hires you and gives you the most money. Choosing the right career, however, is a whole different story. It might take a while before you find a path that you could imagine pursuing for the next 50 years but when you find it, you’ll know it’s worth all the effort and sleepless nights. The Myers-Briggs Type Indicator, more popularly known as the MBTI, is based on the theories of the father of analytical psychology, Carl G. Jung. He theorized that what appears to be random behavior is actually the result of the differences in the way people prefer to use their mental capabilities. During the Second World War, a mother-daughter duo named Katherine Cook Briggs and Isabel Briggs Myers took Jung’s theory of personality and created the Myers-Briggs Type Indicator, a personality assessment test that makes Jung’s theories less jargon-filled and more understandable for the public. 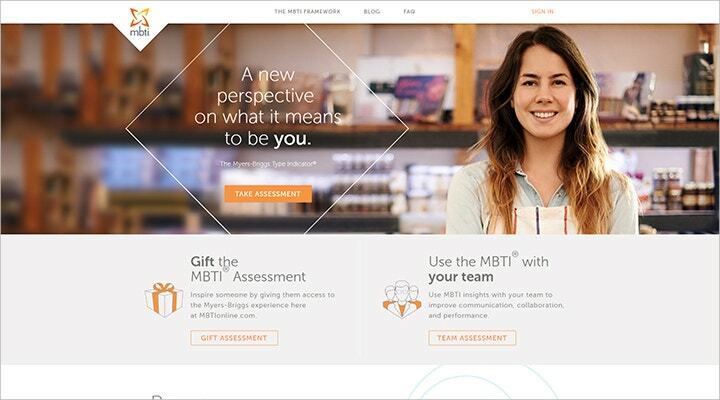 Today, the MBTI is perhaps the most popular personality test and is used in 89 of the Fortune 100 companies. Take this MBTI/Jungian personality test then refer to this infographic by Paul Sohn for the best career paths for your personality type. 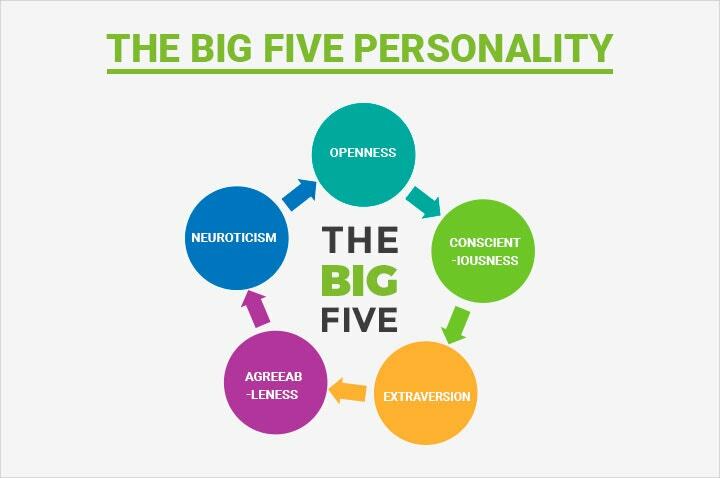 The Big Five Personality Test is one of the most preferred valid, reliable, and academically tested personality tests out there. It measures the five most broad dimensions used by psychologists to describe the human personality and psyche. Aside from the five broad dimensions (Openness to Experience, Conscientiousness, Extraversion, Agreeableness, Neuroticism; often abbreviated to OCEAN), there are also certain traits correlated to each. For example, Openness to Experience has been correlated with creativity and flexibility. 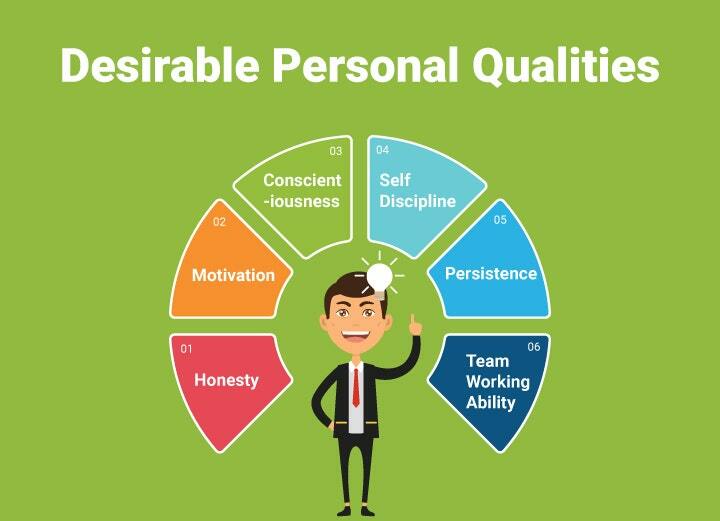 Take the Big Five Personality test here and refer to this aptitude analysis site for suggestions on the kinds of jobs you should take on. The 16 Personalities test is based on of the two previous personality assessment tests mentioned here – the Myers-Briggs Type Indicator and the Big Five personality test – with an added twist of their own. They adopted the concept of the MBTI and added another dimension (Assertive or Turbulent) to bring it closer to the Big Five test. Additionally, they also incorporated Jung’s archetypes in each personality type, making it easier to understand and more relatable. 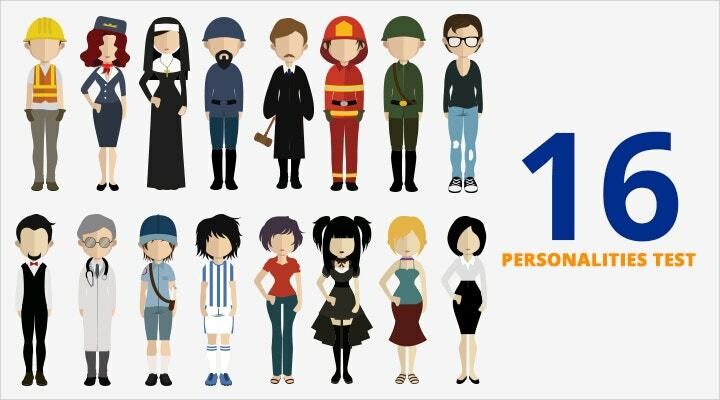 You can take the 16 Personalities test for free on their website. After taking the test, you are given an in-depth analysis of your results including a summary of who you are as a whole and who you are in romantic and platonic settings, the kind of parent you might become, your work habits, and the career path that would be ideal for you. The people behind the Gallup Strength test believe that a key to achieving success in figuring out where our best talents lie. 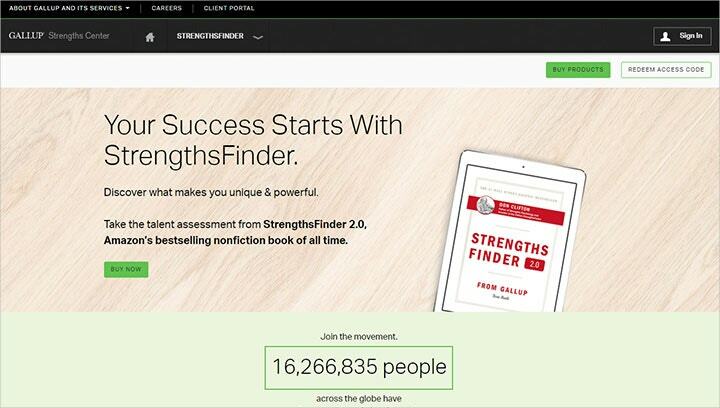 For a fee of $15, learn your top 5 best strengths and add $74 to know the rest. You could also buy the entire bulk and know all 34 of your strengths for only $34. Visit the Gallup Strength Center website for more information on this aptitude test. The Motivational Appraisal of Personal Potential Assessment – or MAPP – is a career assessment test you can take online. It contains 71 questions that are very useful n helping you choose a career path to follow. In the end, it gives you an overview of your temperament, aptitude, interpersonal skills, your reasoning processes, and even your mathematical skills and language capacity. The free version gives you a relatively vague description, making you want to shell out a couple dollars for the starter package costing about $90 or going all out with their $120 Career Seeker package. Visit their website for more information. Psychometric tests may be helpful in determining the kind of career you would most excel at, but it might not be wise to depend entirely and solely on it when deciding the career path you want to take. Remember that there are many things to consider when choosing a career and that your attitude toward something does not immediately correlate with your being happy in it. Thanks to our rapidly developing technology, searching for a job can be done easily in the comforts of our own homes. 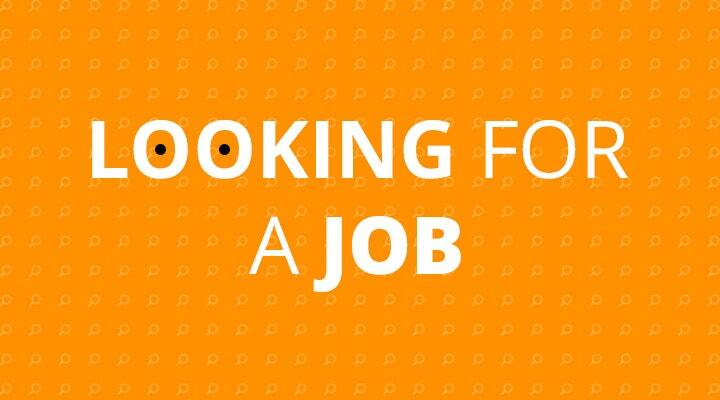 Job portals make it so much easier for us to find the jobs we want to just a couple of clicks. Even social media is giving both job seekers and recruiters an easier time connecting with potential employers and talents, respectively. However, times are tough and the competition is stiff. Some of the recruitment websites you might stumble into are shady and might take advantage of the resume and other information you might upload. Thus, it would pay to be wary and only give sensitive information to trustworthy websites. I’ve compiled a list of seven sites that are definitely safe to use for your job hunting needs. SilkRoad’s Top Sources of Hire reports that Indeed.com ranks at the top as the external method for hiring in small-scale businesses globally. In fact, Indeed was responsible for four times more hiring and interviews conducted than the site next in line. The thing about Indeed, however, is that its website is far from neat and clean. In fact, it takes job listings from other websites which make it both convenient but annoying. Indeed has three ways for employers to post job listings: free, sponsored, or large scale. Sponsored listing could either be paid per clicks or paid depending on how long you want your ad up. For large scale postings, you have to call Indeed to have the whole matter, payment included, cleared and sorted. Free listings may be tempting but are not as effective as they tend to get buried by the paid ads. Indeed may have a few less than average points, but they are definitely worth checking out. According to Comscore, Glassdoor is the fastest-growing job site. It was founded in 2008 and has collected about 11 million reviews for the half a million companies they have on their site. A unique feature that sets Glassdoor apart from all others like it is that it contains inside information on the company. Employees can leave reviews – positive or negative – about the company as long as there is a balance in the contents of the review. 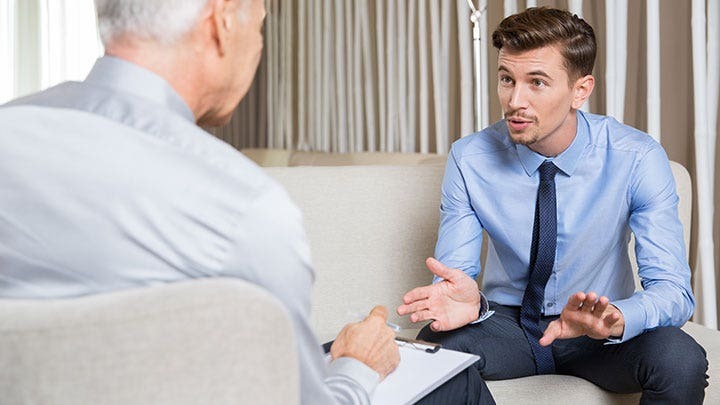 Furthermore, in Glassdoor, you might also be able to find information posted by both current and former employees on possible interview questions, how long the hiring process might take, and what factors would be considered so that a candidate will be hired. It is a good idea to know as much about a company as possible before showing up for an interview. Glassdoor has made this easier. Through Glassdoor, you can get to know a company before you even step foot in its territories. With Simply Hired, job hunting is made so much easier. Their search engine makes site navigation easy and helps you find exactly the kind of work you want. Simply Hired’s navigation system is very user-friendly. If you know the kind of job you’re looking for, you can simply type in the specific job or keywords. If not, browse through job listings organized by categories until you find something that piques your interest. Know how much your expected salary would be through their salary estimator tool. Interested in a company and not a job? No problem, Simply Hired has you covered. 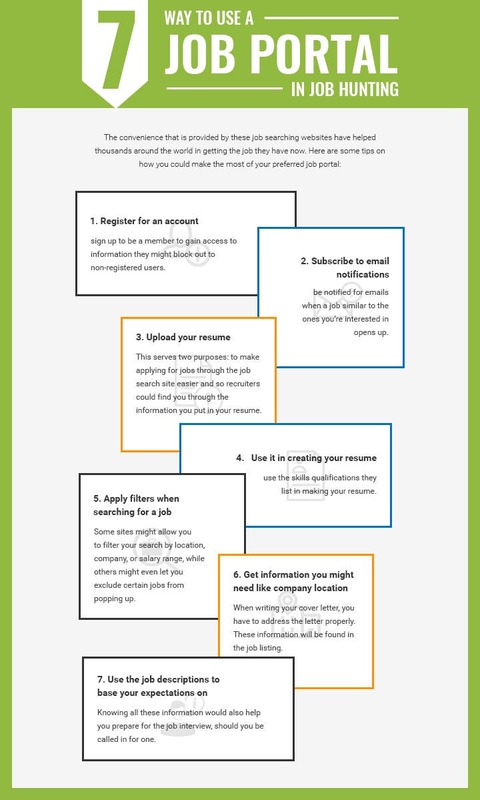 Simply Hired has everything you need to know and would want to know (in a neutral ground). Simply Hired could also be connected to your various social media accounts like Facebook and LinkedIn to a much more connected network. Simply Hired really does make getting hired simply. LinkedIn is perhaps the largest social media networking site created for professional connections. If you’re looking to find people to connect with in terms of business, networking, and other career-oriented purposes, LinkedIn is no doubt the place to go. With hundreds and thousands of users from all over the globe, there is no doubt that you will find what you’re looking for in LinkedIn. There are two kinds of accounts in LinkedIn: free accounts and premium accounts. Members with free accounts can access the basic features that LinkedIn has to offer such as connecting with old classmates, colleagues, bosses, and subordinates; company searching; job hiring; job hunting; and company research. Accounts of premium memberships have more features they can access, with the premium accounts branching into four sub-categories namely Job Seekers, Sales Navigators, Recruiter Lite, and Business Plus. Check out LinkedIn and sign up for an account. This network of corporate connections might just be the key to helping you land your next gig. CareerBuilder is one of the largest job searching sites in the United States. Partnered with about 140 newspapers, Careerbuilder has an impressive 24 million job seekers a month visiting their site. What makes Careerbuilder so great is its navigation system. You can search for jobs by inputting keywords, a zip code, state, city, or company. You could also include words you want to exclude so that jobs you are not interested in will not show up during your search. 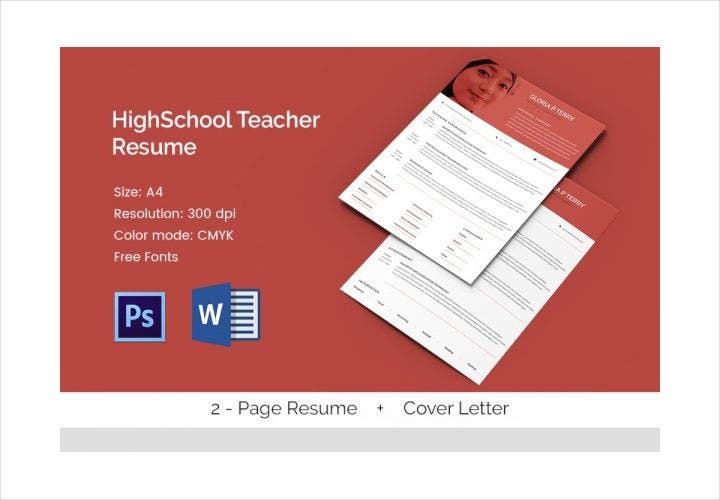 Upon entering the site, you will be asked to upload your resume so they could give you a list of job openings whose qualifications you might meet. You also have the option to check out salary information and job descriptions. Careerbuilder is the largest job search engine out there for a reason. 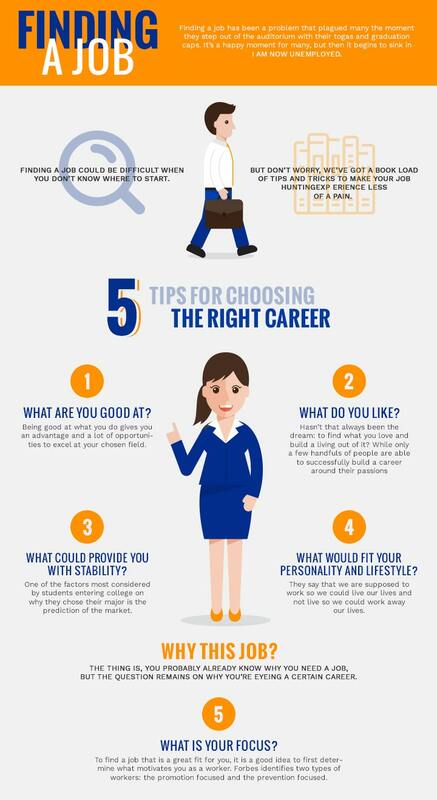 Build your career at Careerbuilder now. Monster has an impressive collection of job listings from all over. Be what you’re looking for hourly jobs, contractual jobs, or somewhere you could build your career, you can be sure that Monster is definitely worth checking out. With a variety of different tools that you could use to make job hunting easier, Monster has upped the expectations. It is no wonder that Monster is one of the top job board sites. Monster offers three incredibly useful tools to assist you during your job hunt: The Career Snapshots, which lets you research on available work; the Career Benchmarking, which lets you compare different jobs and determine expectations from jobs; and the Career Mapping, which lets you plot the path you want your career to take. Whether you’re a fresh graduate, an expert, or someone looking to make a big change, Monster.com is definitely worth visiting for all your job searching needs. Knowing the proper ways of using job portals would help you make the most of its features and capabilities. This would help you ensure that you are looking at the best possible job listings that would match you. Applying for jobs, especially for first-timers, may come off daunting. Especially on an economy like ours, jobs have been even more of a scarcity than ever before. 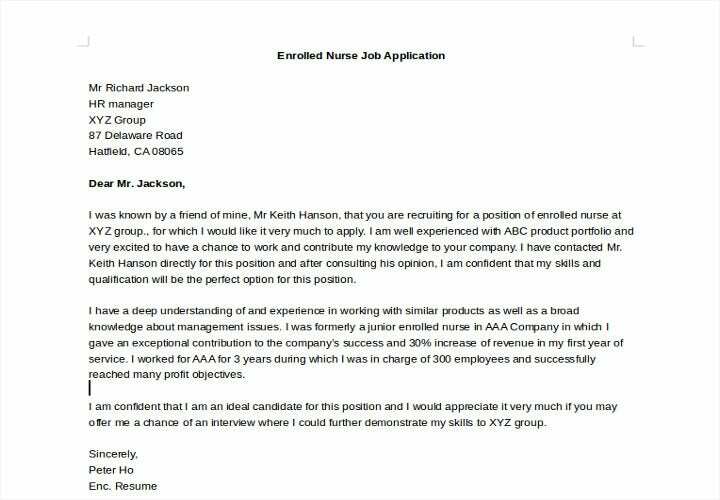 One sure fire way of getting one foot through the door and getting called in for an interview is submitting a compelling application letter. 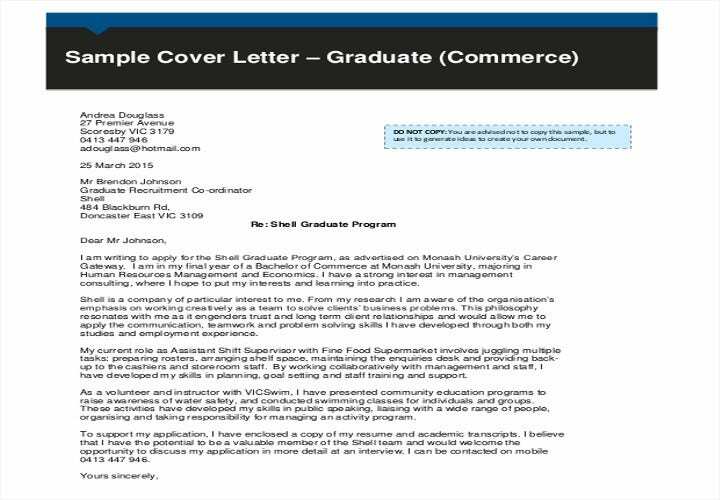 An application letter is a standalone combination of your resume and cover letter. 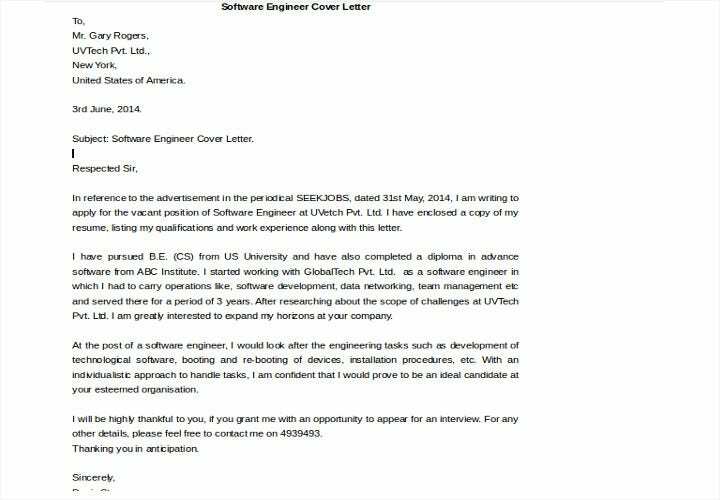 It is a single-paged letter whose purpose is to convince a recruiter of your qualifications for a certain job. 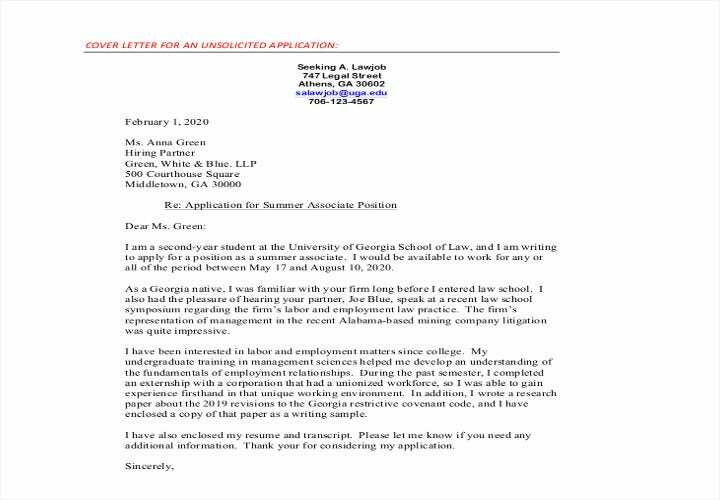 While it is not common, an application letter is sent in place of a cover letter and resume. 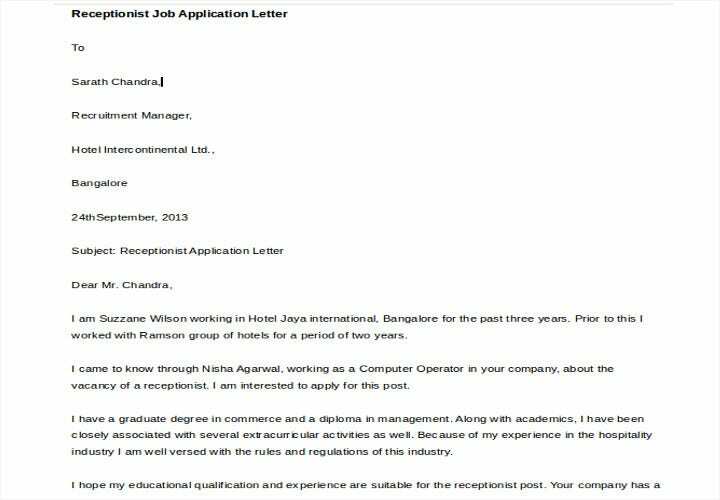 This is usually done in situations like requesting for a grant or applying for a slot in a university. Type in your name and contact information. These days, it is now permissible to only include your email address and mobile number and exclude your address for security purposes. Make sure that you have a respectable and mature email address. Put your sassykiller_pinkprincess@email.com address behind and create a simple, professional email address that you would not be ashamed to put on a form. Professional letters serve as the official documentation of the communication between two parties involved in a professional relationship. Thus, it is very important that the date of the composition of the letter be included to make tracking of the correspondence easier. This depends entirely on your personal preference. The most common salutation is “Dear” but there are some people who are not comfortable with calling a stranger such. You may opt for less intimate salutations such as “To Mr. Smith,” or even simply, “Mr. Smith”. Be straight to the point and tell the recipient what your purpose for writing is. The recipient may be busy and beating around the bush would be wasting their minutes. While an intelligently written and organized letter will be appreciated, you don’t have to worry about sounding too flowery and poetic with your words. It is in the body of your letter that you have to work on the most. This is where you write the contents that would persuade the reader to call you in for an interview. 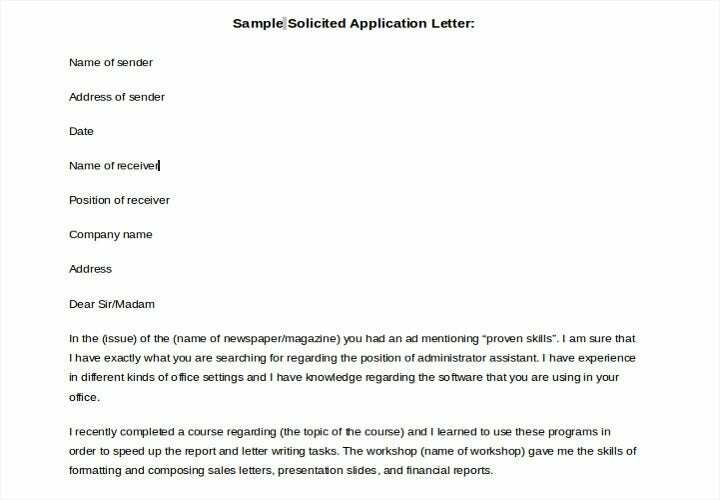 The body of your application letter can be divided into four paragraphs: the introduction (as discussed before this), and the second, third, and fourth paragraphs. 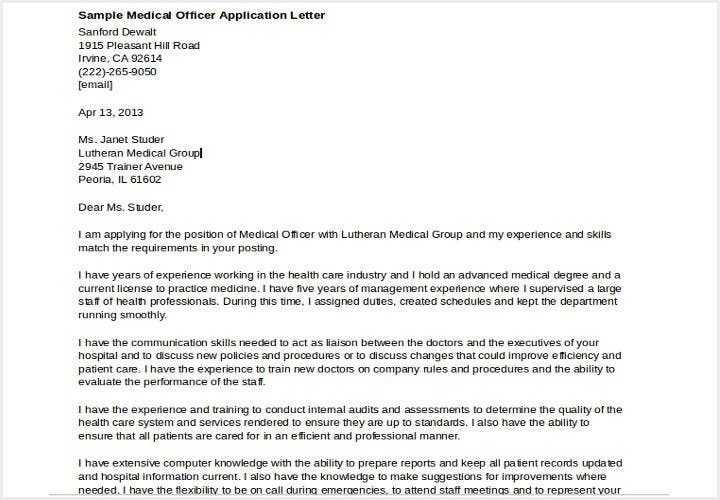 In the second paragraph, this is where you list all your qualifications that make you the best fit for the job. Refer to the information you’ve researched about the company and the morals and values you know that the company possesses. Study the job listing or the want ad and find the job qualifications they listed and mention these. However, remember to showcase your written communication skills and find a good transition between one idea to the next. The third paragraph is where you convince them of the services you could provide for the company. In here, you mention how the company could benefit from hiring you and why you should be chosen over the other candidates. See to it that you phrase these ideas convincingly and not arrogantly. The last paragraph is your closing paragraph. In here, you thank the recipient for taking the time to read your letter. Make sure to close the letter with a call to action and request them to contact you at any time. Some people like to give a specific time and date for the recruiter to call to reduce anxiety on when the phone will ring. However, doing this might run the risk of you sounding too arrogant or bossy. 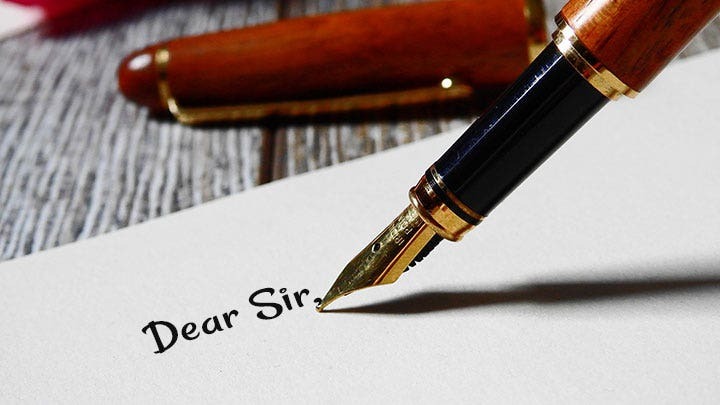 End the letter with a closing salutation like “Sincerely” and “Signed.” Avoid intimate salutations like “Forever,” “Love,” and “Yours Always.” You can print the letter up and handwrite your signature with a nice, black pen. 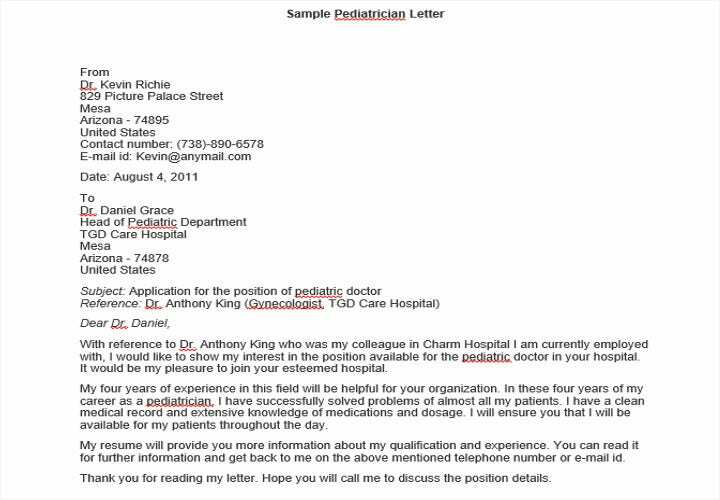 A well-written application letter could make or break your application. Take time when composing your letter and pay attention to both the quality of your work and its contents. Making your achievements sound less than they actually are would definitely ruin your chances of getting called in for an interview. You may be going for the humble effect but all the recruiter is going to see is someone unqualified and undeserving of the position. Remember that companies are looking for good, not good enough. Just as underselling yourself is not advisable, neither is making more of your achievements than they actually are. 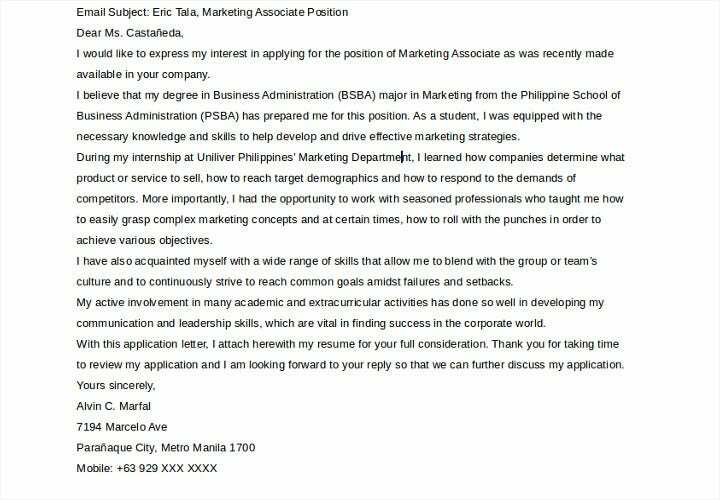 When you exaggerate your qualifications and have no evidence to back these up, that’s called “boasting.” Others might even call it “lying.” While selling yourself might be the game in application letters, over exaggerating is cheating – and nobody wants to hire a cheater. While the two words may be used by many interchangeably, there are subtle differences between the two. 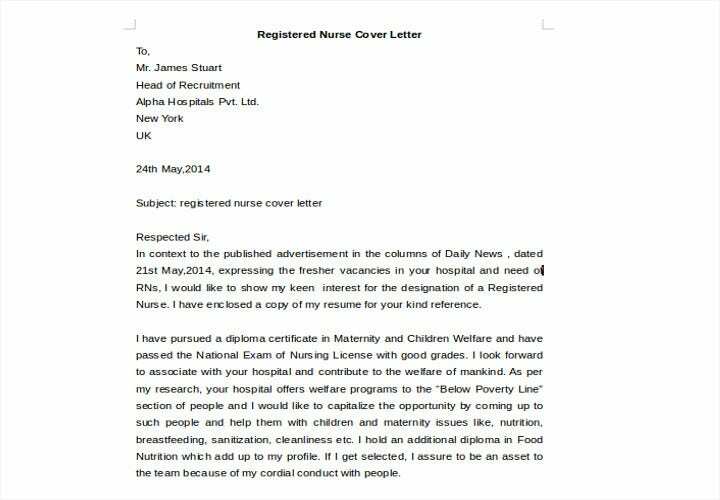 An application letter is a standalone letter that combines the purposes of both a cover letter and a resume. Don’t mistake one for the other and make sure you submit the right requirements that the company demands of its applicants else you might miss out the chance for your inability to follow instructions. Unless you’re already a superstar in the field you’re trying to apply in, your name would mean squat to the recruiter. Instead, begin the letter by telling the recipient why you’re writing the letter. You’re writing an application letter, not your entire life’s biography. Only include relevant information that would help the recruiter decide whether or not you will be a good fit for the job. Have your work checked and rechecked by someone fluent in the language you’re writing in to avoid errors in spelling and grammar. Even if the mistake is a typo, a recruiter might toss your letter in the bin as they might perceive you to either be: (a) someone who can’t spell; or (b) someone who isn’t serious about the job that they can’t even correct or check their letter. 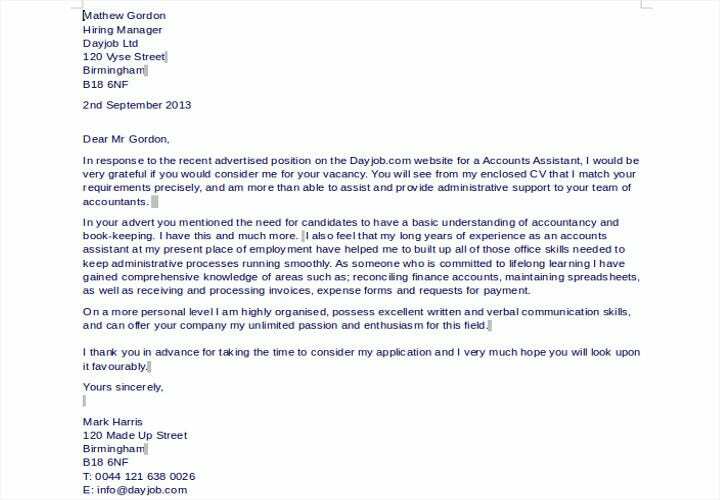 Application letters should be tailored to fit the company you’re applying to and the position you’re applying for. Remember to mention what makes you right for the company and the job by going through the job description of the open position and the values, culture, and background of the company. Using phrases like “I think” and “I believe” make your statements sound like mere opinions. To make your statements sound assertive and strong, state them as if they are facts by going straight to the point. Using difficult words and jargons to sound smart only end with you coming off as pretentious instead. Make sure that you choose your words appropriately and refrain from using words that you’d have to look up on the dictionary to understand. Remember that the people who will be reading your letter are very busy people. If they don’t understand what you’ve written on your letter, chances are, it’s going to find itself in the bin. 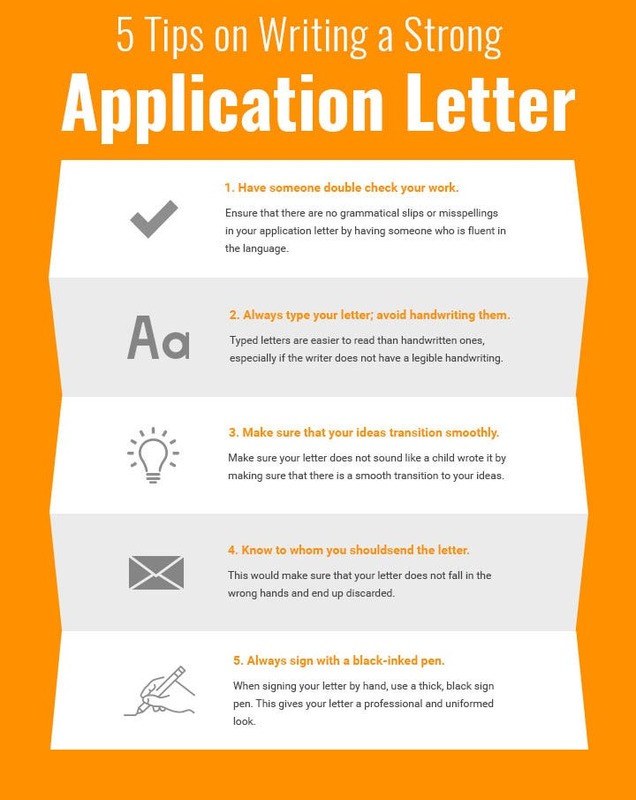 Knowing the common mistakes that people usually commit when writing an application letter would help you avoid these mistakes so you could write a strong, flawless letter that gives you a higher chance of being called up for an interview. 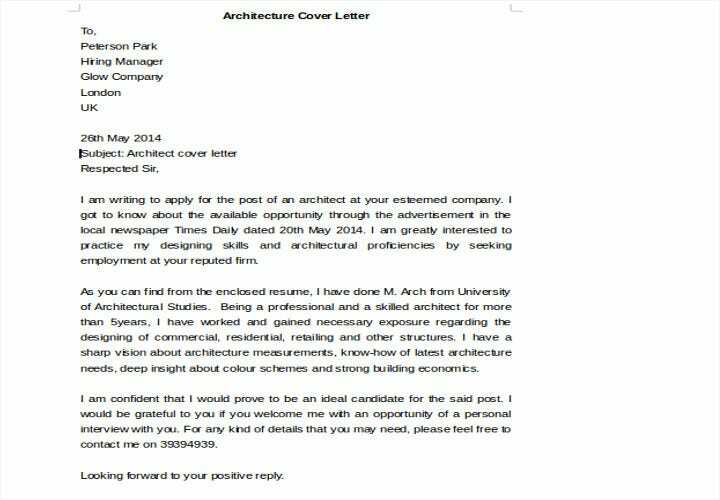 A well-written application letter is half the battle when it comes to looking for jobs. 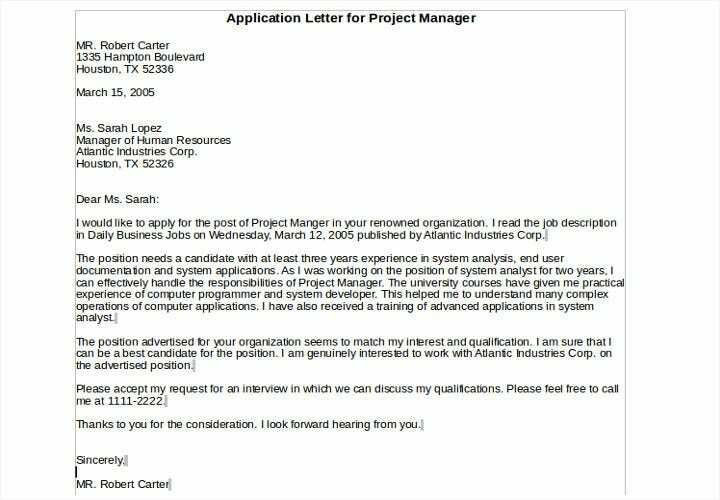 An average candidate with a great letter might have a higher likelihood of being called in for an interview than a highly qualified candidate with an unimpressive application letter. 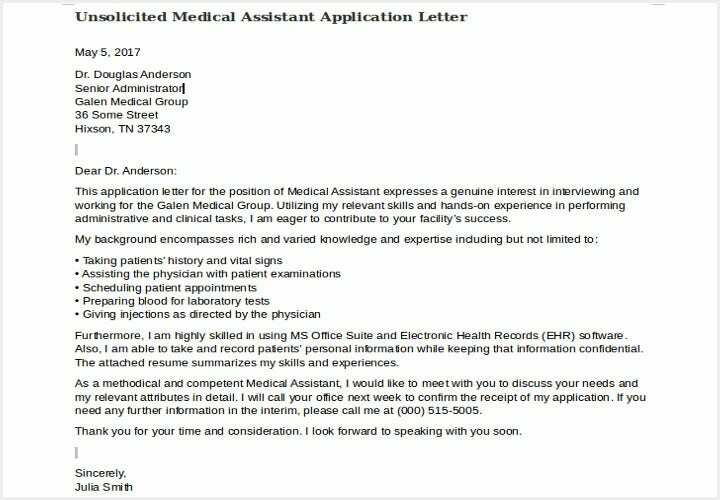 Check out the templates we’ve provided to serve as your guide in writing the kind of application letter that will get the phone ringing. 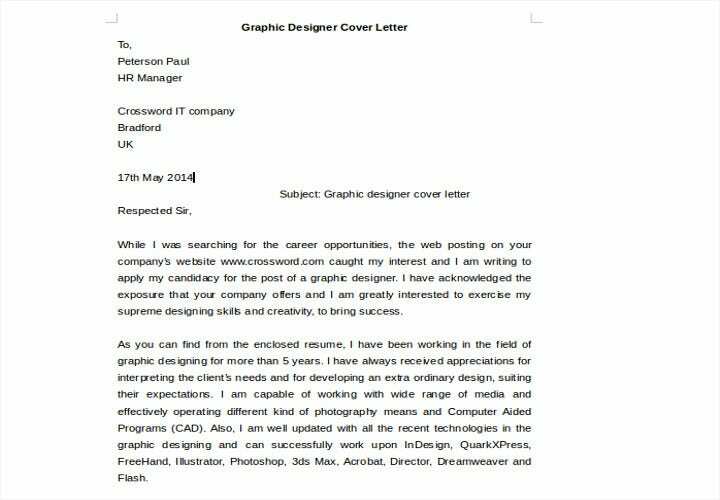 Almost always, a cover letter is needed to be considered for a job. 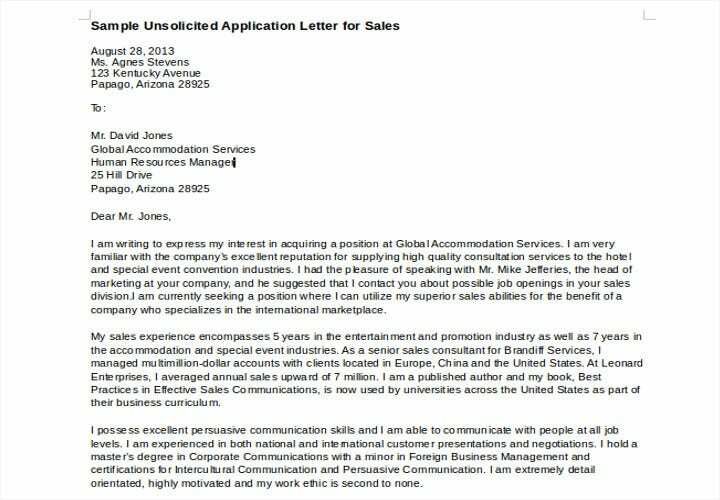 A recruiter could tell a lot about you without meeting you with a single glance at your cover letter. Not bothering to send in a cover letter gives the bad impression of your lack of dedication to the job as you can’t even be bothered to compose an important part of your application. 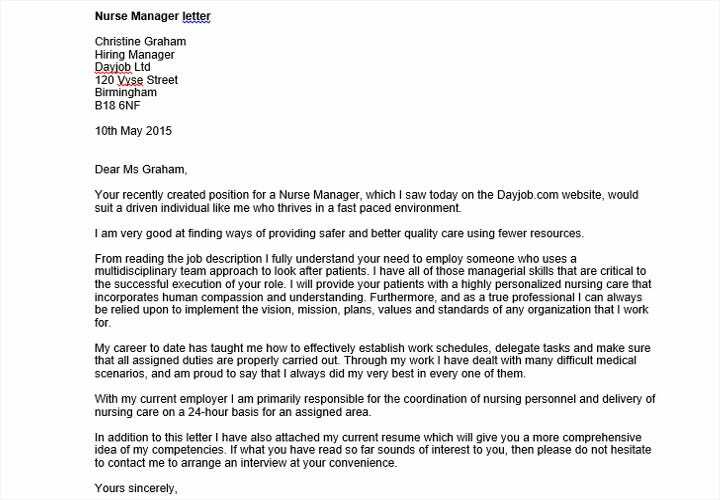 A poor and hastily written letter might give the same impression. 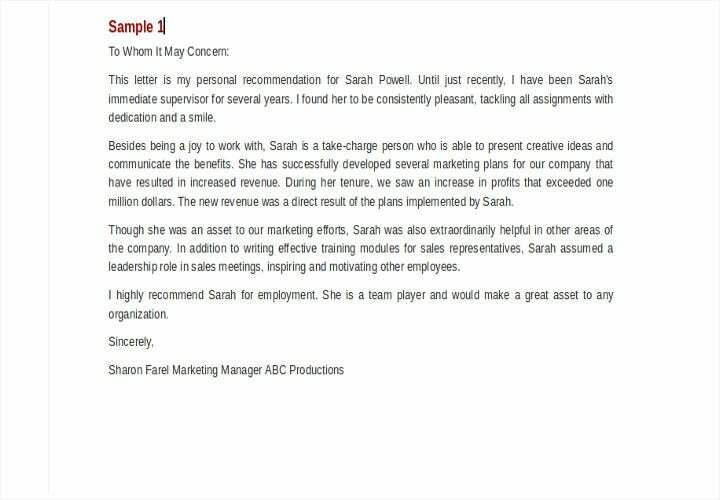 In this chapter, you will learn everything you need to know about writing a proper and impressive cover letter. 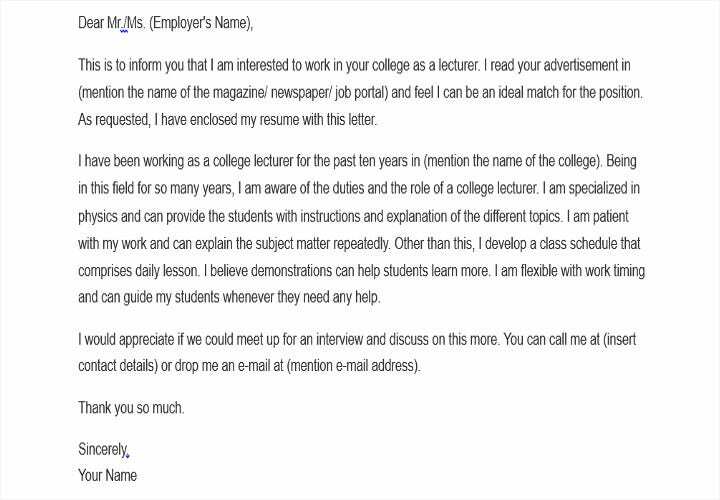 A cover letter is an introductory letter you will write where you will state the purpose of your application, introduce yourself, and provide additional information that will complement the contents of your resume. 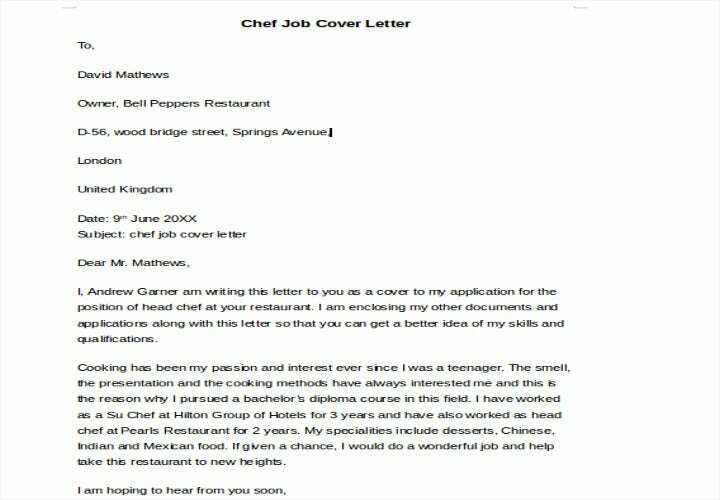 Recruiters and employers use cover letters as a way to screen candidates for the jobs they wish to interview for. 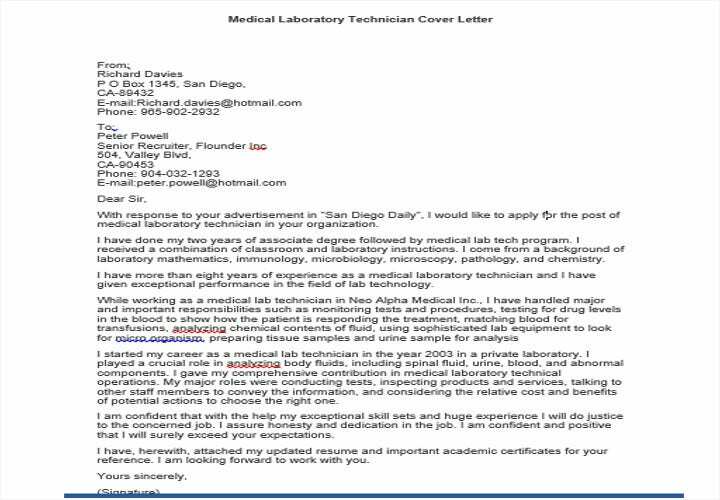 Most job listings would indicate whether or not they would require a cover letter but even if they don’t, it would still be advisable to send one anyway. 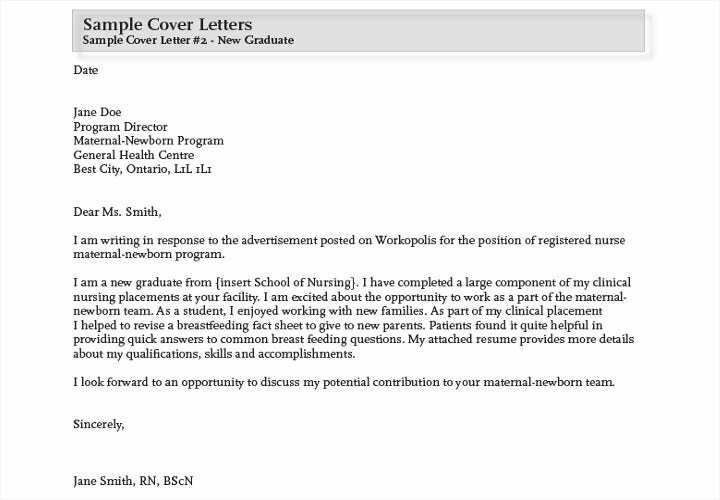 How is a Cover Letter Different from an Application Letter? 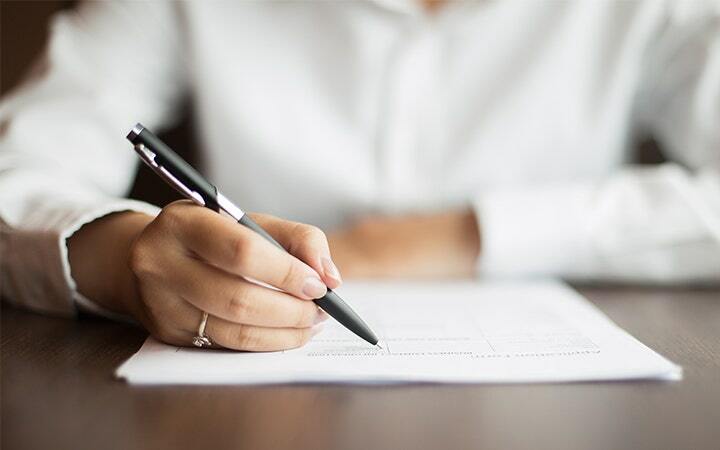 While the terms application letter and cover letter are often used interchangeably, there are subtle differences between the two. 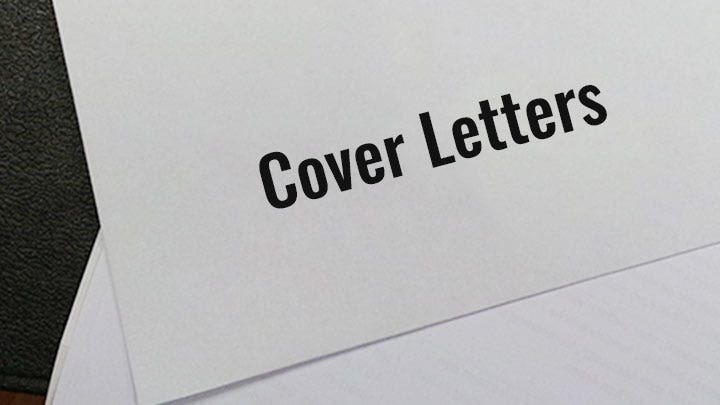 Mainly, cover letters are sent as a complementary document to a resume while application letters perform the functions of both a cover letter and a resume and are expected to be a standalone document. 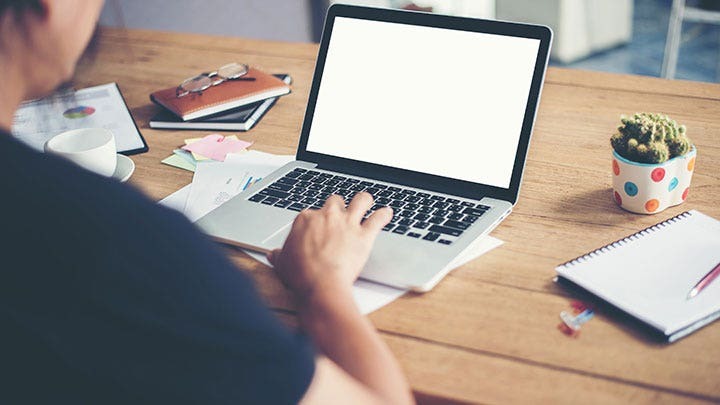 It is important to be familiar with the similarities and differences of both terms as some companies might require an application letter while others would require a cover letter and resume. 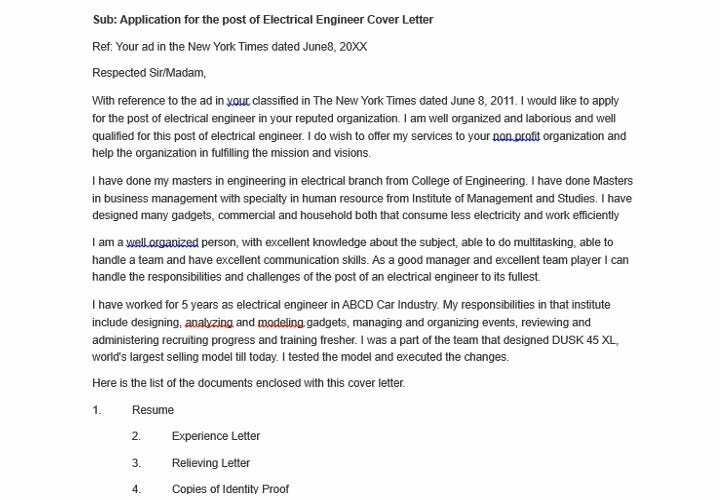 Why Should You Have a Cover Letter? 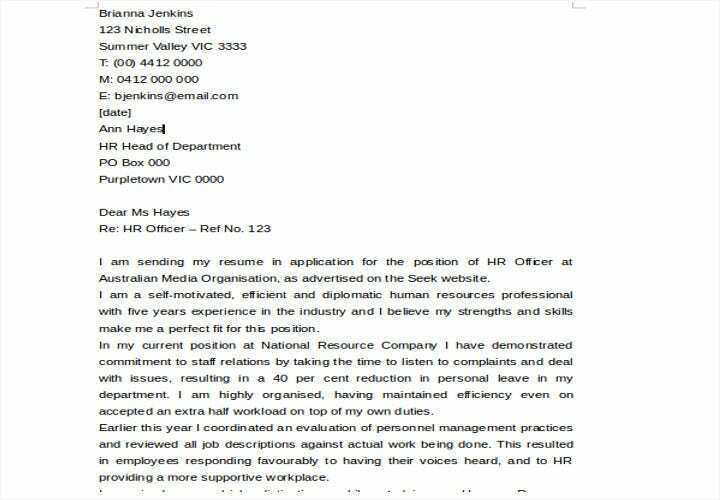 Heathfield’s statement is backed up a career expert, Heather Huhman, who claims that writing a cover letter would allow you to explain to a potential employer why you should be hired over other candidates. Furthermore, including a cover letter with your resume might also demonstrate your dedication to the job and how much you want it. Even when it is not required, sending one would demonstrate that you are willing to go the extra mile to make sure that you get the job done completely and at top quality. 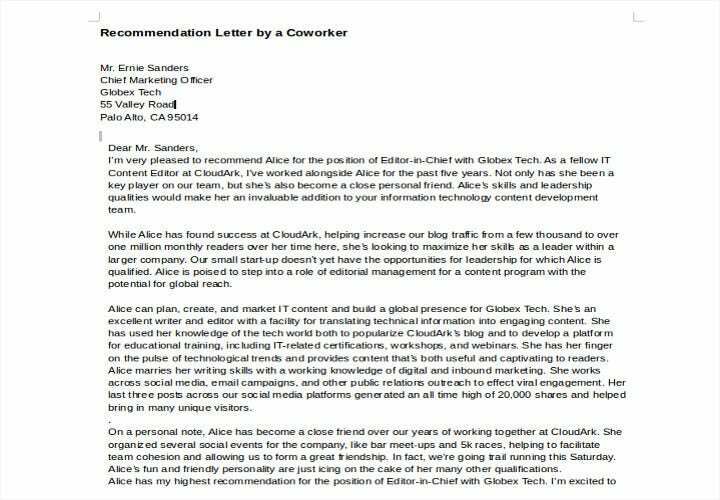 Word of warning: Always send a cover letter EXCEPT when specifically instructed not to do so. 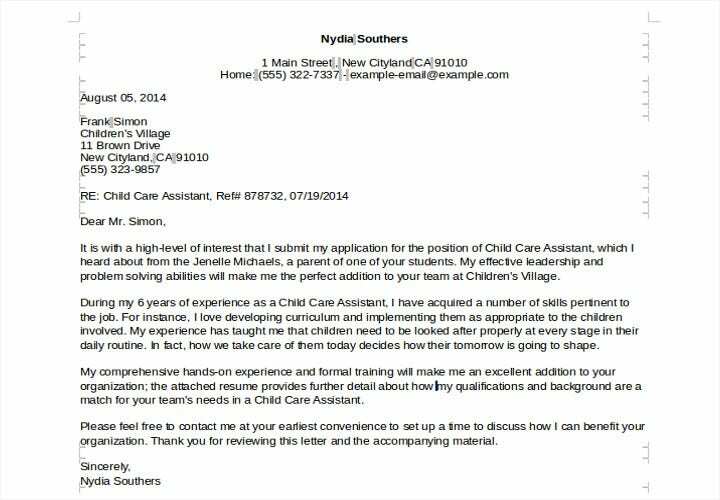 One way of ensuring that you’ll get a shot at being called in for an interview is writing a strong, impressive, and compelling cover letter. 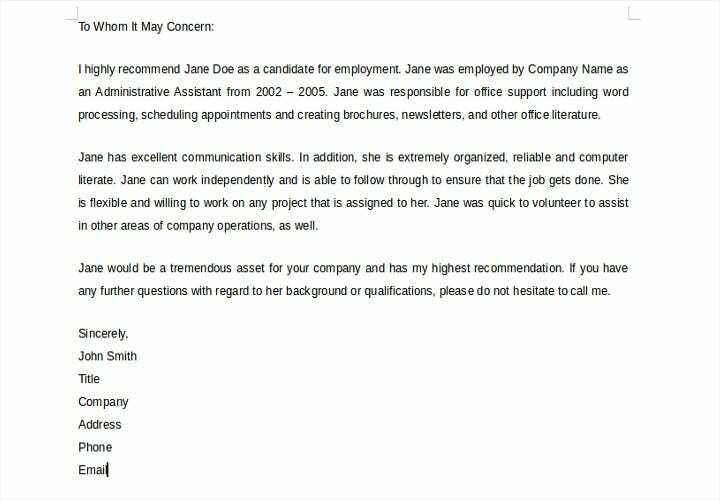 Many human resource managers and company heads go through a cover letter before deciding whether or not an applicant would make a deserving employee who fits well with the company and job position. 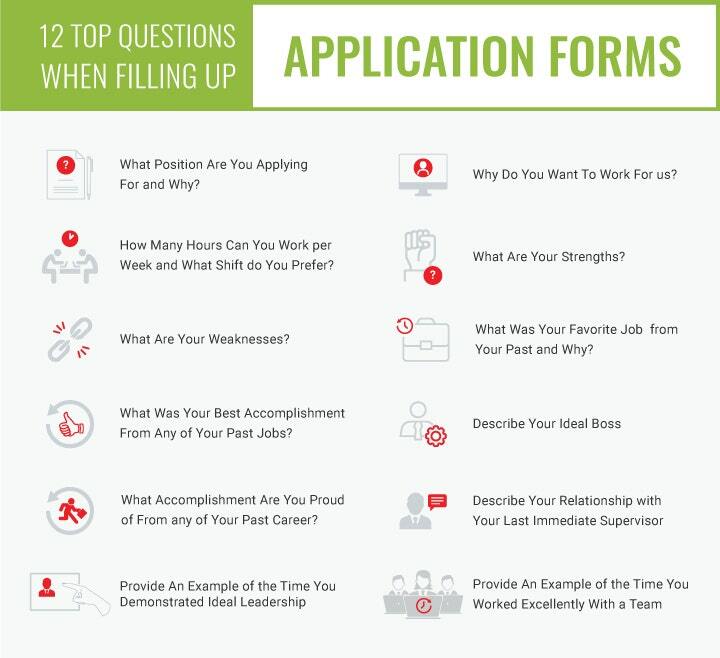 Of the many applications, cover letters, and resumes that recruiting officers go through a day, which ones do you think they are likely to remember? 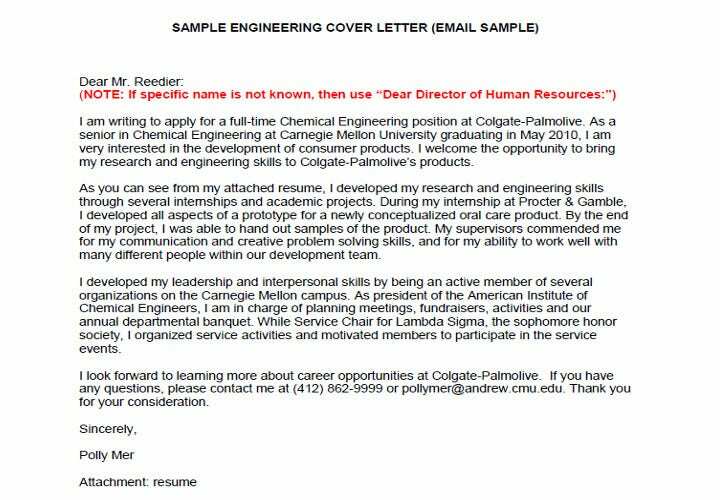 Make your cover letter pleasantly memorable by avoiding generic contents, formats, and writing styles that probably bored the recruiters’ eyes out. When writing your letter, remember to sound like a person. 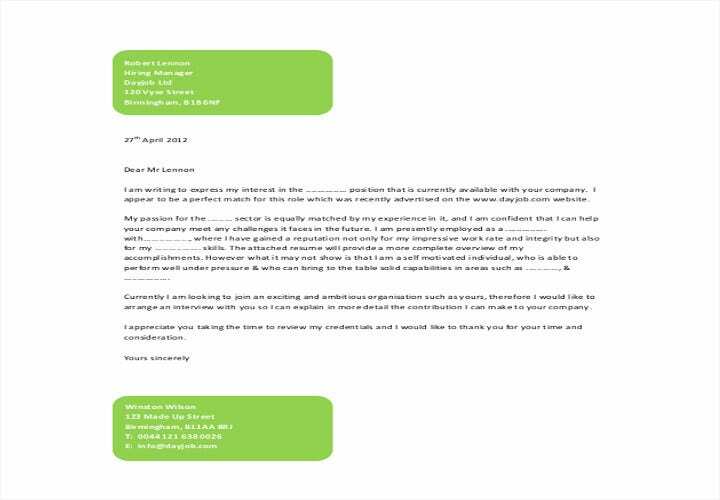 Be communicative in your letter yet retain professionalism. It is important that you find a balance between the two. Also, it is important that you be genuine with your words. 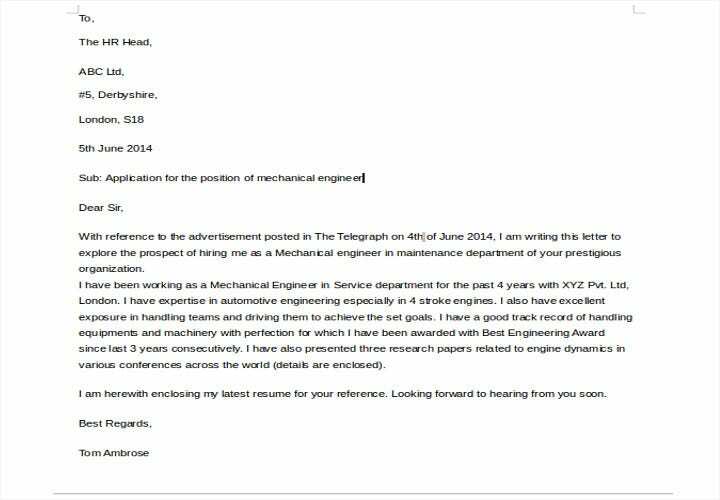 Realise that it is not that difficult to detect insincerity in cover letters, especially if the recruiter is a veteran in their field. Don’t zone in on how much you need the job and how it would be an incredible opportunity for you. 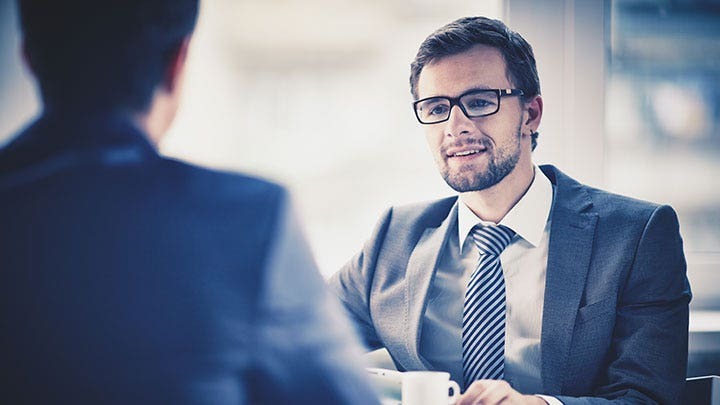 The company probably already knows it and, the cold hard truth is, this probably does not matter to them as much as why you – among all the candidates – would make the best fit for the job. Zoom in on what you could offer to the table that the others cannot. 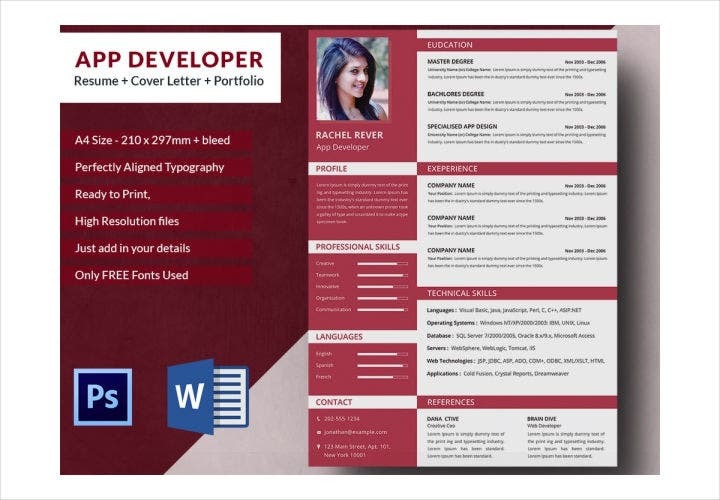 While you can’t copy a template word for word, you can use these as guides in ensuring that you write a top quality letter by taking notice of the formatting, wordings, and contents of template cover letters. 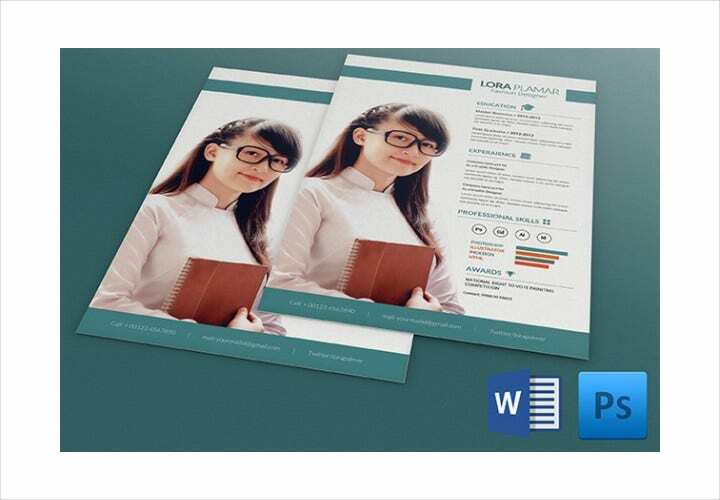 We’ve provided a couple of great templates you should check out in this article. Taking heed of these tips may not give you a 100% assurance of getting a call for an interview, but are surely going to improve your cover letter and would increase your likelihood of getting considered for the job you’re trying to apply for. 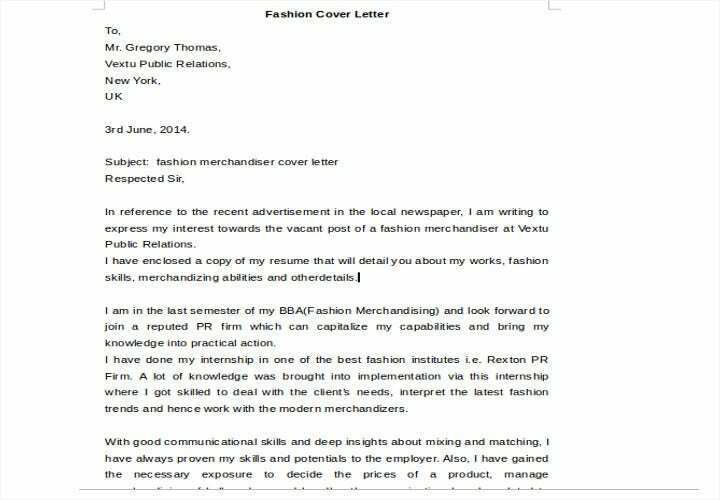 A cover letter contains the same parts and relatively follow the same cover letter format as most business letters. 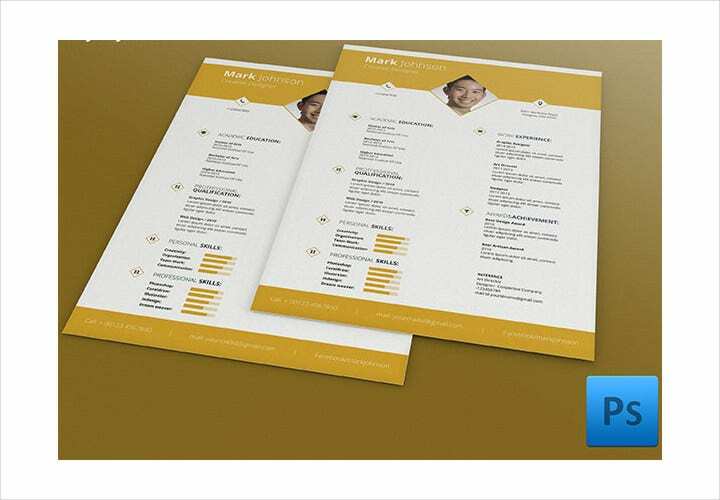 For businesses, a letterhead would contain the name of a company and their contact information and location. 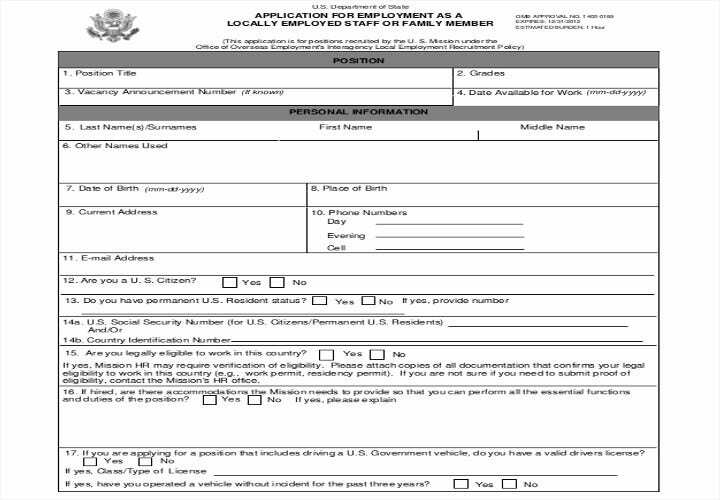 For an applicant, this is the same. 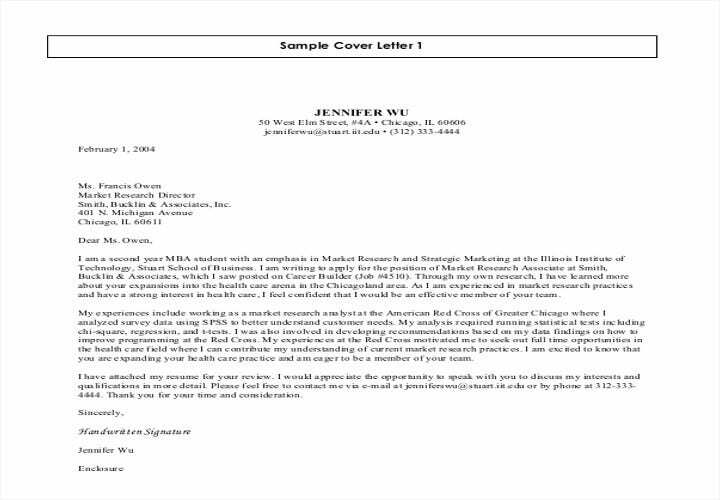 Put your name and contact information on the letterhead of your letter. Your address could instead be replaced with your email address for security purposes. Include the date that the letter was written. Avoid addressing your letter to someone in general. As much as possible, learn the name of the person you should be addressing the letter to and their position. Include the name and location of the company. While “Dear” may be a common salutation used by the majority of letter writing, there are some who are uncomfortable with doing so. If you find “Dear” as too personal to use as a salutation in a letter written to someone you’ve never even met, you can go with using “To,” or simply stating the name of the recipient. The body of the letter is the meat of the letter. The first paragraph is where you put the introduction. Go straight to the point and tell the recipient why you are writing the letter. 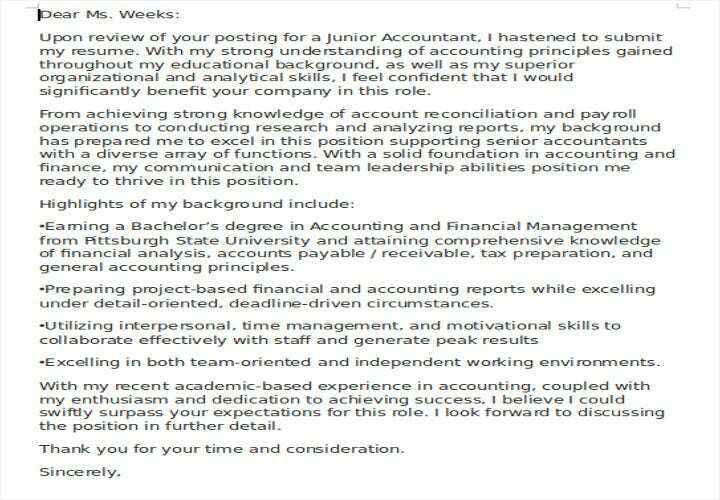 Include the position you are applying for and how you found out about the job opening. 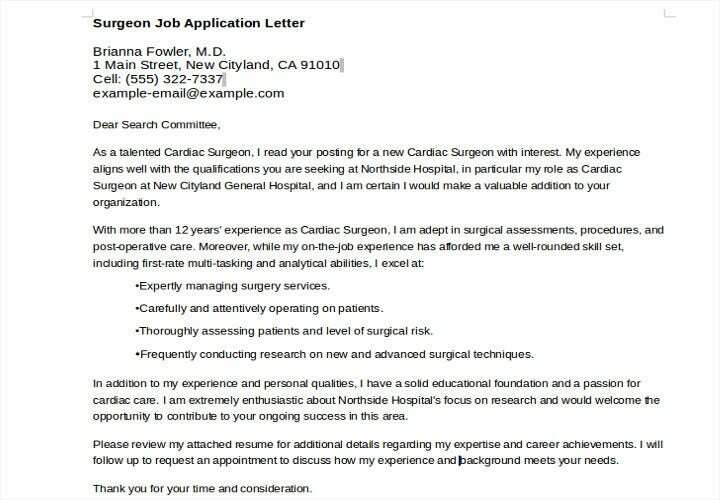 In the second paragraph, write your skills and qualifications. This is where you explain to the company why you would make a great fit for the job. 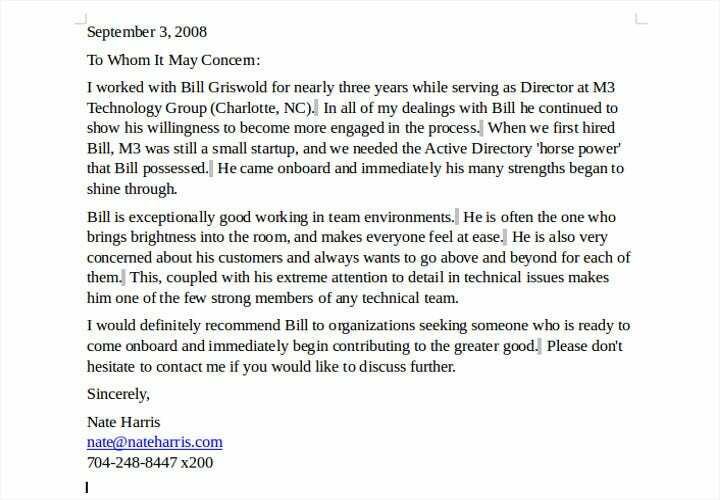 The third paragraph is dedicated to the benefits the company will get out of hiring you. This is where you tell them what makes you the best fit for the job. The last paragraph is where you call for an action. Some like to assertively tell the company that they’d be coming in at a certain date and time to personally apply for the job while others prefer to take a less aggressive approach and ask the company to contact them. If you want to opt for the latter, a tip would be to include a date and time for the company to contact you. This would lessen your anxieties on whether or not you will be contacted and, if the phone does not ring, would tell you when you need to move on and send out more applications. 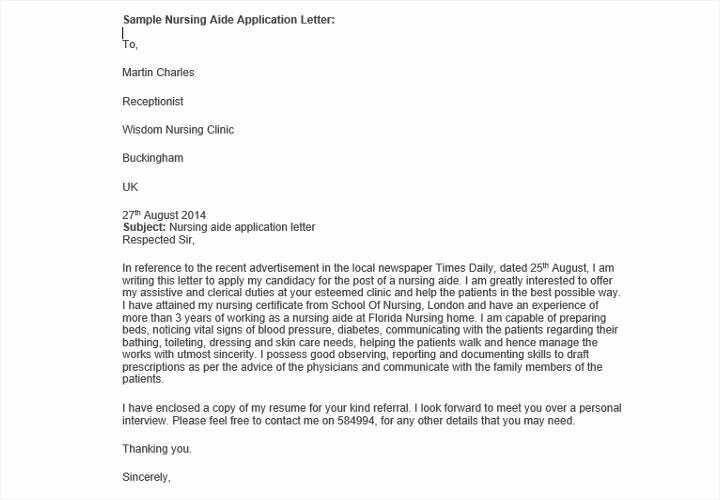 Always thank the recipient for taking the time to read your letter and going through your application. 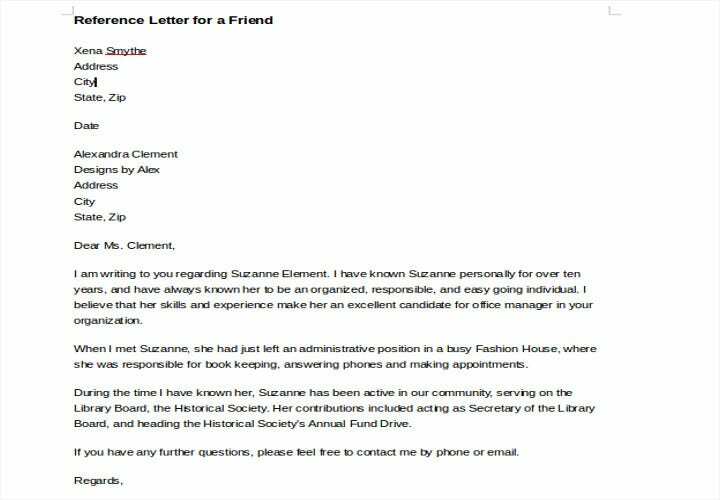 Sign the letter off with a “Sincerely” or other similar closing salutations. Put your signature in by hand. Sign with a nice, black pen. 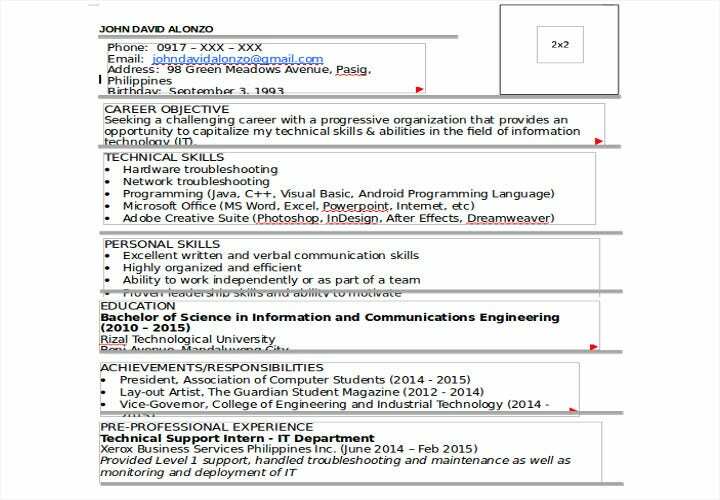 One of the most basic requirements when applying for a job is a resume. This is often – and is recommended to be – accompanied by a cover letter. The contents of your resume will be one of the bases of a recruiter’s or your future employer’s impression of you. It is from this that they will gauge your skills and qualifications and determine whether or not you meet the requirements enough to qualify for an interview. This chapter will discuss everything you need to know about writing the kind of resume that will get you called in for an interview. 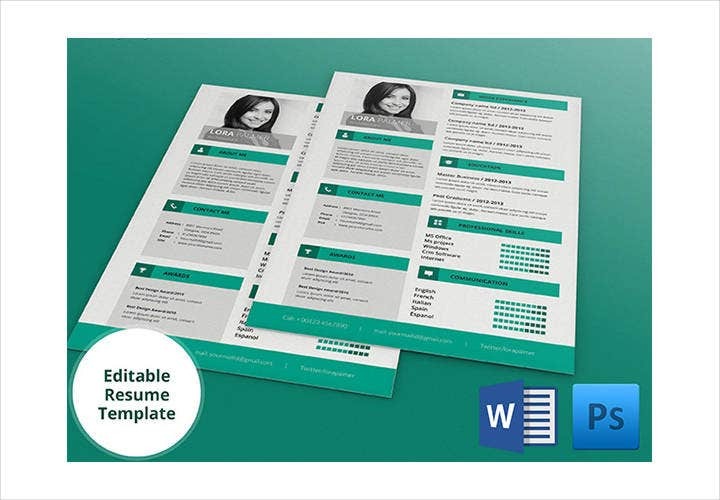 A resume is a written compilation of your educational and employment history, as well as of your skills and accomplishments. 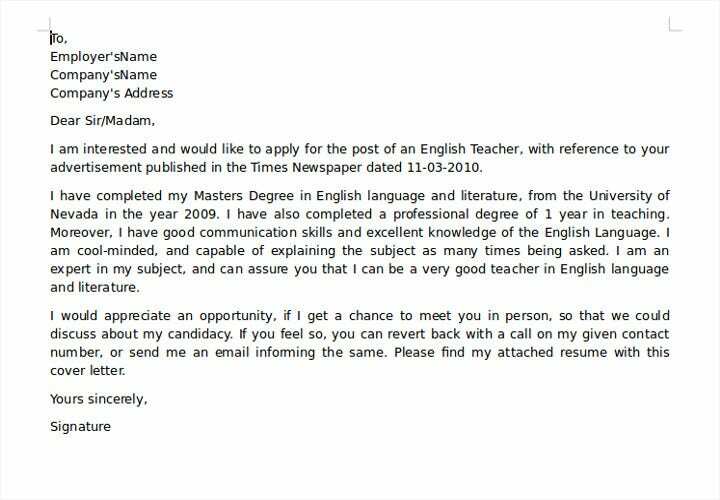 Typically sent with a cover letter, the contents of both ought to complement each other. 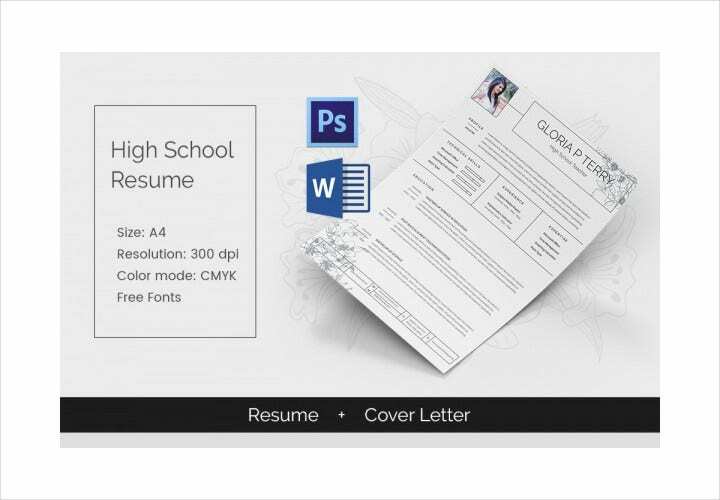 Unlike with a cover letter, however, the contents of a resume are typically in bulleted form and are not always in complete sentences. 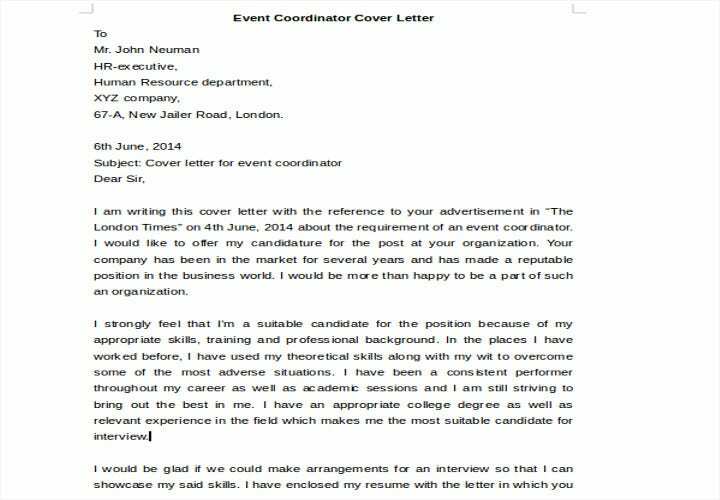 A combo of a strong resume and cover letter is your ticket to a job interview. In the previous chapter, you’ve learned about what you need to do to make sure that the cover letter you submit with your resume is compelling and impressive. 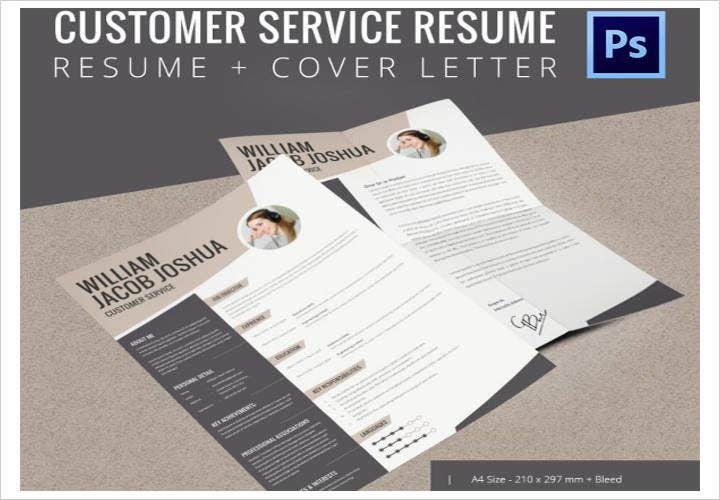 In this chapter, you will learn the need-to-knows for building a job application resume that will strengthen your cover letter. 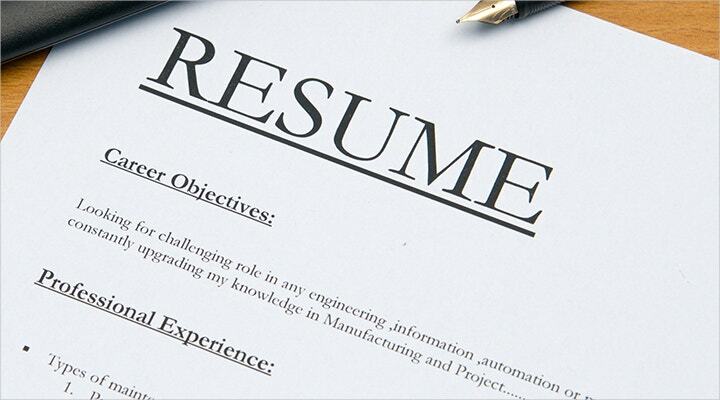 Building your resume from scratch may seem like a challenging task, but it really isn’t. To start with, take a clean piece of paper and list down everything you’ve ever accomplished. Some people, especially those who perceive themselves to be underachievers, dread doing this. They find it discouraging to see a still clean piece of paper once they’re done. 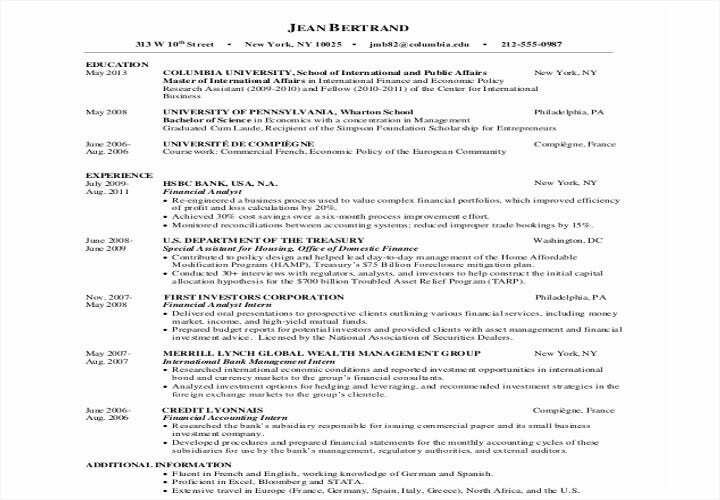 Don’t worry if you think you don’t have a lot of things you can put in a resume. This is all a matter of wording. Your educational information. If you have a bachelor’s degree, start with where you went to high school. If you’ve pursued higher education, scrap out high school and start with where you got your undergraduate degree. 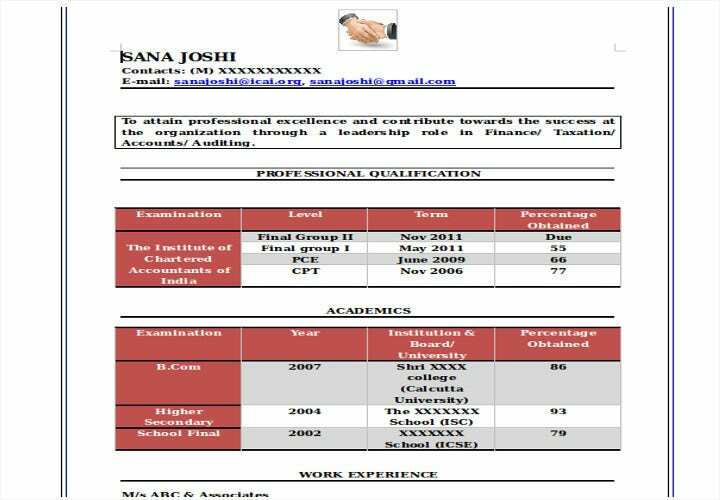 A resume is meant to be a quick summary of your qualifications and achievements. Your explanations and such belong to the cover letter. 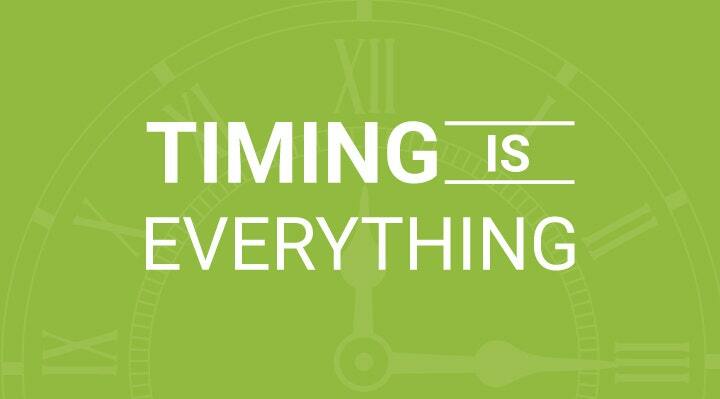 The recruiter should be able to quickly scan through your resume within a minute or two. 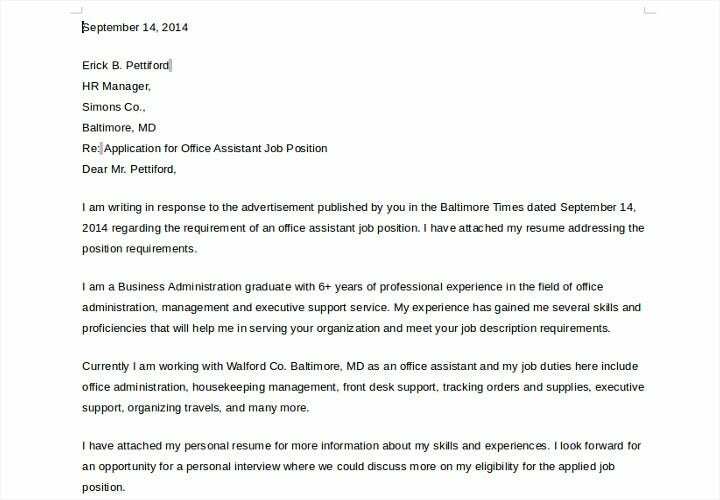 Make sure you provide adequate spacing for each part of your resume. 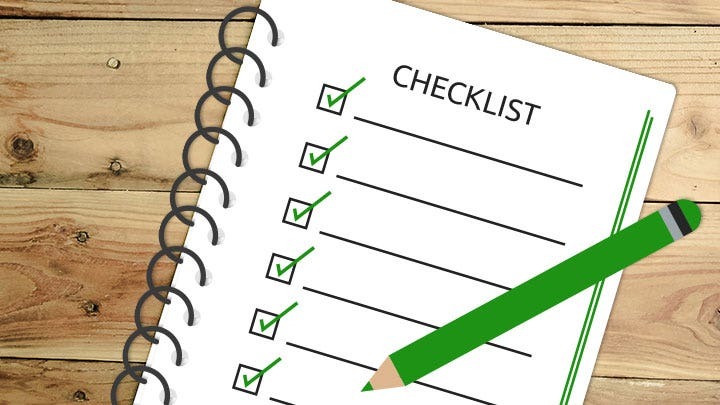 This is where you will find templates useful as they can give you ideas on how you could arrange the things you wrote on the clean sheet of paper. 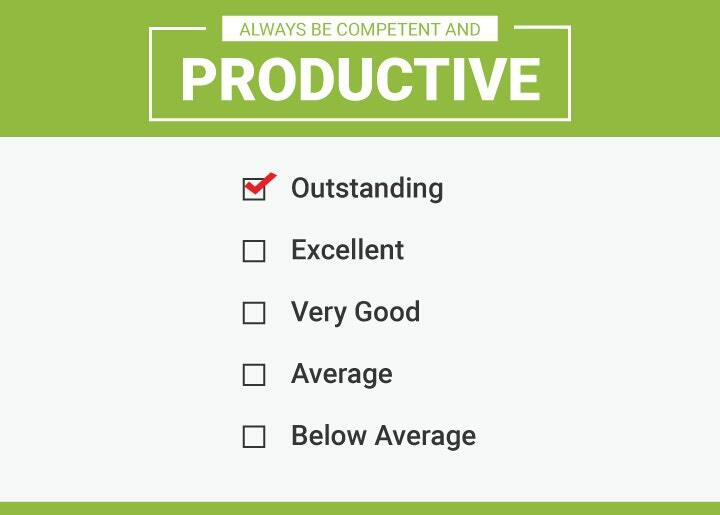 Using the proper format will help highlight your accomplishments and hide your lapses. 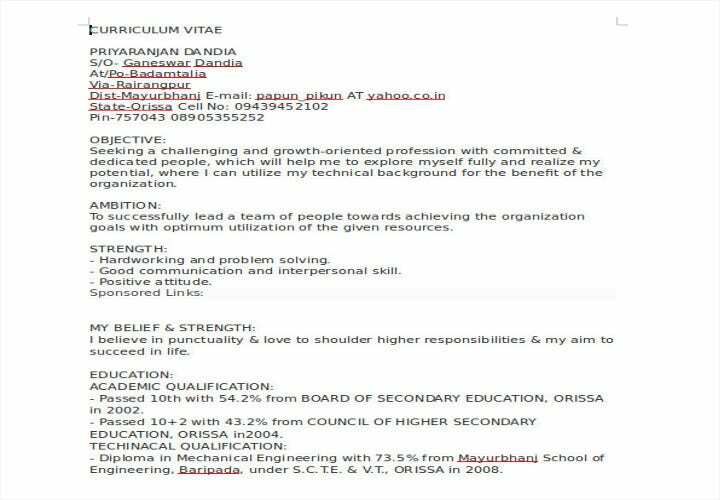 Know the kind of format that would help you depending on the kind of job seeker you are (to be discussed further). A chronological format will highlight your experience. This lists all the jobs you’ve had in reverse chronological order. A functional format highlights your educational attainments and your skills. It is a combination of the chronological format and the functional format. A target format is when you include all your skills, abilities, and experiences with respect to what the company you wish to apply to is looking for. 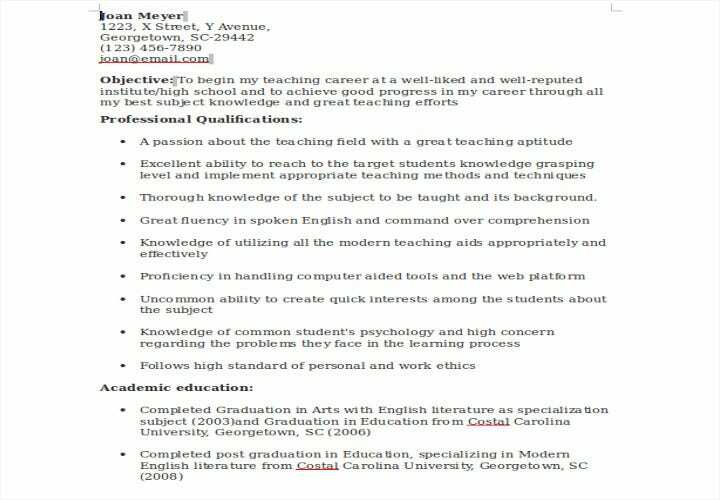 It is recommended that you always incorporate the characteristics of a target format resume together with which of the other three formats you choose. 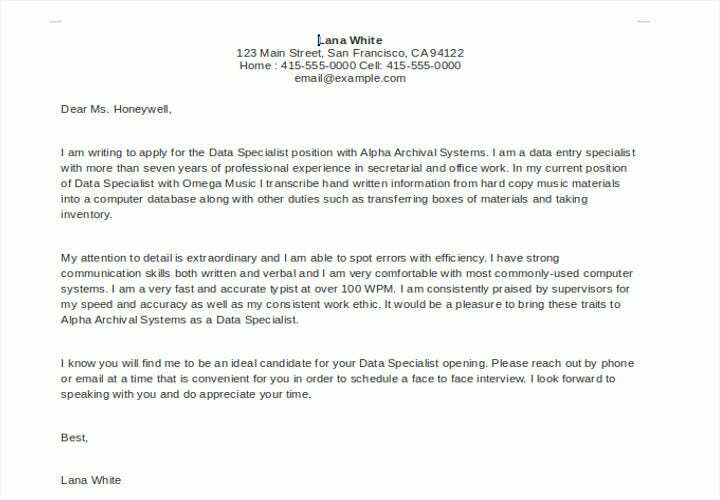 This increases the likelihood that a company would call you in for an interview as you would match what they’re looking for. 1. 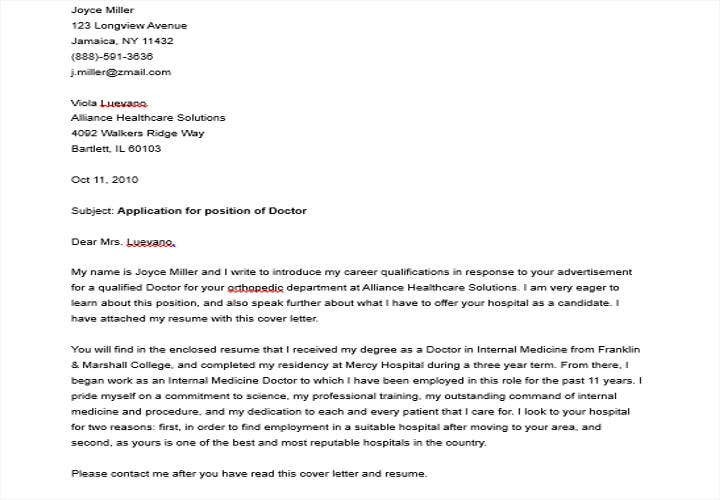 Send a cover letter with your resume. Even if they don’t specify in the listing that they want a cover letter, show initiative by writing a great one and sending it together with your resume. 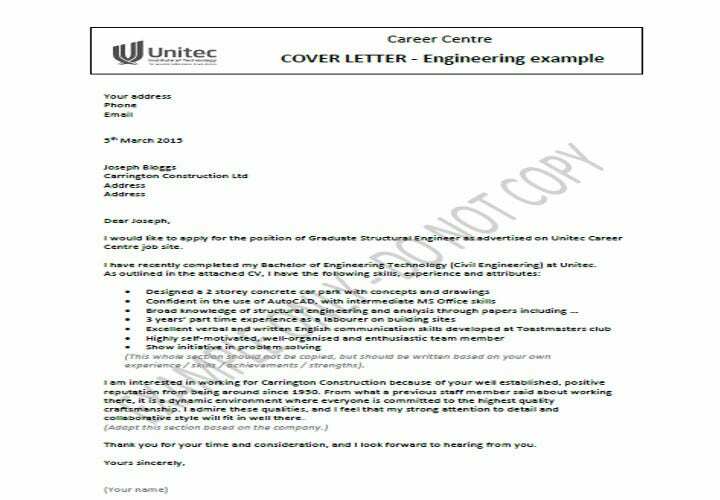 We’ve already tackled all you need to know about writing a cover letter but go on ahead and see the templates we’ve provided to use as your guide. 2. Get rid of irrelevant information. So you’ve won the county pie baking contest for 5 years in a row. Unless you’re applying for a job as a pastry chef, you don’t want to include this in your resume. The recruiters will be looking for someone who has experience in and knowledge of the job. Extracurriculars would only help if they are related to the job you’re applying for. 3. 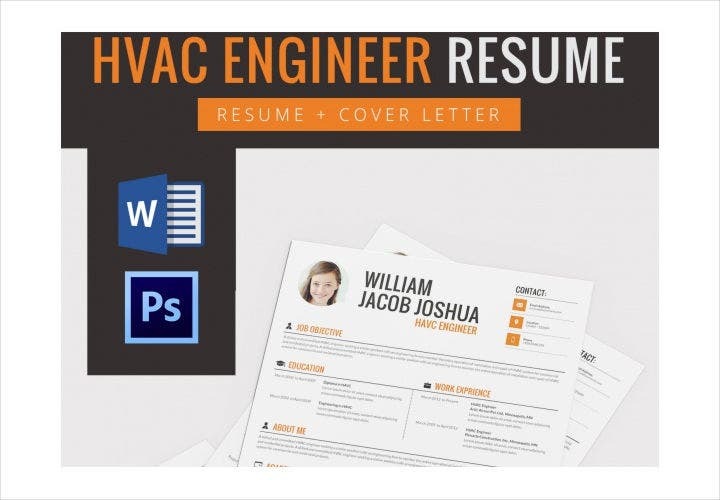 Match the contents of your resume with the skills the company is looking for. 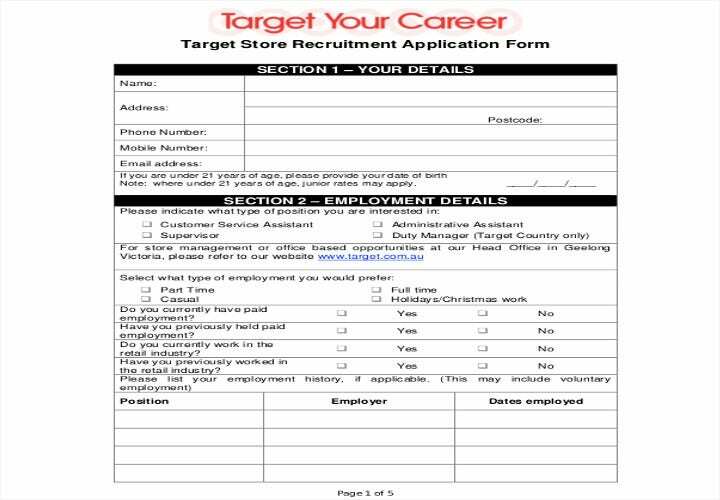 Employ the target format method and use the same keywords and phrases that are in the job listing. 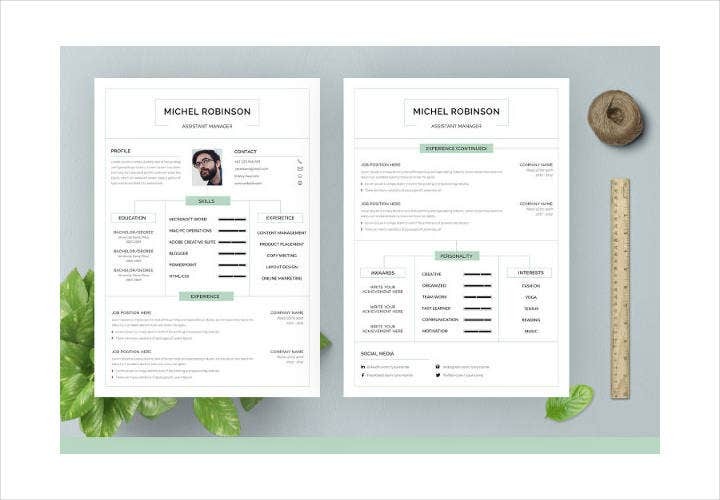 Some companies use a computerized method for filtering applicants using certain keywords and having a resume that matches what they’re looking for might increase your chances of being included in possible candidates. However, when doing this, make sure that what you’re writing are truths. 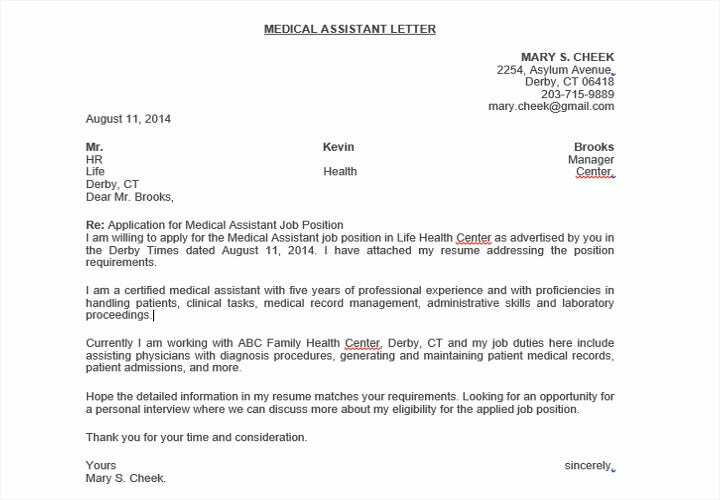 Lying on a resume could get you in trouble come the interview. 4. 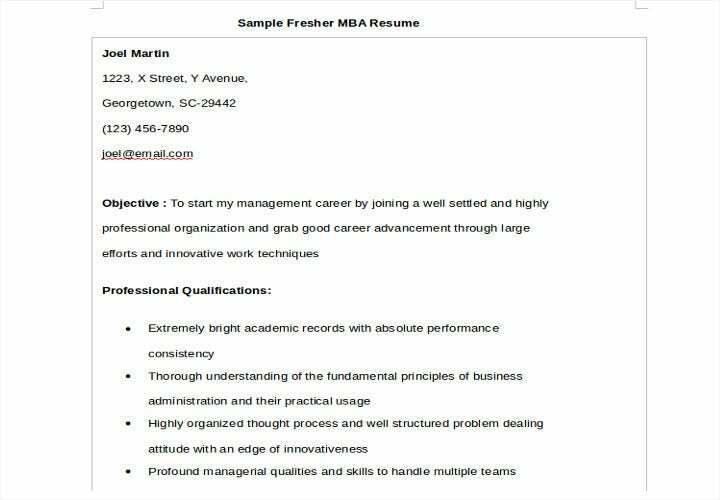 Proofread and edit your resume. Make sure you have no typos or grammatical slips, and that everything relevant has been included. Be careful not to miss anything that could strengthen your prospects or give you an advantage over the other applicants. 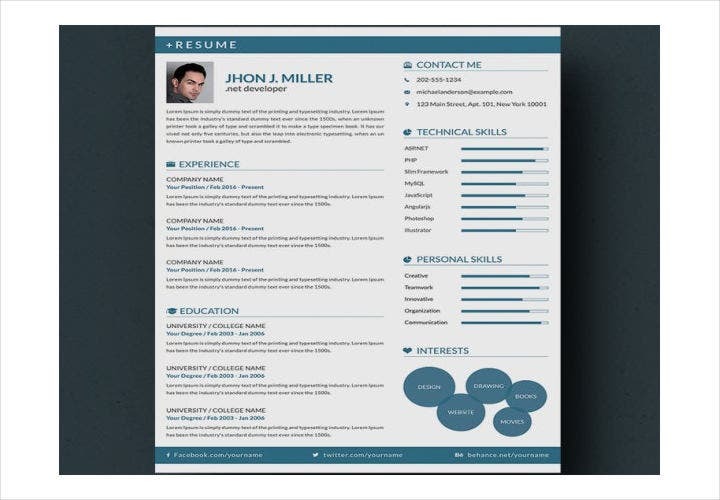 If you have a friend in the same industry or a friend in the human resource field, ask them to give your resume a glance. Ask them for their opinion on what is lacking in your resume and how you could improve it. 6. Download templates and use them as guides. 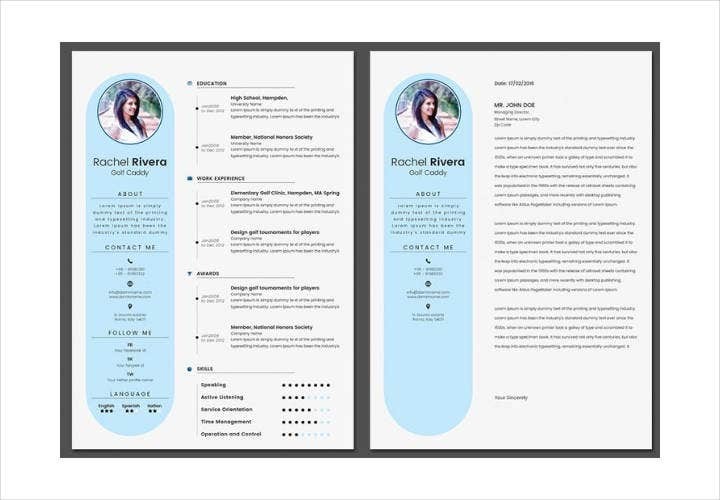 Templates could give you an idea on how you could format and arrange your resume so that it will look neat and attractive. However, these templates are to be used as mere guides. 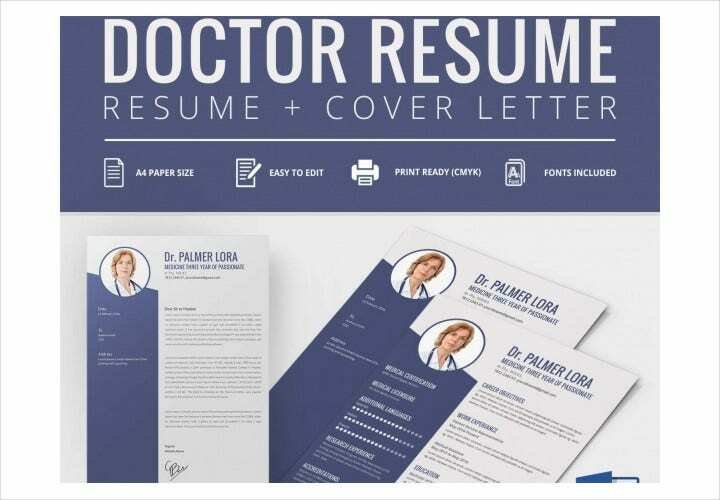 Remember that when it comes to resumes, one size definitely does not fit all. 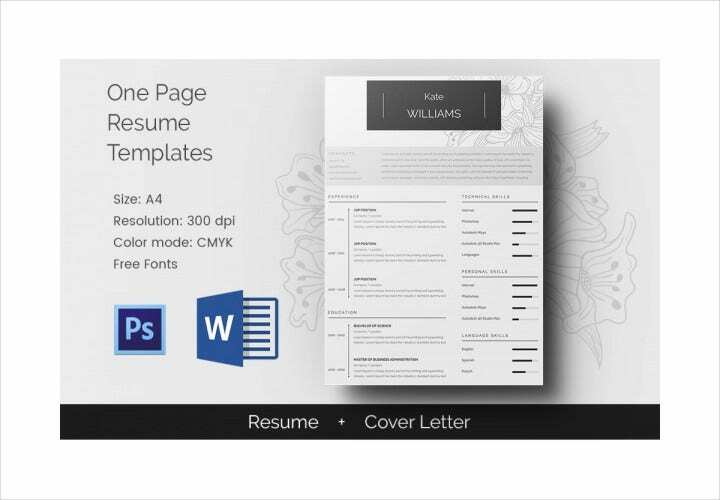 Customize a template to your liking and to its fit to the job you want. 7. 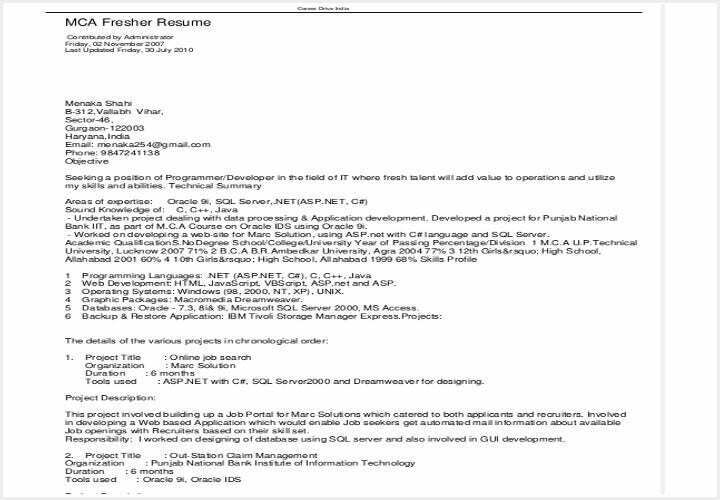 Update and maintain your resume. 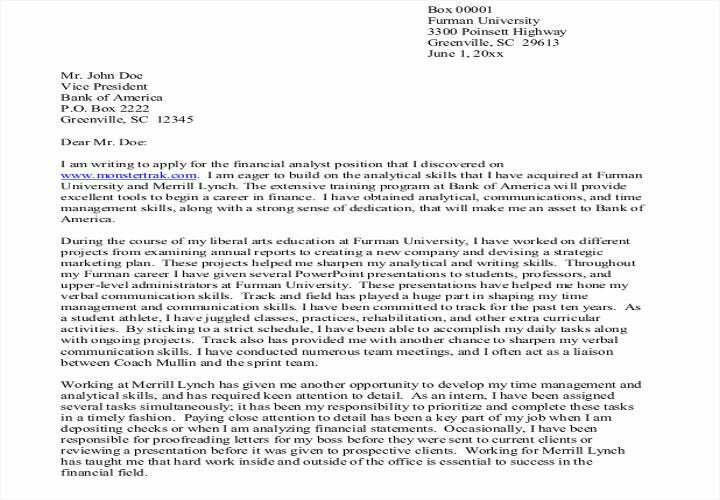 Every time you have a new job or achieved something related to your field, update your resume. 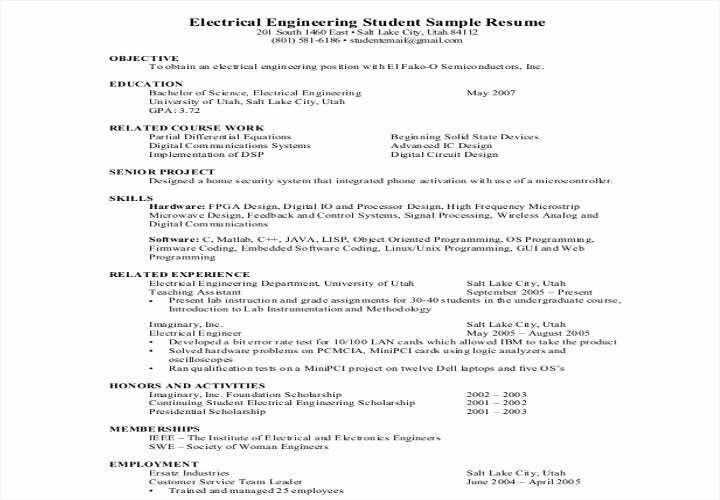 This will help you make things easier should you find yourself needing a resume in the future. You may be highly qualified but there are people with fewer achievements than you who have been hired for the job you want while you face yet again another rejection. It is no secret that an impressive resume is a huge factor on how recruiters decide which applicant to call in for an interview. 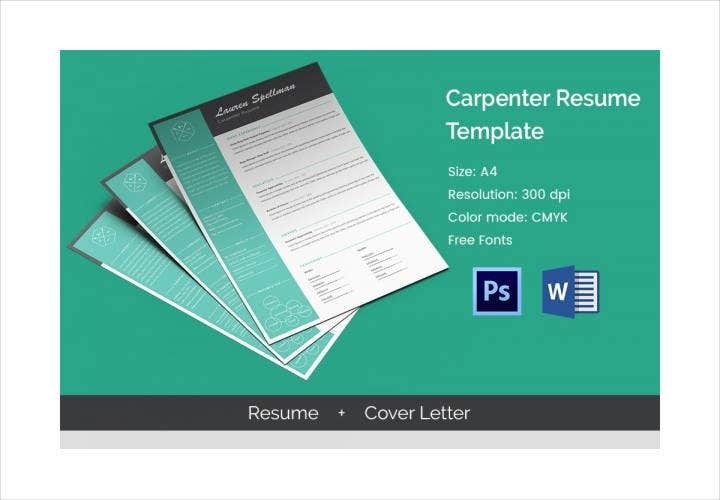 See the resume format templates we’ve collected to use as a guide for building a strong resume. When you’ve been stuck in the same position for too long, you realize you’re neither moving up nor getting the recognition you deserve. You realize you need a change of employment, one whose employer will recognize your true potential and maximize your capabilities that have been hampered by your current employment. Resigning was the easy part. 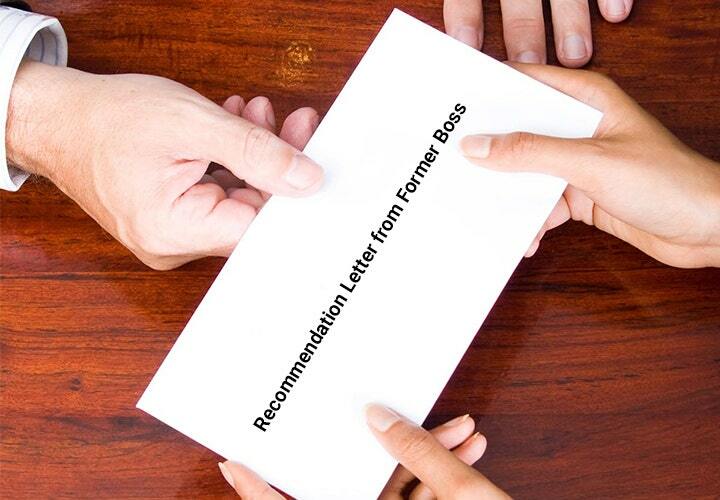 Asking your boss for a recommendation is the most challenging part. 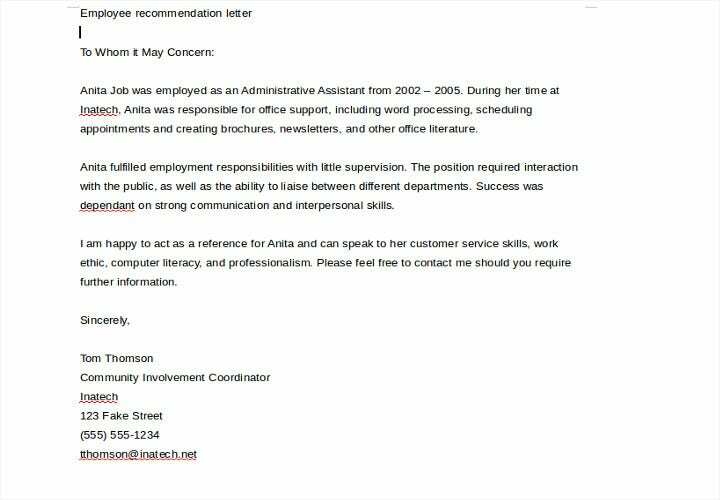 How can you ask for a recommendation when you’re resigning from your position? This means a lot of things. First and foremost, make sure your boss is in a good mood. It’s probably best to approach him/her an hour after lunch. It doesn’t help when your boss is both busy and hungry and you have to ask for a recommendation letter. Do so between respectable levels of the office hours, mostly between nine and eleven in the morning and two and four in the afternoon. DO NOT: Ask for a recommendation just before and after lunch. Some experts will even advise you to ask for a recommendation letter just after office hours in the afternoon so that your boss wouldn’t be so busy anymore. Do not do both at the same time. Tell your boss that you’re leaving by explaining carefully that you’ve weighed your options, but always express your grateful appreciation for your experience and the productive time you have spent with the company. Be frank and honest, but with a touch of politeness. Let your boss know that you’ve decided on a change of careers but that you’ll always look back with fondness for the time spent with the company. 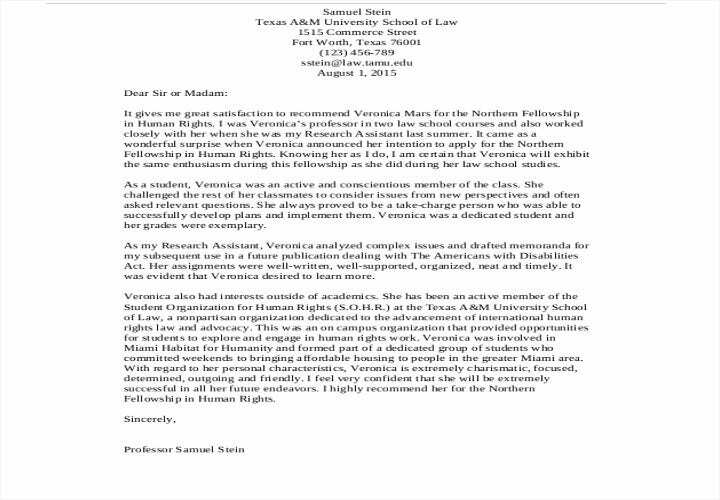 Leave it there and don’t ask for a recommendation letter in the meantime to let it all sink in. If your boss is strict and uptight, you may need more than prayers for him to give you a good recommendation letter. You need to be courageous without showing you’re intimidated. If you’re tactful and your approach is right, he’ll give you the glowing recommendation you deserve. However, if your boss happens to be laid-back and easy to talk to, then a pleasant conversational discussion will do the trick. 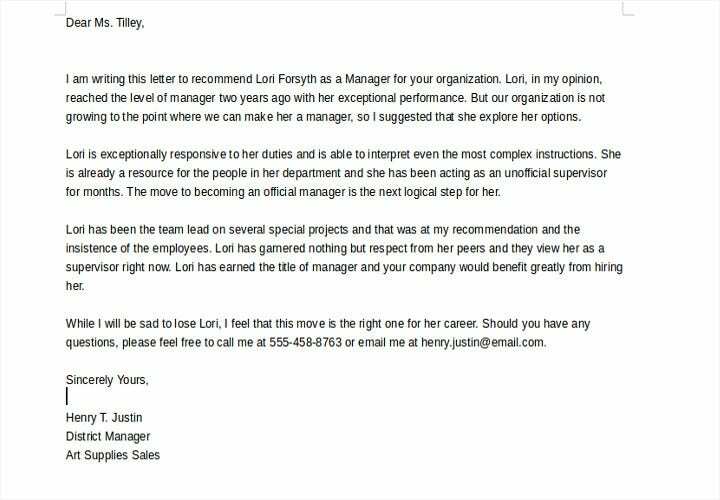 Whatever your boss’s attitude might be, it always pays to be formal and send an email even after you’ve relayed your intention of resigning. 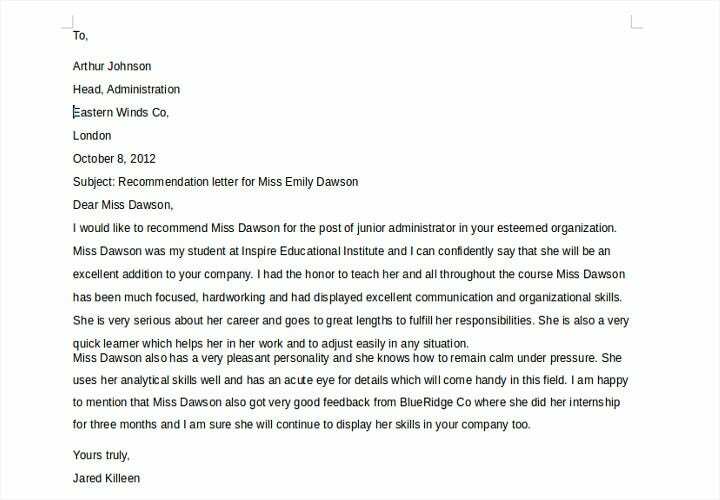 A little bit of extra praise for your boss will never hurt your chances of getting a good recommendation letter. 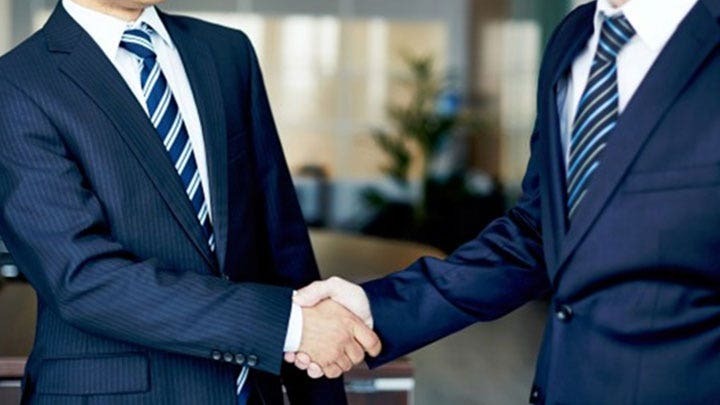 Telling your boss that you’re asking for a recommendation letter because you respect his/her authority and decision will encourage your boss to put in a good word for you. 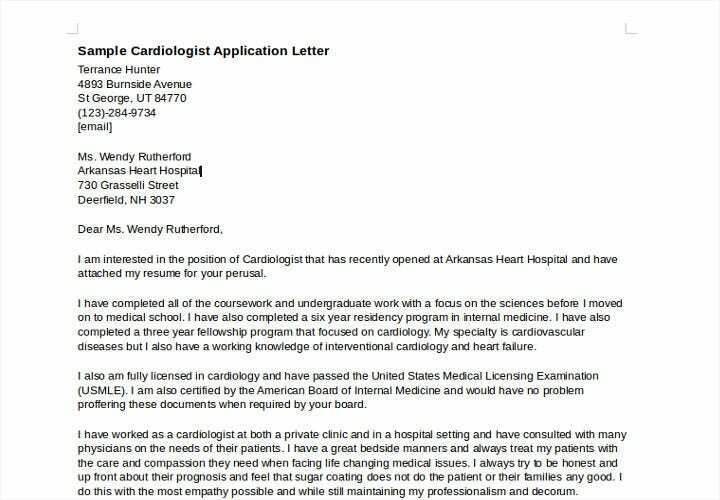 More so if you tell your boss that his/her recommendation letter will put added weight on your application. This will ensure you’ll have no problem whatsoever if you ask for additional favors later on like a proof of employment. Make sure to prepare a list of your job description templates and whatever accomplishments you’ve made. Due to your boss’s busy schedule and handling several responsibilities at the same time, he/she may not remember in detail each employee’s job details and achievements. The only way for your boss to put in a good word of recommendation would be for you to provide him/her a list. 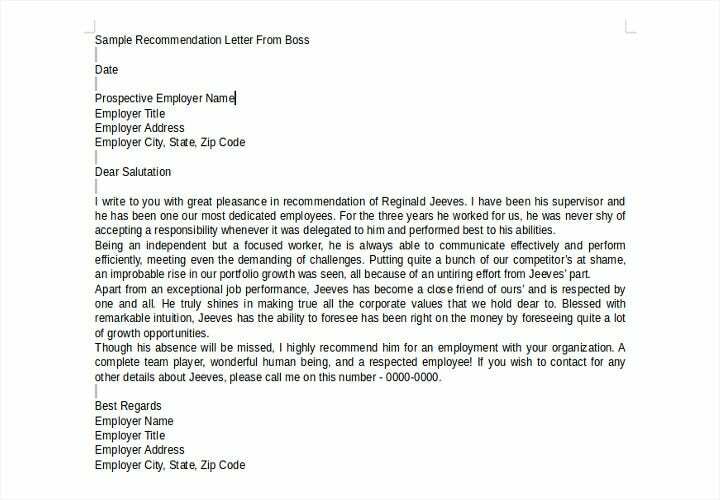 You may also provide a description of your new job which your boss can give his proper recommendation. 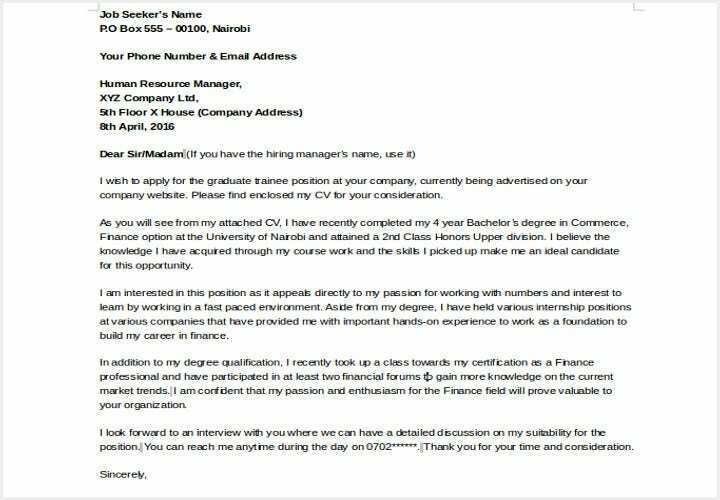 When applying for a job, you’ll always need a reference from someone whose position is impressive enough to carry weight when he/she recommends you for the position. It could be your former boss, a colleague who’s now holding a high position in some company or an owner of a business who you know personally. 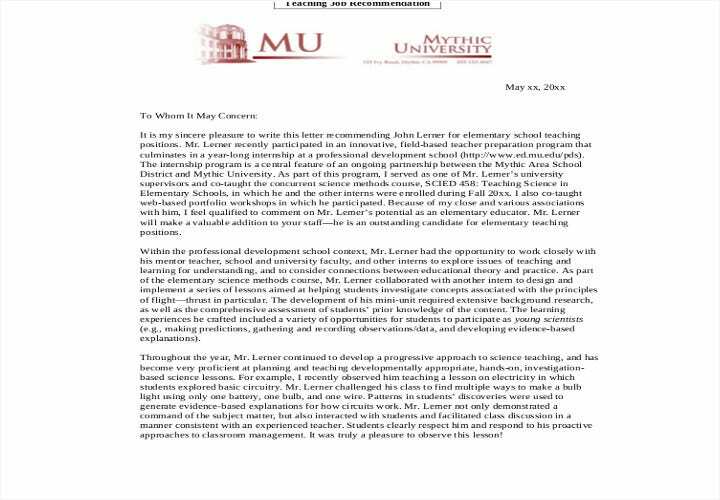 You can ask for a recommendation letter personally, but if the person happens to be in the next town or have a very busy schedule, it’s preferable that you either request for a recommendation by email or hard-copy letter. Either way, you should do it carefully and properly. Make Sure the Person Knows You Well. It would be awkward for that person to try and write a recommendation only to realize he doesn’t have anything to write about you because he really doesn’t know you that well! You need to choose somebody who has the right knowledge and familiarity of what you do. It could be your former boss or department head who knows your job responsibilities and can enumerate your specialties and expertise. 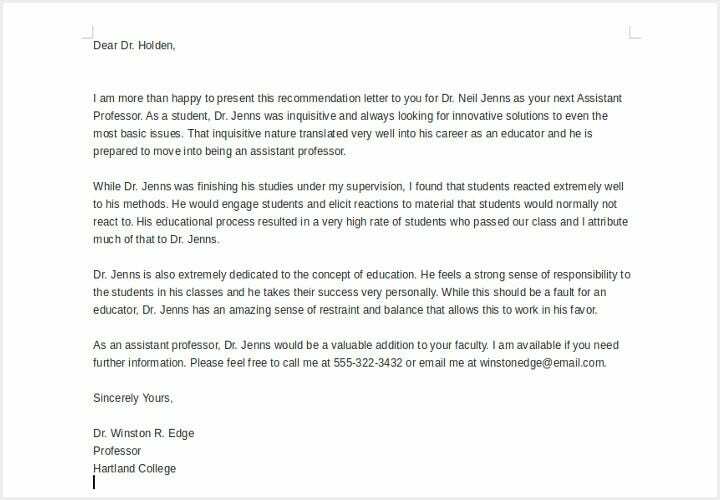 It’s very important that the person writing a recommendation letter knows your career and talents well enough to give you a good recommendation letter. Be Prepared To Be Declined. For one reason or another, the person you’re writing to ask a recommendation for may decline your request. You always have to be prepared for that possibility. It’s best to write someone who knows you better than anyone else. 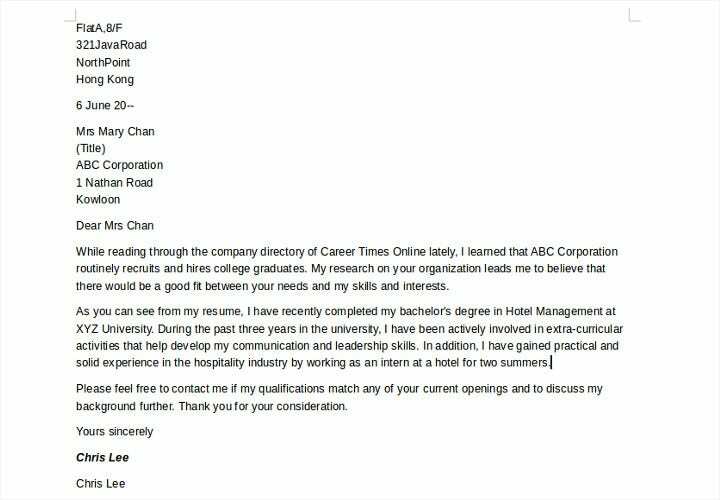 It’s also advisable to write your request at the earliest possible time to give the person ample time to write a good letter of recommendation that you’re not afraid to use as a reference. Write In a Polite Tone and Ask Nicely. 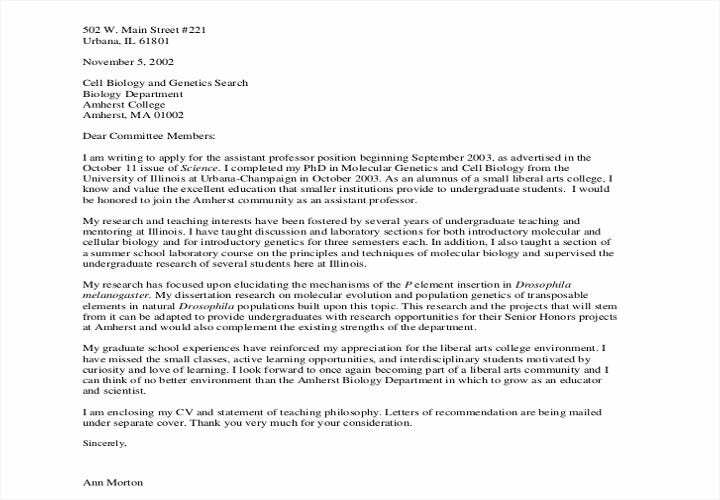 It always pays to be polite and write by asking nicely, making sure you don’t sound like you’re demanding and keep in mind that the person is in no way obligated to write you a recommendation letter. 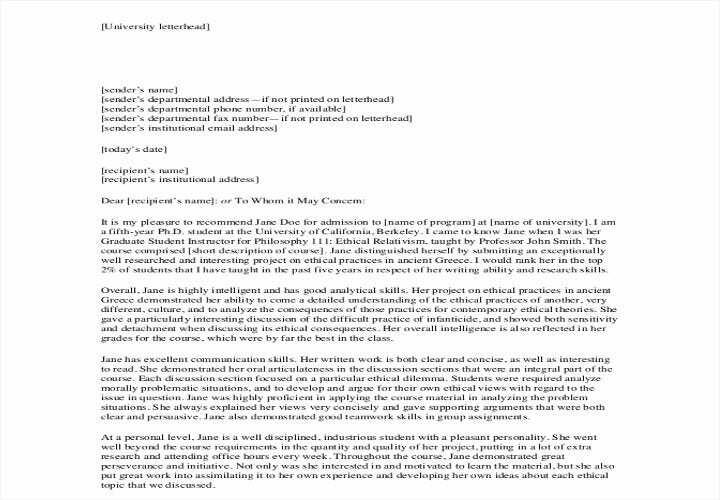 As an added gesture of politeness, you can include in your letter why you think he/she is the best person to write you a recommendation letter. 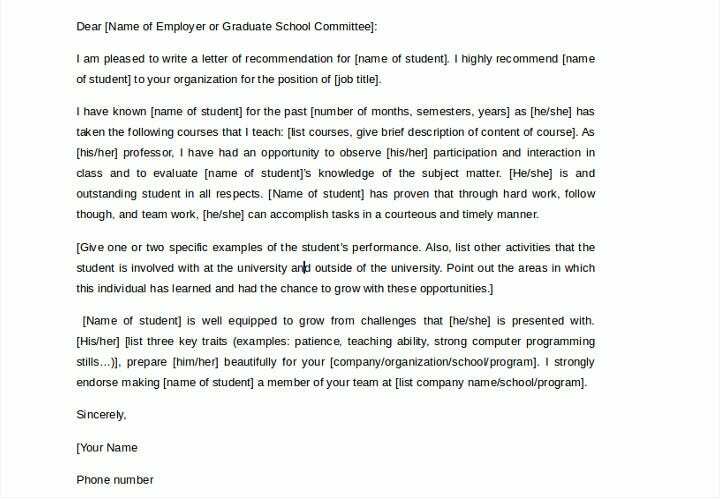 When writing a letter requesting for a recommendation, it’s advisable to always write a background information that the recommender can look up as a guide to draft the recommendation letter. 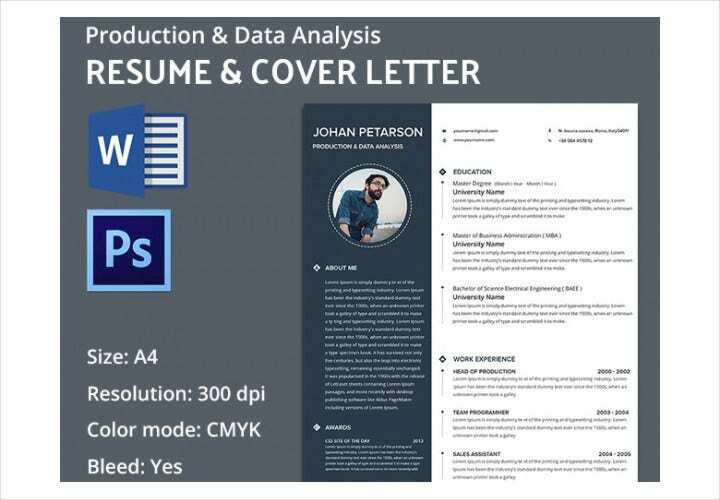 You can include a brief description of the job you’re applying for, together with a copy of your resume. You may also include your specific qualities and skills just in case your recommender needs a refresher of your specialty. Big companies always tend to check on your background so you should make it a point to ask your recommender to include the numbers where he/she could be reached and his/her email address. When you finally get to land that job, don’t forget to thank your reference writer. 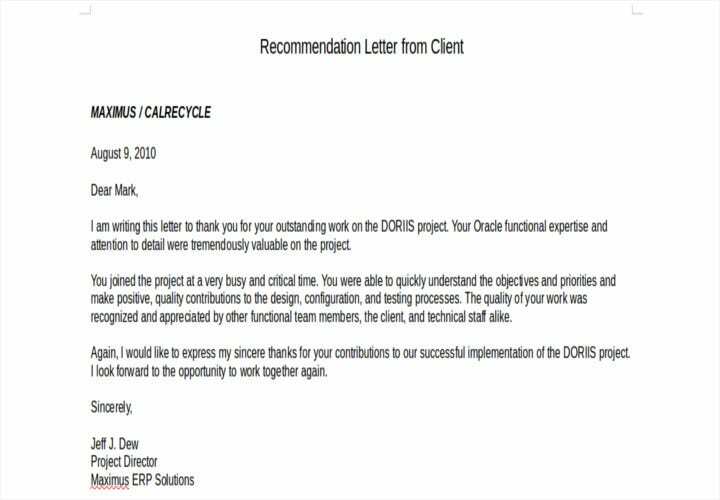 Even a simple thank you note will suffice to let your recommender know that you appreciated his/her gesture to provide you with reference. By doing so, all your future career plans will be ensured of reference from those same individuals who helped you get that job. 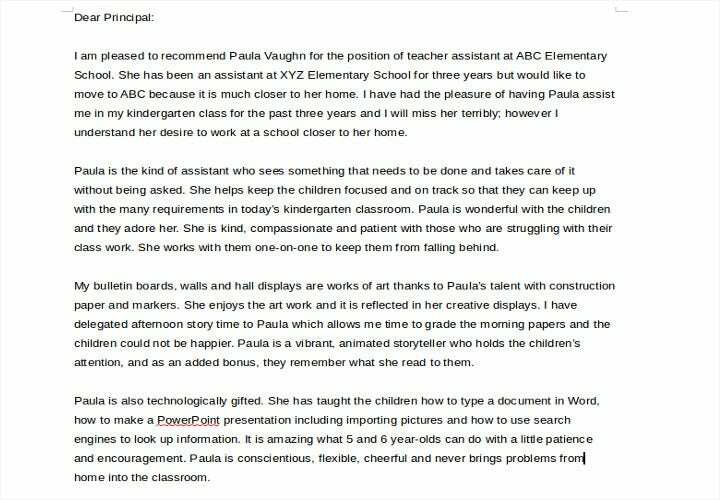 Writing a recommendation letter takes a lot of consideration about the person who you are recommending a job to. For one, you have to know the individual personally and well enough to write a good description of his/her character, work habits, and ethics, general character and values well enough to recommend him/her to the job. 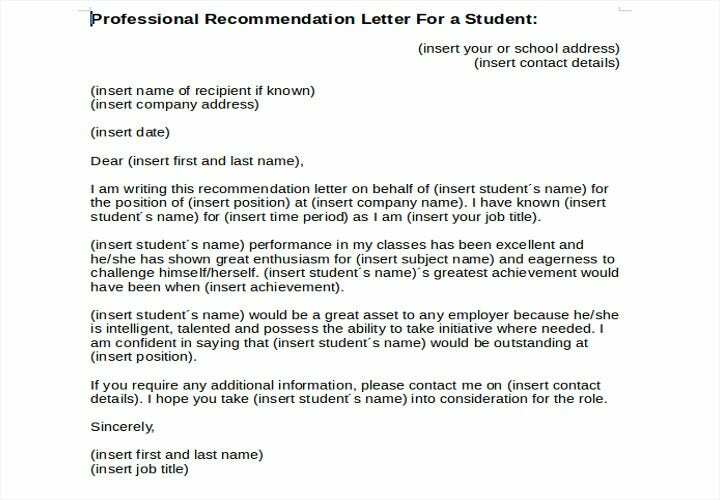 But what about the format for writing a recommendation letter? 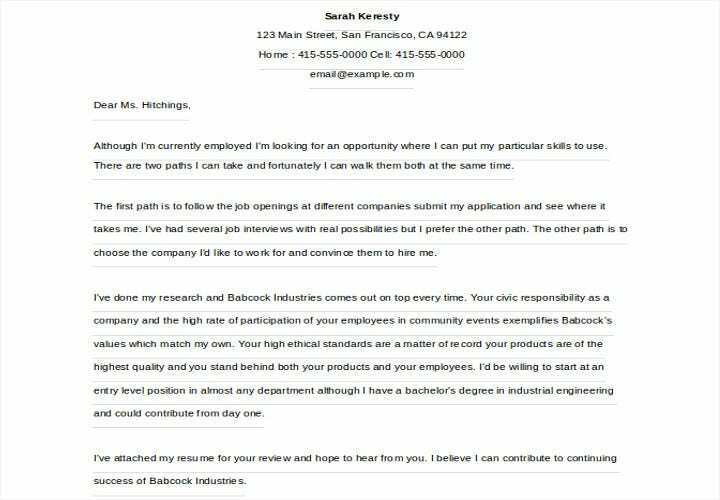 You have to write a letter of recommendation as businesslike as possible to make it credible. You also need to know the individual’s skills and specialties to be able to provide a correct description of his/her capabilities. 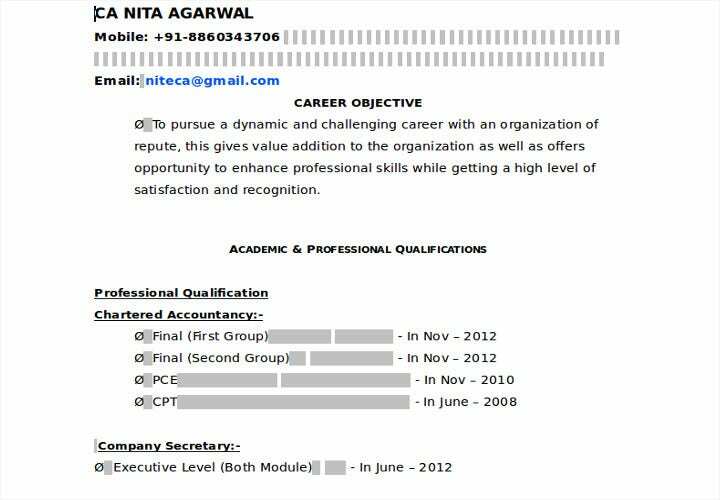 It’s with utmost pleasure that I am recommending (Complete Name) for the position of (Position) to your company. 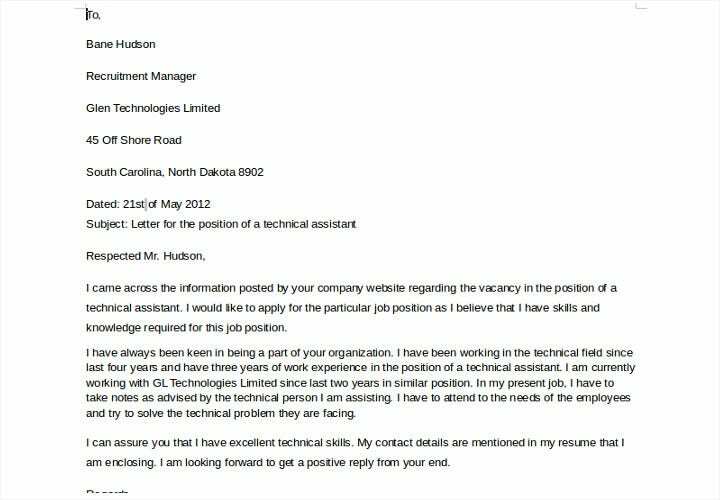 (Applicant’s Name) and I both have worked in (Company Name) and being his (supervisor/manager), I have personally come to know (his/her) capabilities as a competent person who handled (his/her) responsibilities extremely well. (He/She) is a very good (soft skill) who handles (his/her) assignment with competence, honesty, and integrity which made (him/her) a valuable asset not just to our department, but the company as a whole. I am absolutely certain (his/her) expertise and knowledge in a specific area of responsibility, particularly in (specific subject) will make (him/her) an indispensable member of your company who will contribute greatly to the benefits of your organization. (He/She) has undeniable talent, great productive skills and an excellent team player who can work well with everyone. 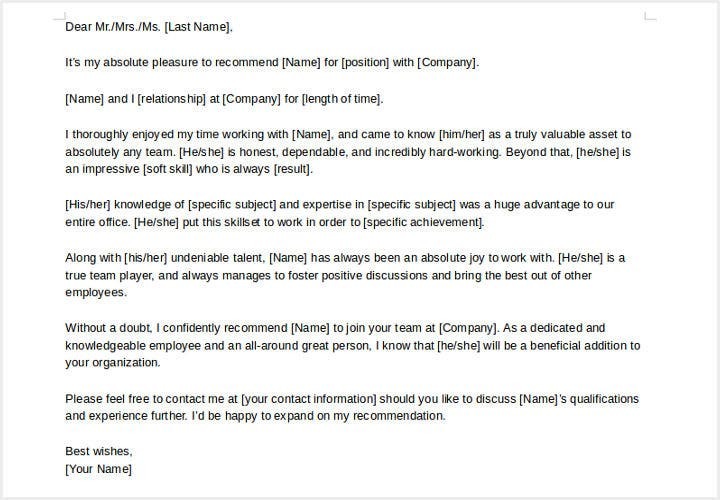 Without a doubt, I can confidently recommend (Name) to (Name of Company) as a beneficial addition to your organization. Please feel free to contact me anytime at (Your contact details) if you’d like to know more information regarding (Name’s) skills and qualifications. I’d be very glad to accommodate you anytime. Your letter should be in a standard formal format with both the date and your complete contact details at the top of the letter. 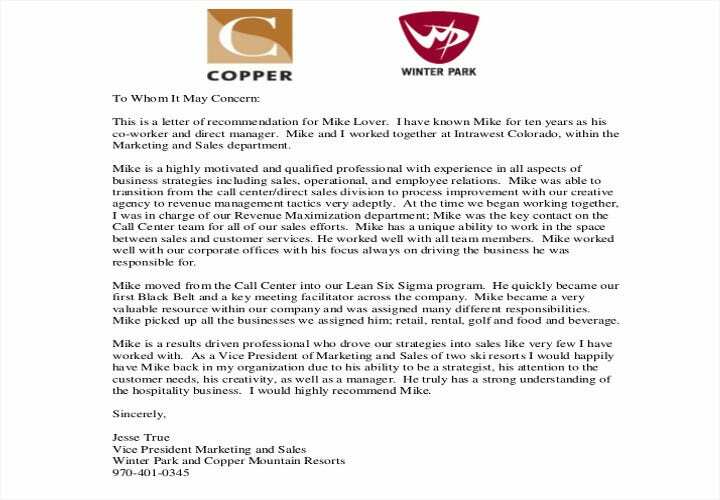 Use your company’s letterhead to ensure the validity of your opinion and to lend more authority to your position as a recommender. Most formal and professional letters are done on New Times Roman in an 11 or 12 font size, so it’s highly recommended that you follow this procedure. 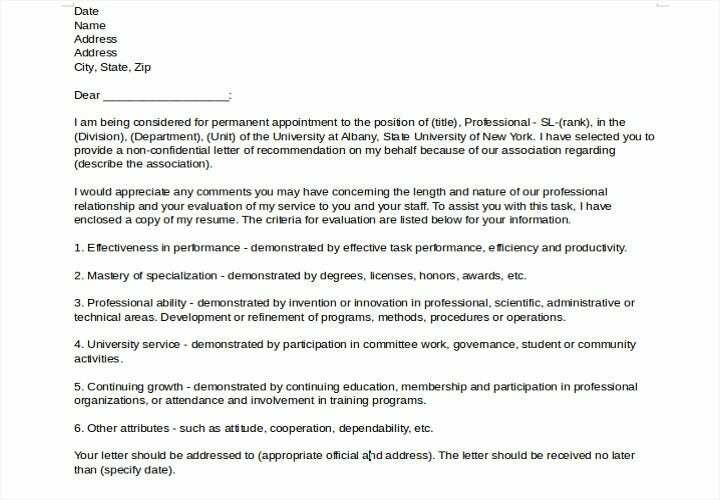 In case the applicant cannot supply you with a particular name whom to address the letter to, you can address your recommendation letter to the Human Resources Department instead. 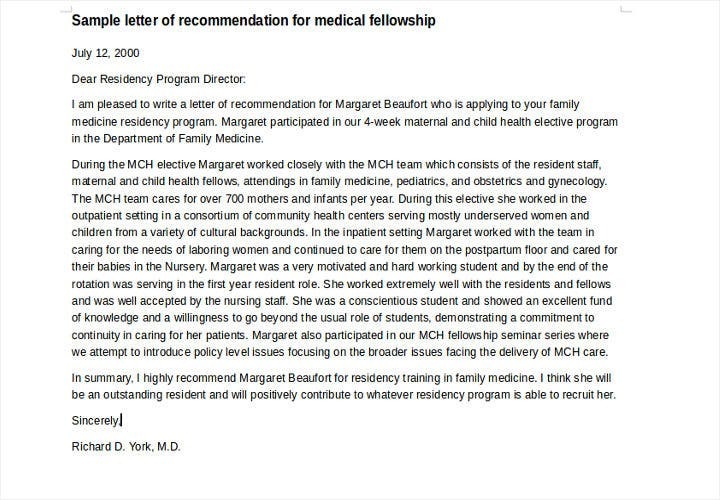 You can begin your letter with “To Whom It May Concern”, but it’s always better to have the applicant provide you with a name for your recommendation letter not to sound too impersonal. 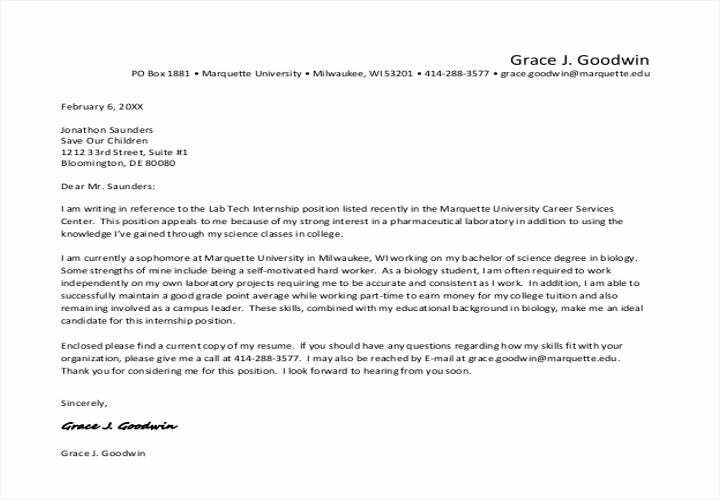 Limit your recommendation letter to one page and be brief as much as possible. Remember that the applicant still needs to submit his/her resume or curriculum vitae together with your recommendation letter. 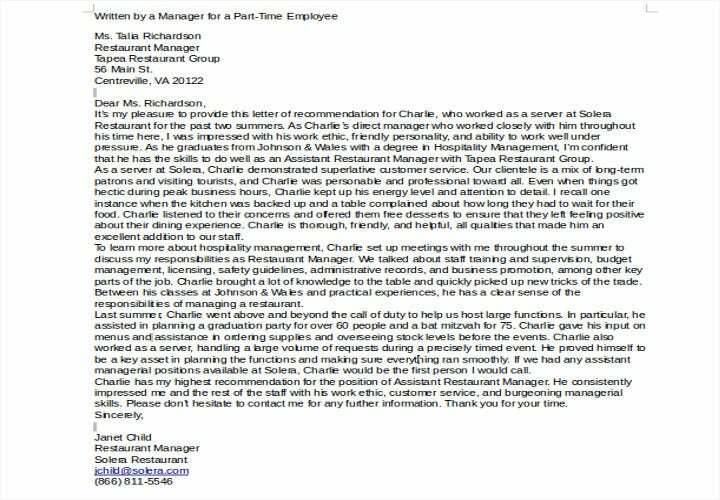 can be due to a poor recommendation and the recommender’s inability to convince the employer if the person is really worthy for the job. 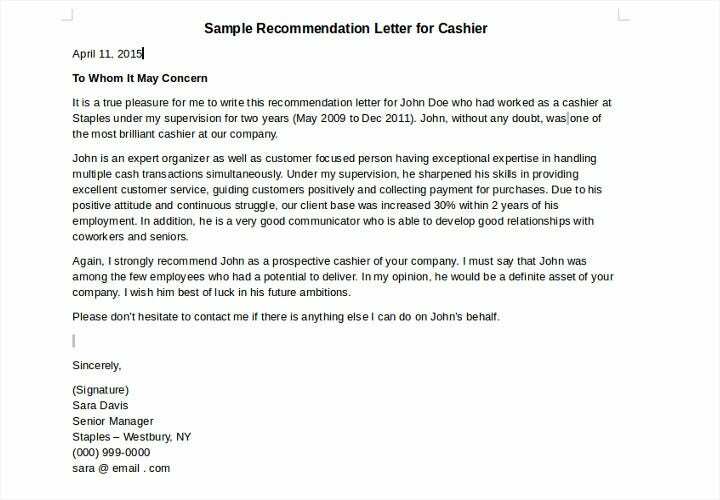 On the other hand, a great recommendation letter will convince an employer of the applicant’s skills and deem him/her worthy for the job based on the excellent feedback from the recommender. 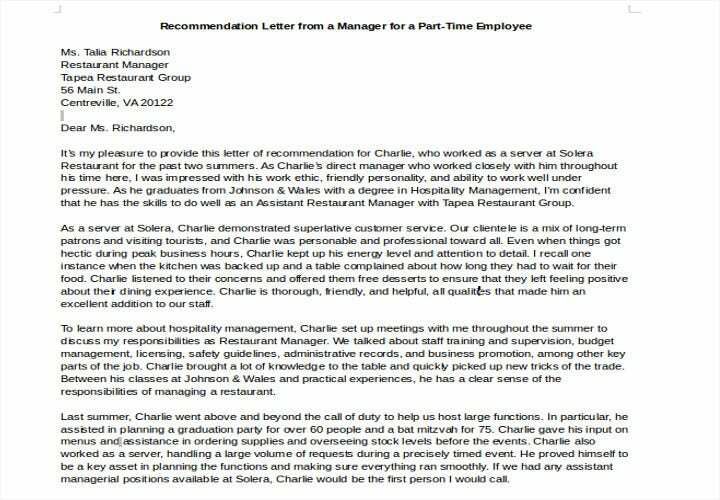 That’s because a recommendation letter carries a lot of weight especially if the recommender happens to be the job applicant’s former boss. 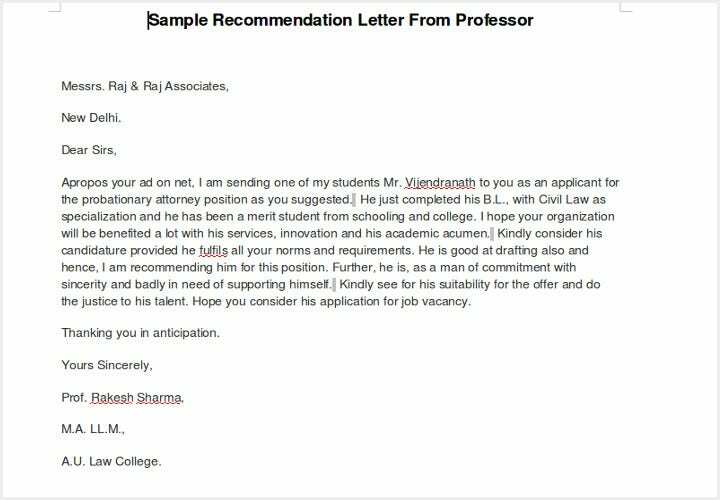 In this aspect, it’s advisable for the recommender to consider how his/her recommendation letter will affect the applicant’s chances for employment. Remember that your aim is to provide support for the applicant, so you must avoid putting him/her in an uncomfortable position. 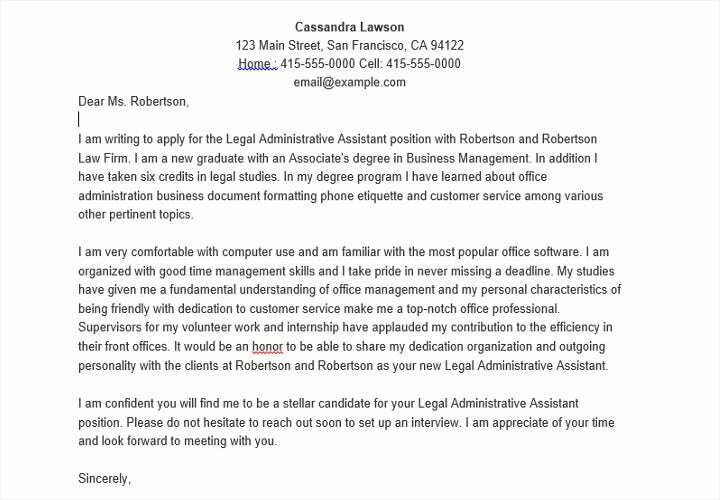 Your recommendation letter’s contents will come up especially when the time comes for the applicant to be interviewed. 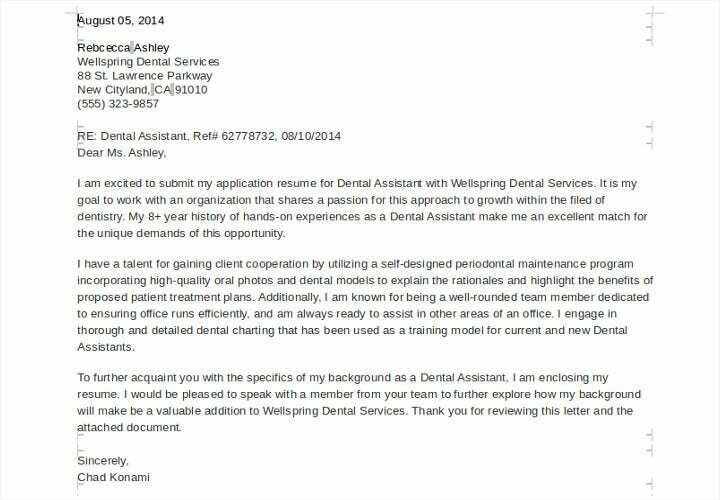 Include applicant’s positive qualities like his competence, being a team player, aggressiveness to work, etc. End your letter by giving your contact details and stating your availability for any inquiries about the applicant and your willingness to accommodate any queries from the company. 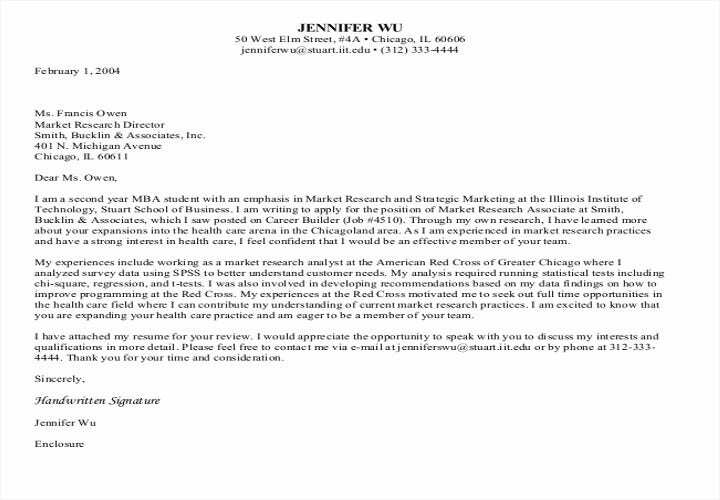 Write your recommendation letter in a balanced manner and focus on the good qualities of the candidate. However, being positive about your opinion means you also have to be commensurate in your presentation. No applicant is perfect, no matter how well-qualified he/she is. 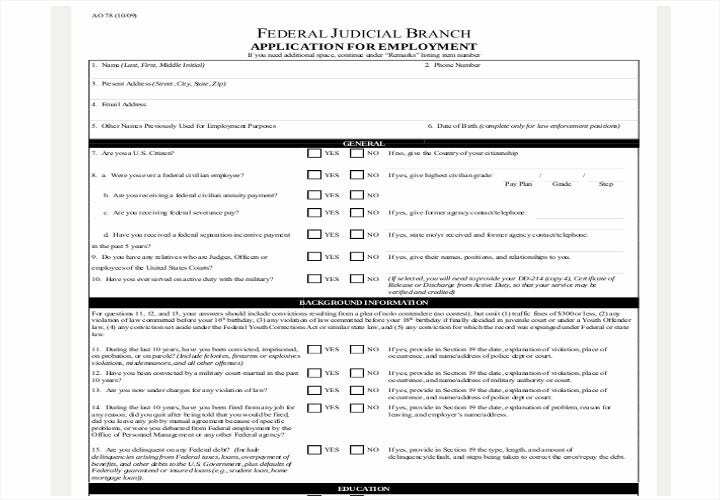 While you’re focusing on the applicant’s competencies, you should also include gray areas where the applicant may need some help. 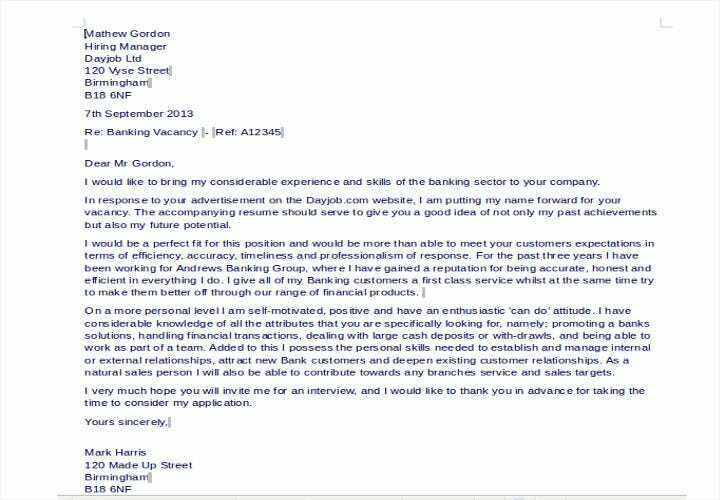 Fine-tune your opinion in such a way that this wouldn’t hamper the applicant’s chances of being accepted for the job. Things like organizational skills, time management, and core competencies have weakness levels in every individual and it’s best, to be honest about this in an applicant’s capabilities. You need to write your opinion on any of the weaknesses in a fair manner and not to make the applicant sound incompetent. You can do this by focusing first on the applicant’s positive qualities and then mention how he/she needs improvement in specific areas, although these can be corrected with the proper support while developing on these areas. Being honest and balanced in your recommendation can do very well to enhance your reputation to companies whose applicants will ask for your recommendation. 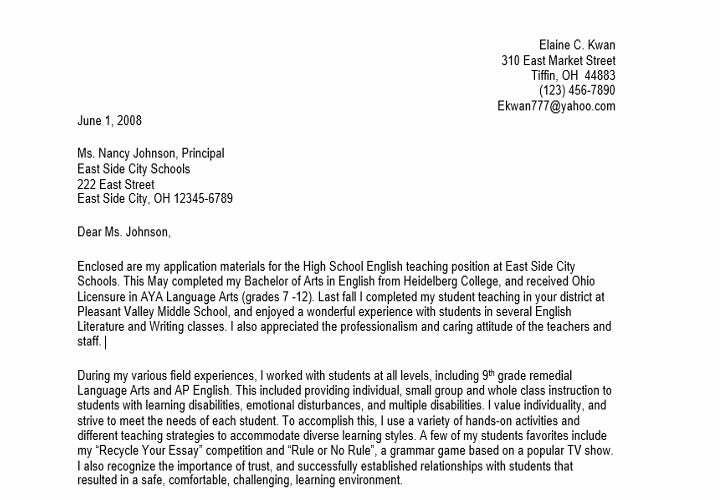 Since your recommendation letter is both proper and professional, you should be mindful of all the spelling, grammar, and punctuation in the contents of your letter. This way, your letter will be clear and easy to read. 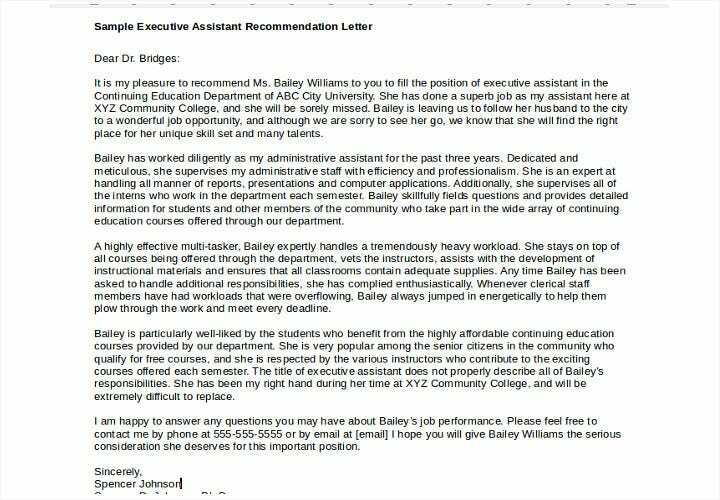 It doesn’t help if your recommendation letter is poorly written. Not only will it hurt your credibility, it could also limit the chances of helping the applicant land that job. 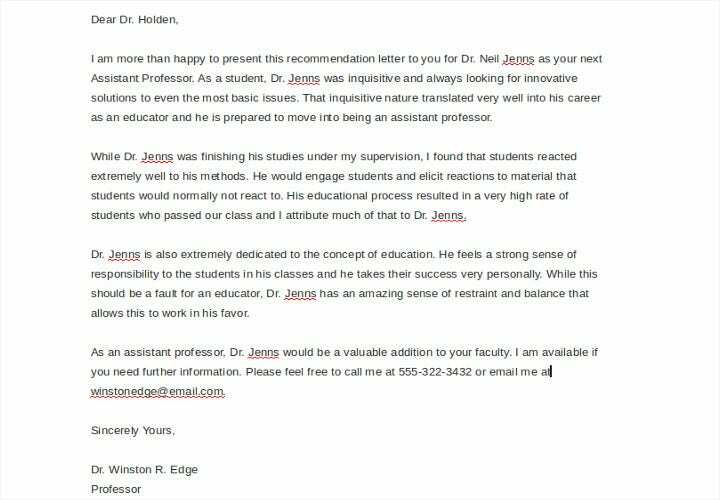 It doesn’t hurt to look at a couple of examples of recommendation letters to get an idea how you should draft your own. 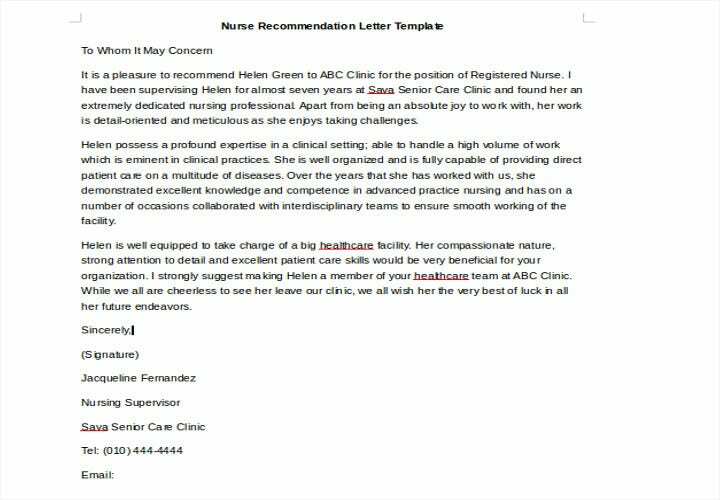 Don’t make any poor attention to detail and the tone of your letter should be such that the reader will find you warm, approachable and professional at the same time. This is especially helpful when the employer calls you for more help and information. And how do you make your letter sound approachable? 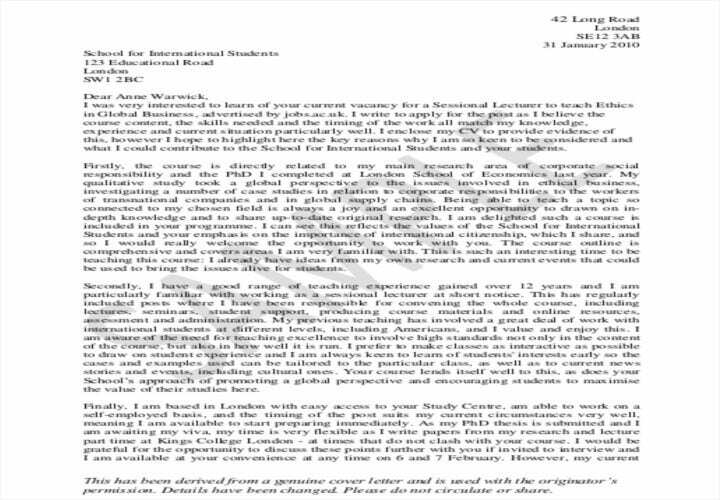 By ending your letter with, “ Please do not hesitate to contact me if you want additional information” or “Please feel free to contact me anytime”. Looking for a job and being accepted in one are two different things that have one common denominator: Both are dependent on a good employment recommendation. 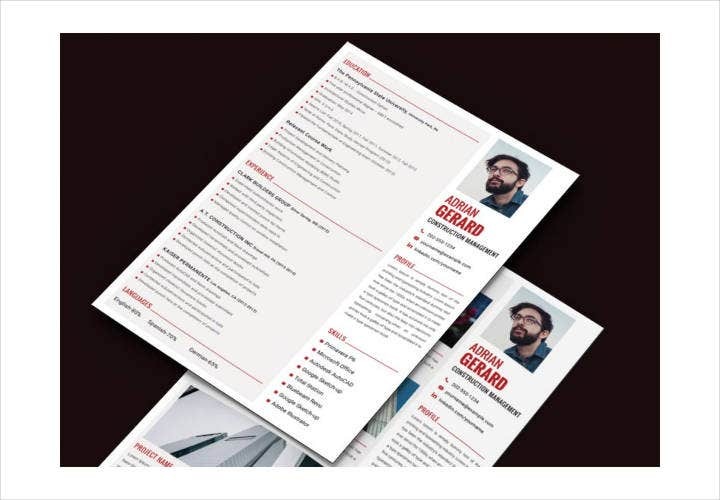 When you apply for a job and the employer thinks you’re qualified, chances are, more often than not, you’ll be asked for a couple of references. If you’ve prepared your references, at least you’ve come prepared. 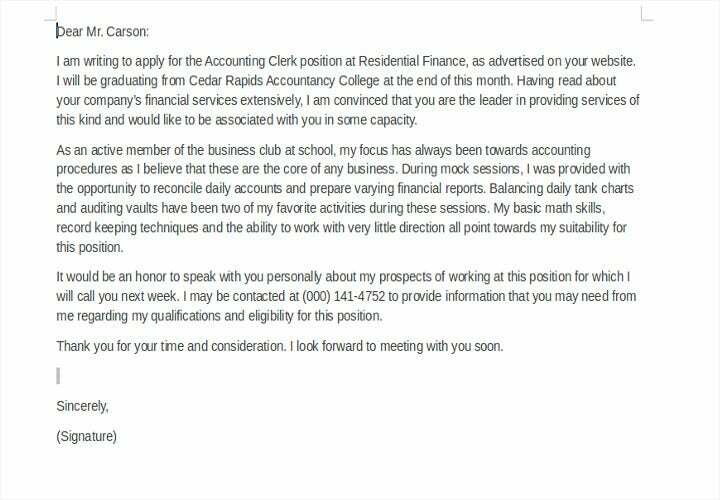 The good news about being asked for references is that the company is interested in you as a potential employee. The bad news is you really need a very good recommendation that will attest to your skills and qualifications. 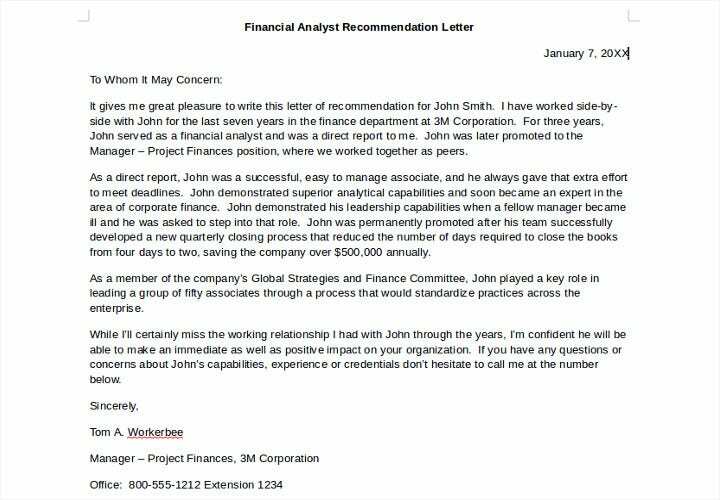 Before you go applying for a job, you should make sure to have several recommenders serve as references. As much as possible, they have to be those who are familiar with your past work and who can readily attest to your skills and qualities. 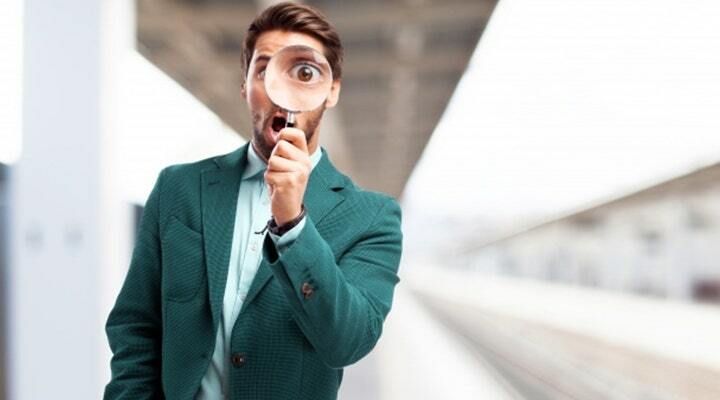 The question is, how do you ensure you’ll get the best reference for your job application? Always remember that employees who have very good work ethics and exceptional performances garner the best recommendations due to having a higher degree of success in their work. Besides getting positive reviews from your bosses, you’re laying the groundwork for getting a good recommendation just in case you’ll quit your job someday and apply in another company. 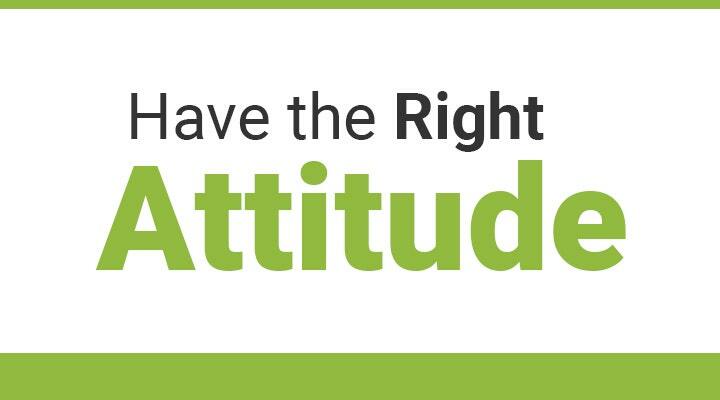 Project a positive attitude not just to your boss but to everyone in your workplace. It’s always good to treat everyone at the office with care and respect. Cultivating positive professional relationships with your co-workers ensure they will remember you as a likable person and will vouch for you on reference checks and will not have anything bad to say against you. As much as possible, always project a “can-do” attitude and be a good team player. This will reflect your positive work habits and will work to your advantage when you ask your boss or supervisor for a recommendation. At least they’ll have plenty of good things to say and remember you by which will help you land that job you’re applying for. If possible, show an unwavering loyalty to your direct supervisor and follow his or her directives carefully. Cooperate as much as you can and show interest whenever you’re asked to do something. This way, you’ll eventually develop a personal friendship with him or her. You’ll gain an advantage which helps you in your career shift when your supervisor informs your prospective employer that you’re highly recommended and a very able and competent employee. Being in touch with the people in your past jobs ensure you won’t have any problems when asking for a recommendation again in the future. 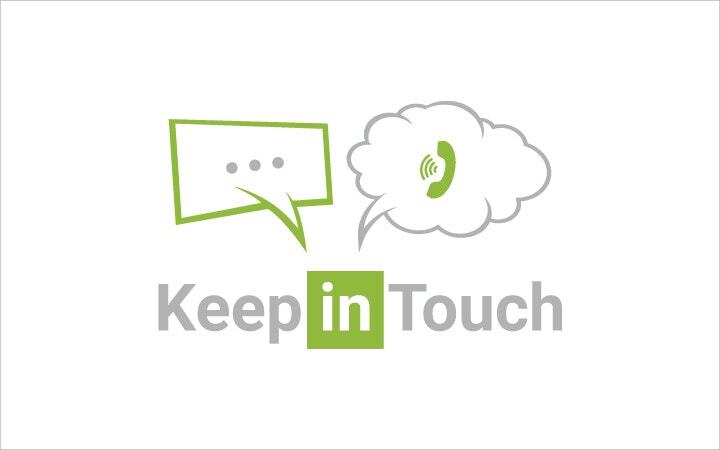 Reach out to them every now and then and update them on your goings-on. Your colleagues may someday become bosses themselves, which will totally work to your advantage if ever that happens. 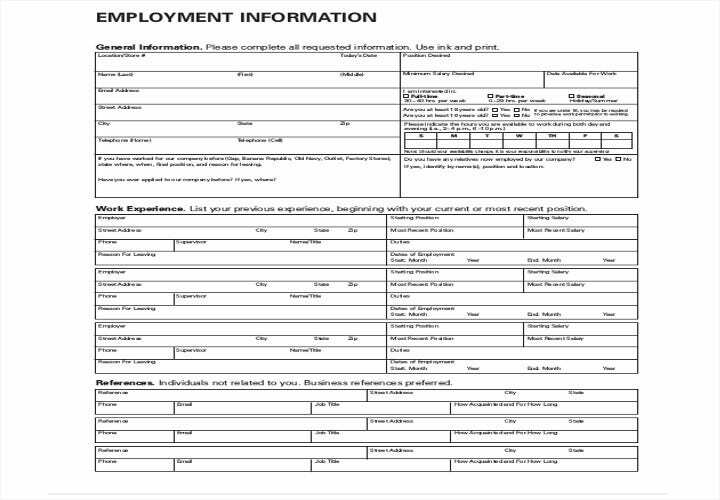 What Are Employment Application Forms? 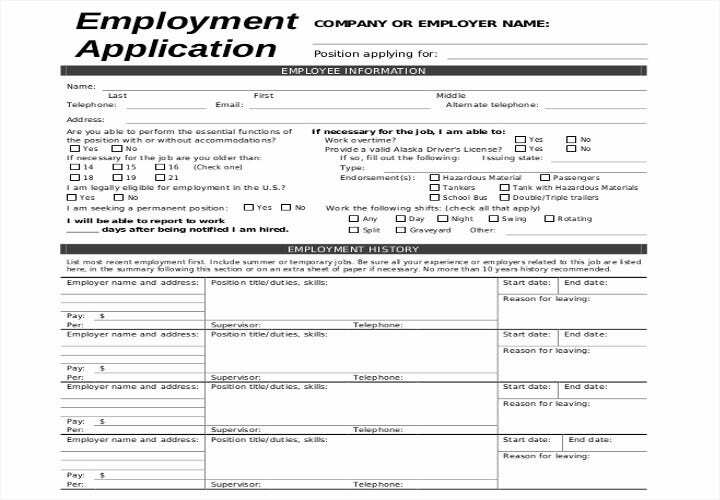 Employment application forms are mostly used by employers who engage in small and medium enterprises (SME’s) mostly for walk-in applicants. 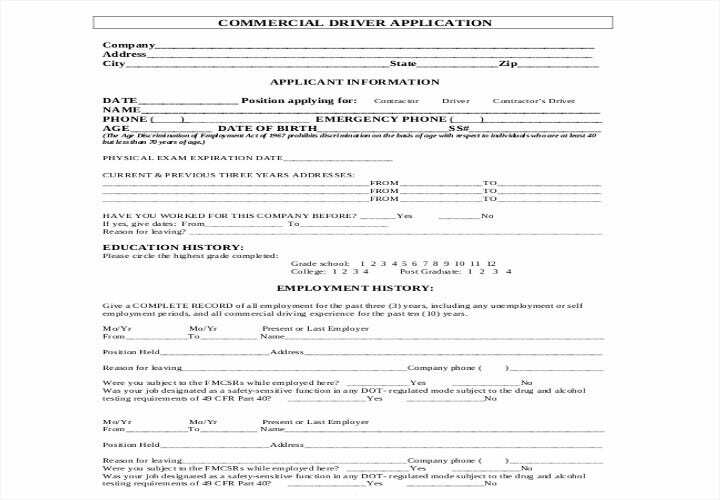 These forms are common in businesses like restaurants, cafes, grocery stores, clothing stores and brick & mortar businesses. These businesses do not usually have a formal application process due to the nature of the job and the fast turnover of employees who come and go at a short notice. 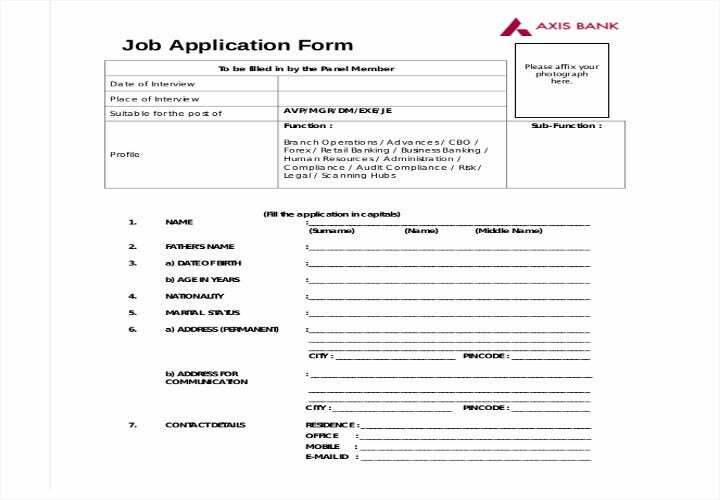 Employment application forms are helpful in matching and finding potential candidates from among a pool of applicants. This way, you create an on-demand conduit if any of your present employees resigns or gets fired. Having a file of walk-in applicants prevents your business from being paralyzed when you can easily contact anyone from among those who filled up your employment application forms. 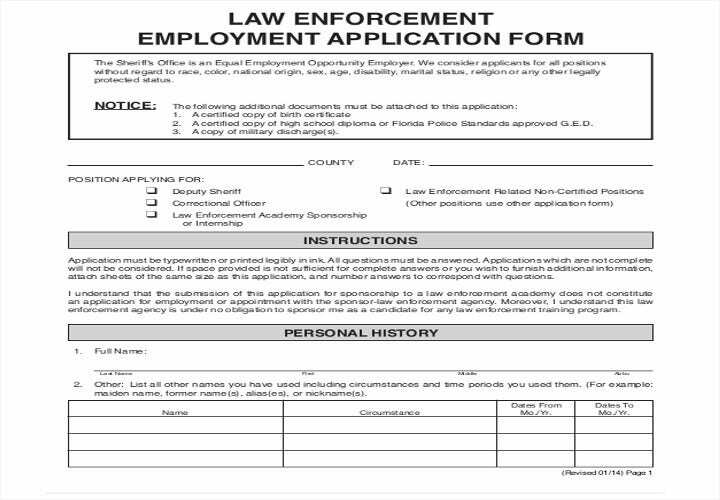 You can file these applications in a simple way to prevent any confusion. These can be divided into those that have been hired, those that were rejected and those that have potential and for consideration. You may also use a software to digitally organize and track applicants which can save you time once you use a candidate management system. 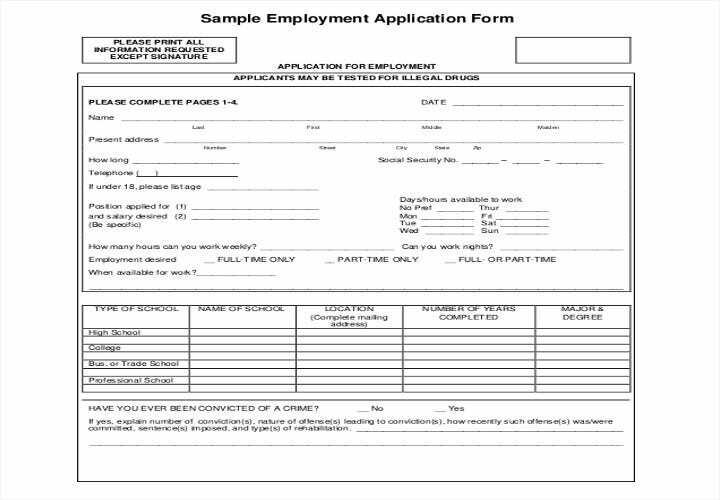 As mentioned earlier, if your business happens to be one where walk-in applicants are welcome, you would need a standardized employment application form that prospective applicants can fill up. 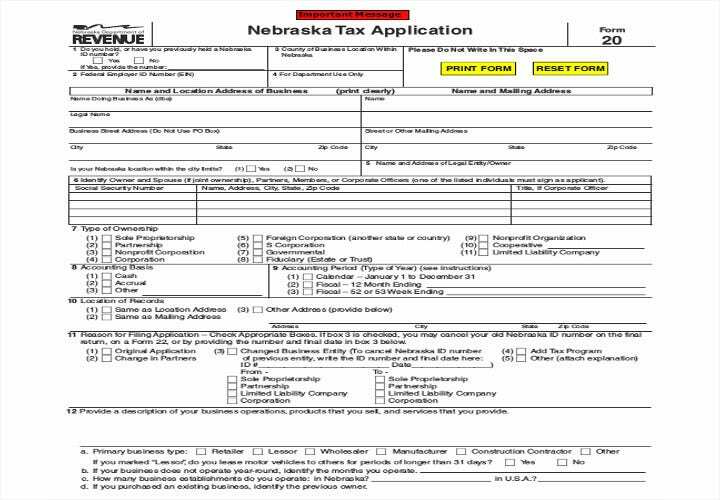 This way, you’ll get rid of the hassle and time-consuming process of having to let applicants fill up whatever form is available, especially if you don’t have copies ready. If this happens, any important piece of information needed from each applicant may not be obtained properly and your hiring system will both be disorderly and chaotic. 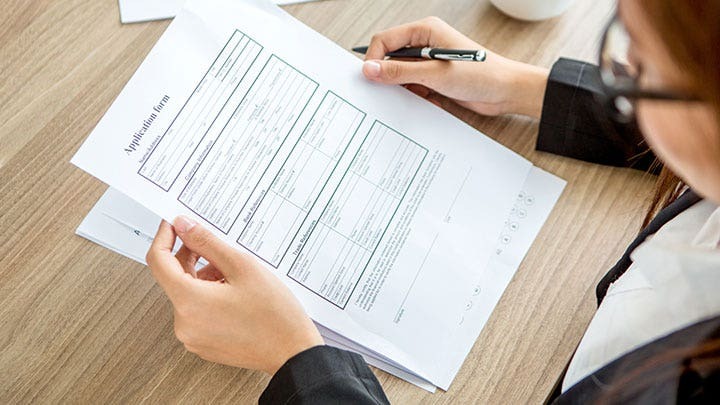 It’s always good to have a system and file copies of employment application forms to prevent time-consuming hiring procedures from being tiresome and disorganized. What makes you qualified to handle this position? What were your previous job and past experience? In your previous experience, what was your favorite job? What made it your favorite job? What are the best days/times to interview you? 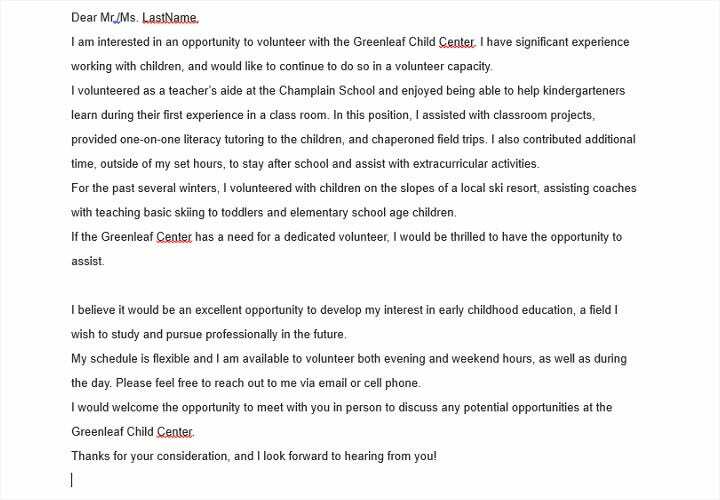 These are just some of the questions that you can ask prospective candidates. Due to privacy concerns, however, there may be information that a prospective employee may choose not to answer. We’ll be exploring the kinds of information that can be asked and what may not be answered. Privacy is such a big thing particularly in the United States and individuals may not answer some nor give out information based on individual rights mandated in the provisions of the amended Bill of Rights of the U.S. Constitution. 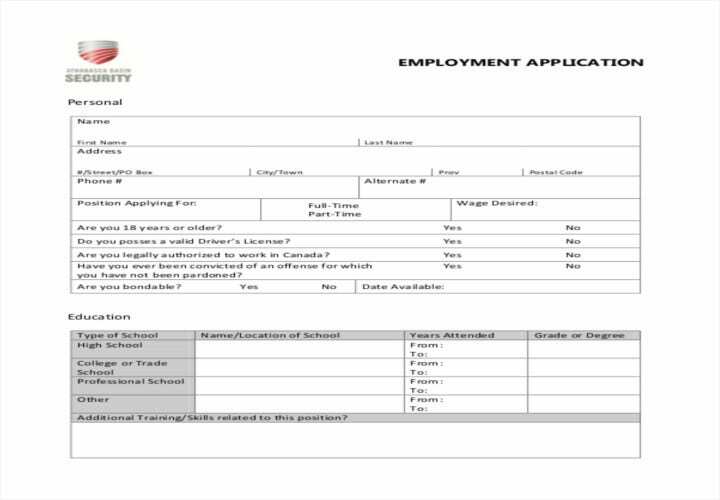 Employment application forms may look standard enough but they are designed to be targeted questions that will help employers determine the competency and capability of a prospective applicant. This guide will help both employer and applicant become familiar with questions that determine an employee’s behavior, performance, and experience. As mentioned earlier, privacy concerns are a real issue nowadays due to the proliferation of persons and institutions stealing anyone’s relevant personal information. While individual rights are being protected by law, this doesn’t prevent anybody from taking advantage of someone whose personal information details may be hacked, stolen or inadvertently made available online due to oversight. Reasons range from stealing personal data to be used for online hacking to becoming a target for advertisers. Then there’s the issue of work discrimination that has been changed and amended through the years and whose provisions are being included in the U.S. Bill of Rights. 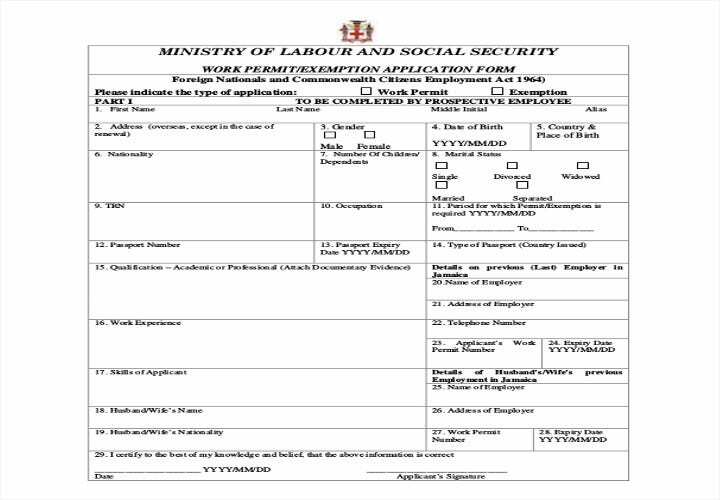 While it’s illegal to ask an applicant’s Social Security number or contact details, these are mandatory to be given to the employer when he/she becomes hired, however, for the purpose of tax and pay benefits. ***ADEA – Section 621, Volume 29 of the United States Code, otherwise known as the Age Discrimination in Employment Act of 1967, which prohibits employment discrimination against persons 40 years of age or older. 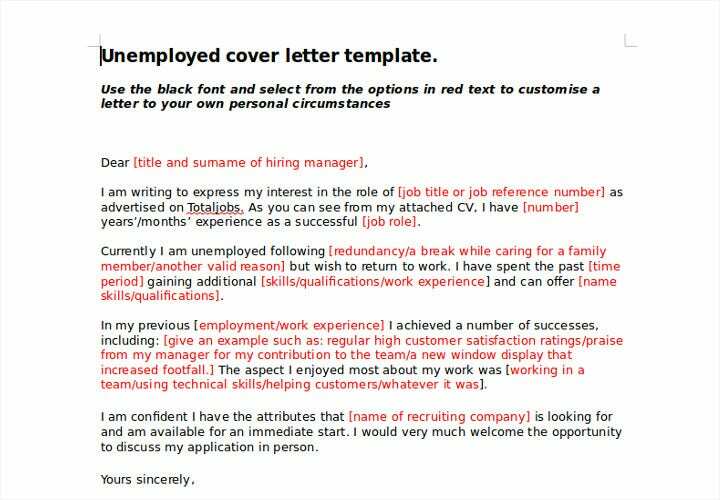 Oftentimes, when applying for a job, most applicants are unsure of what to write on their application letters. 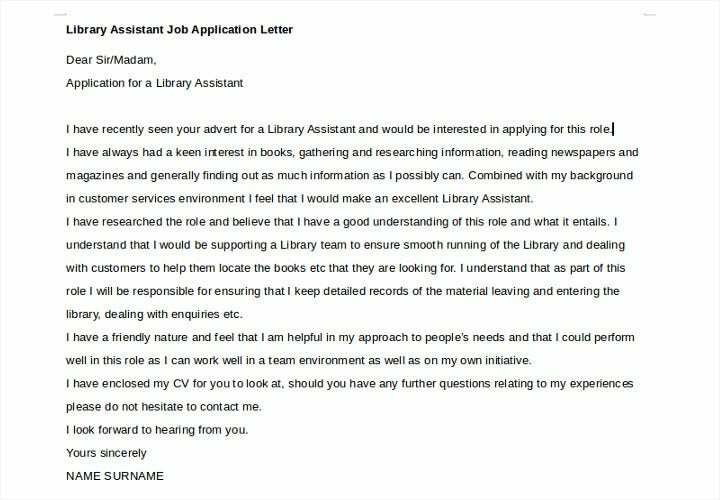 For this reason, it’s easier to use an application template rather than contemplating for hours how to write the contents of your application letter. 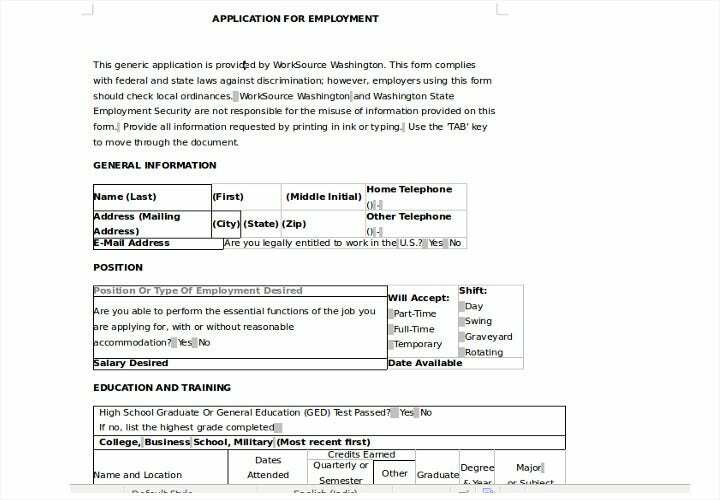 A template makes it easier for you to write all the information you need to state and helps provide the format for a job application letter. 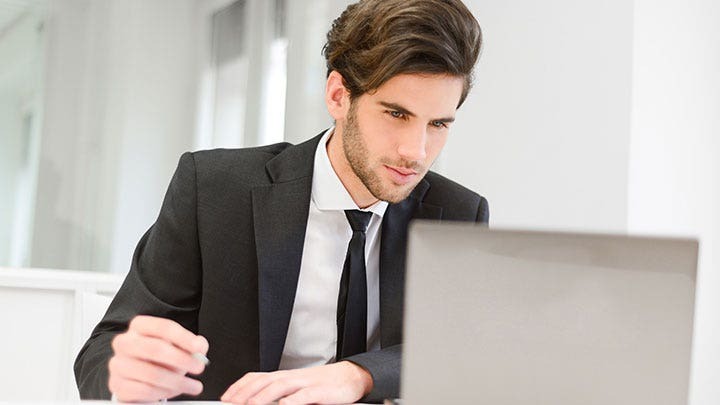 While some job offers require an applicant to provide a list of required information, at least you’ll have an idea based on the template examples that we are offering here. 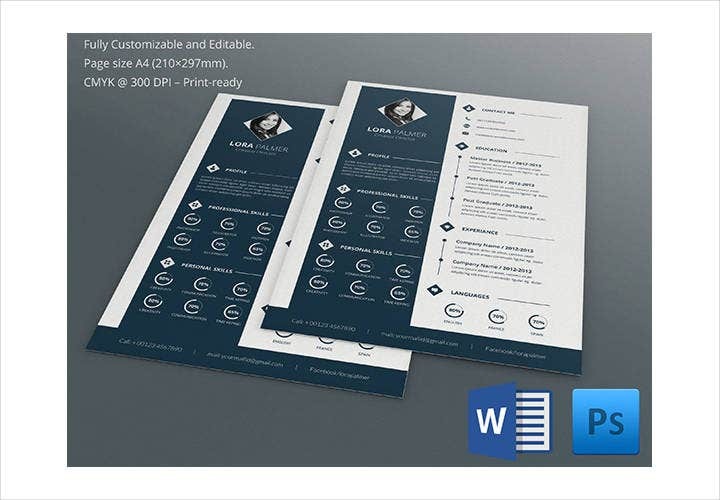 These are different kinds of application templates with their own summary of descriptions. 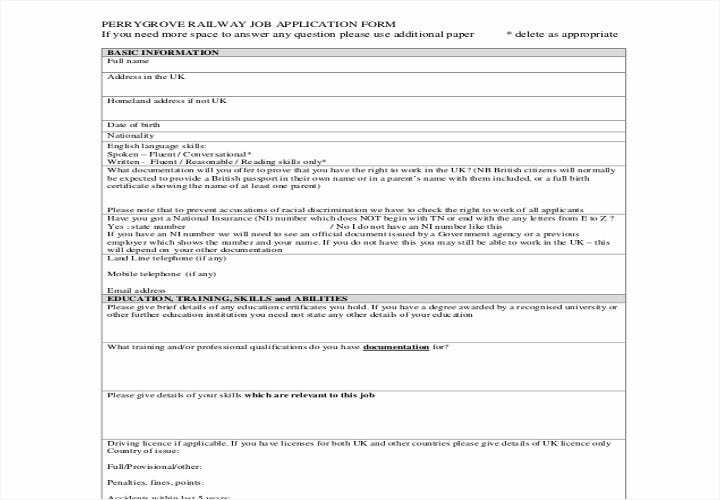 This way, users will be able to get ideas from or draft their own application letters in case they need to compose their own. 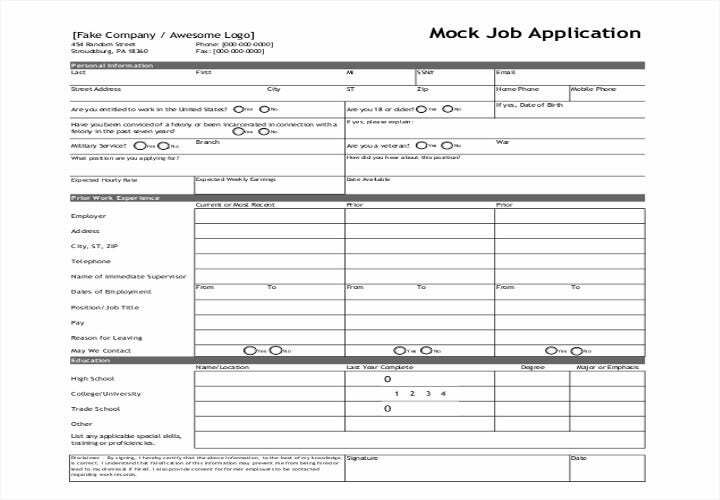 We offer different kinds of application templates and sample formats for job application letters. 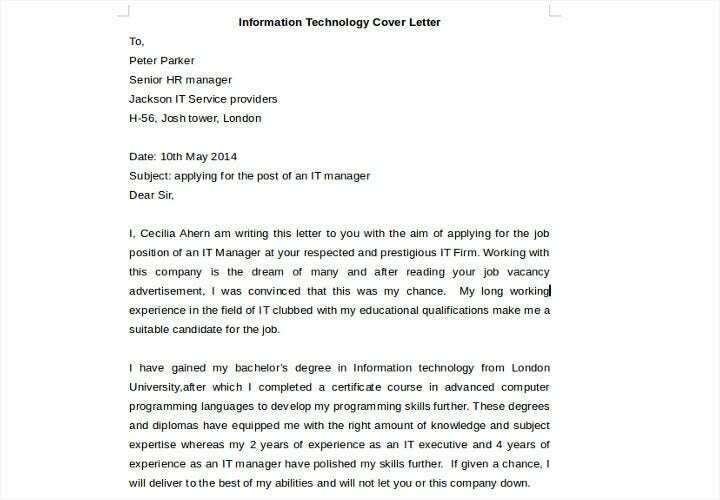 A typical job application letter format provides the information you need to include in your application letter. 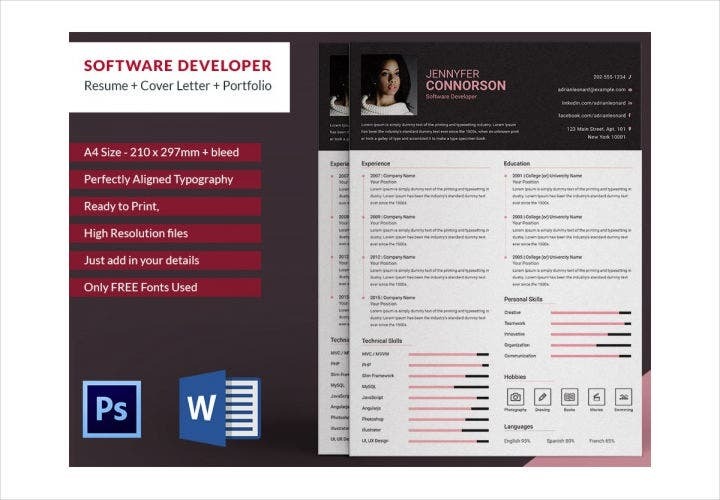 You can use any of these 25 sample formats for your job application to send to your employer with your resume. 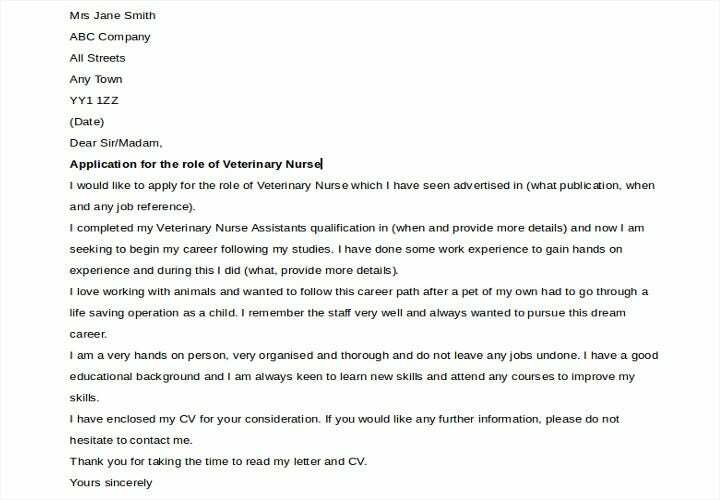 This is the first section of your letter and should include all the necessary information which your employer may be able to keep in touch with you. If you have your employer’s contact details, you should include it here also. If not, the most important thing is to list your contact information. 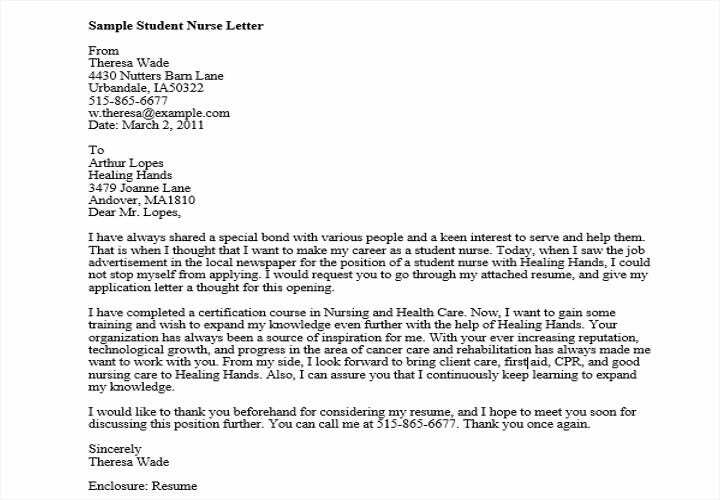 For a more formal greeting, you may use a cover letter salutation which will sound both appropriate and professional. Avoid such greetings as “Hi” or “Hello”. If in case you’re not sure of the contact person’s gender, just write the full name and avoid the personal title. 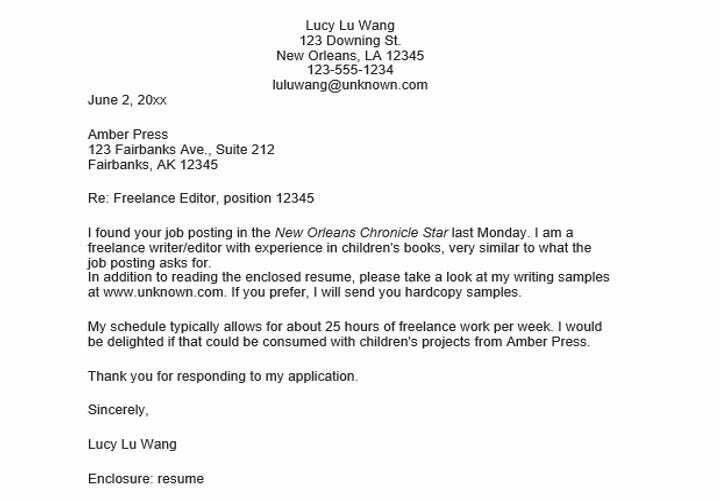 Some companies don’t list a contact person on job postings since only the hiring staff sort the resumes before passing on probable candidates to the hiring manager. 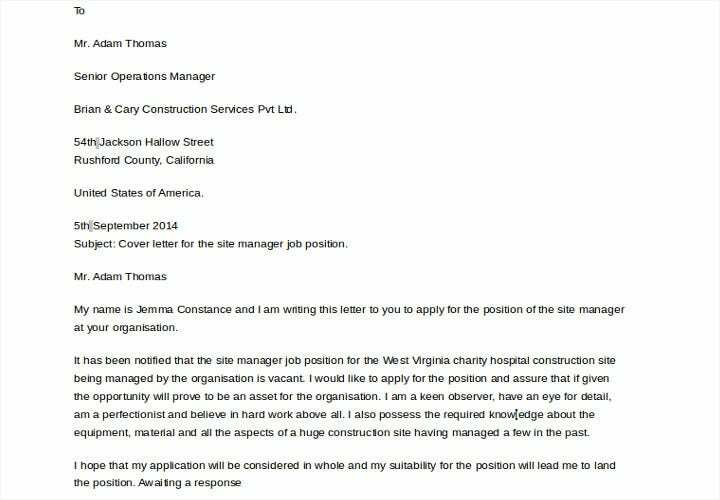 If you don’t have the name of the contact person for the company, it’s better to use a general salutation like “To Whom It May Concern” or “Dear Hiring Manager”. As much as possible, however, it’s always important to leave a good impression by putting the contact name on your letter. It’s always appreciated if you make a good effort to take the time to find out the contact person’s name. 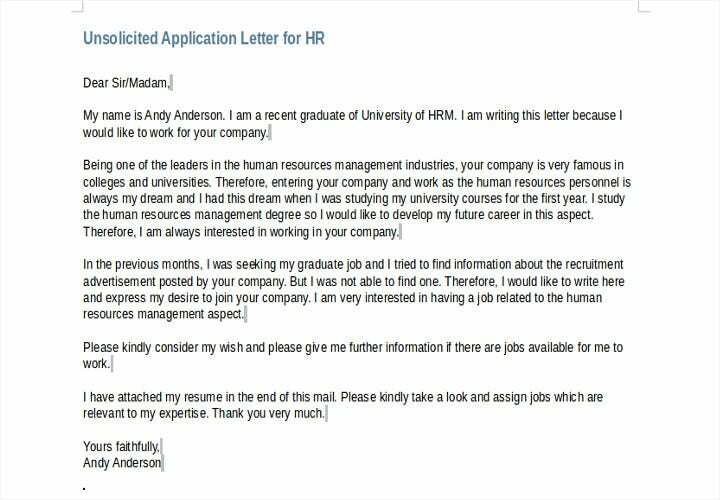 Otherwise, ask to be forwarded to the Human Resources department or look for the company’s website and list the potential names where your application letter will be addressed. 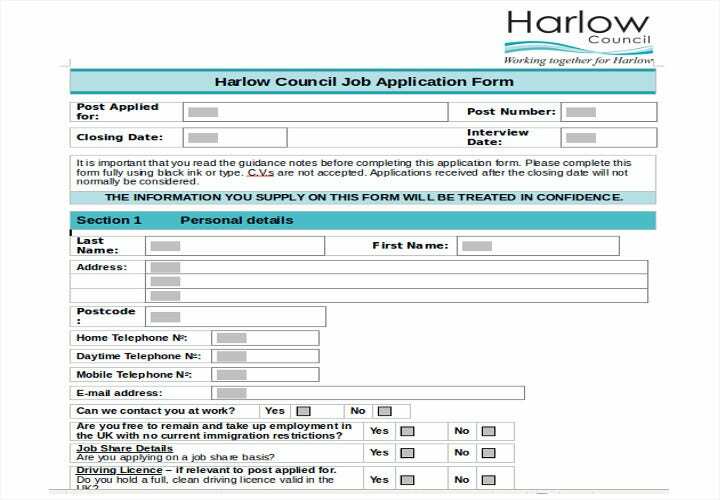 The content of your application letter will inform the employer why you are writing; the kind of position you’re applying for, why you think you’re qualified enough to get an interview and how you’re going to follow up on your application. If you know somebody or if you have a contact within the company, mention the person’s name and your connection with him/her. 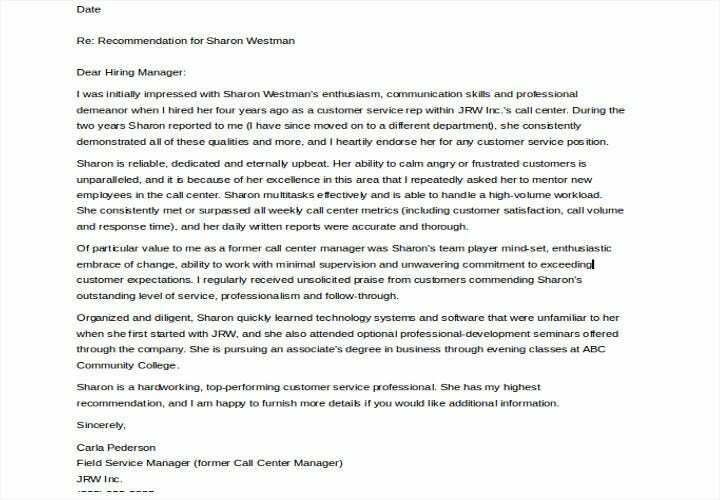 In this section, you should describe what you have to offer the company like your skills and abilities, and how these meet the requirements posted in the company’s job listing. 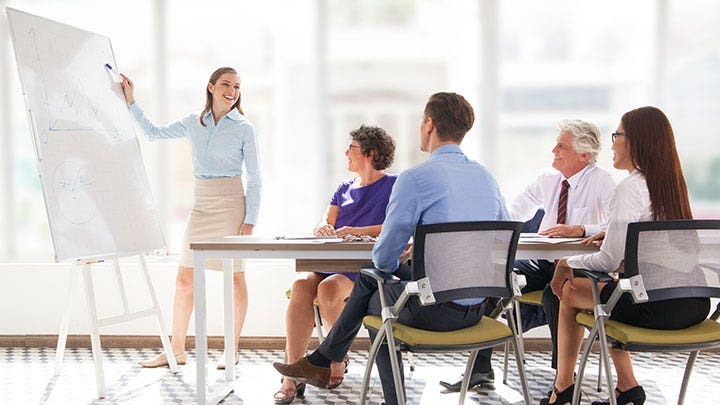 It’s important to emphasize the strong connection between your skills and what is required of the position by mentioning specific responsibilities from your past job that met your employer’s goals. Expand on the information you provide but don’t repeat them often. You can back each statement with instances that provide evidence to your claims. 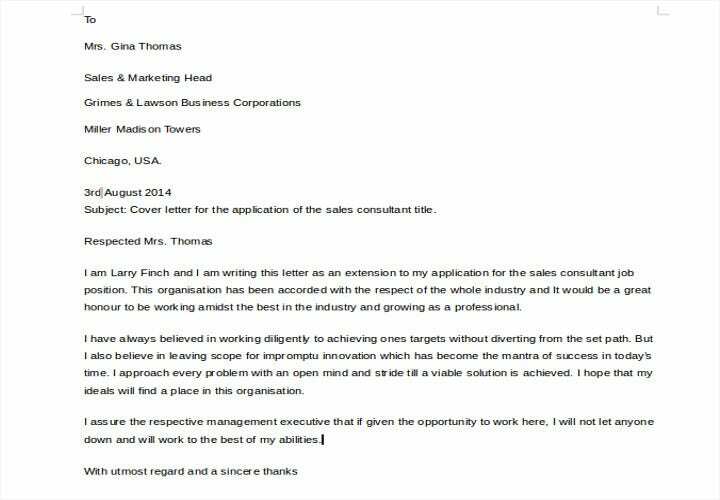 It’s advisable to use bullets or shorter paragraphs rather than a single large block of text which may make the employer or hiring manager lose the interest of your letter. 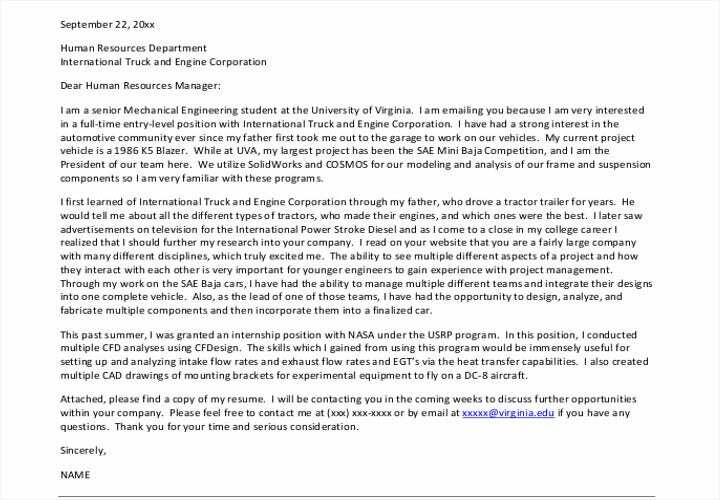 In this section, conclude your application letter by thanking the employer for considering you for the position. Inform him or her that you will follow up (usually within a week’s time). 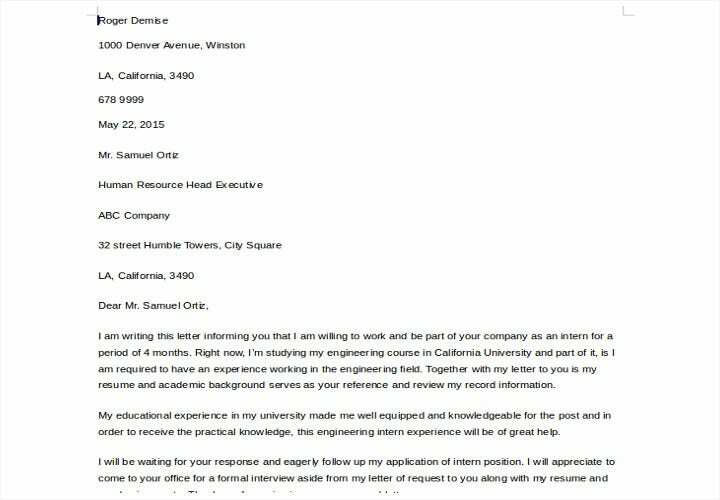 As is standard practice nowadays, you can reduce the time of sending your resume and following up by sending your resume through email. 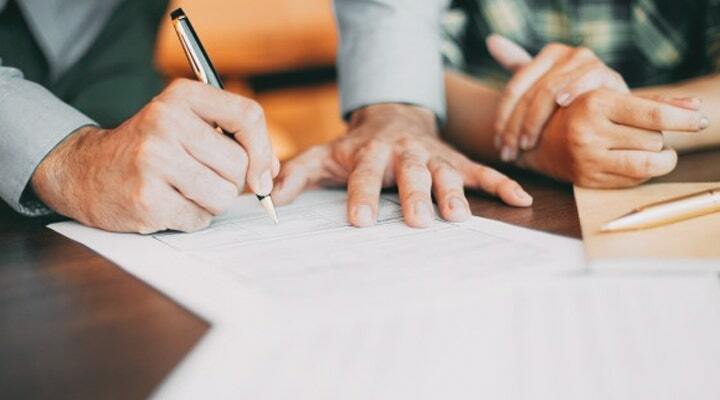 The complimentary closing includes politely closing your letter with either a “Sincerely” or “Yours Sincerely”, followed by your signature and you’re typed out full name underneath your signature. 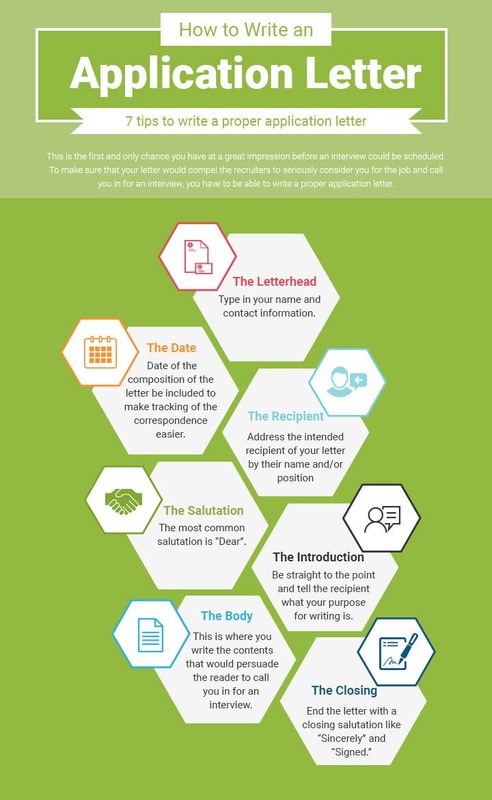 Begin Your Email with a Salutation. 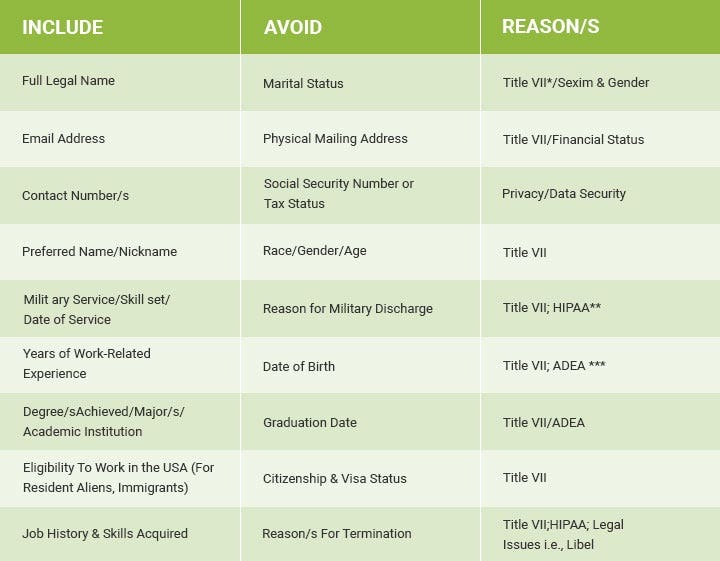 You can skip including your personal information such as the date, address, both your and the employer’s contact information. The body of your email, such as why you’re sending the email, what your skills can offer to the company and how you’re going to follow up follows the same procedure as the template to an application letter. Include a Complimentary Close. 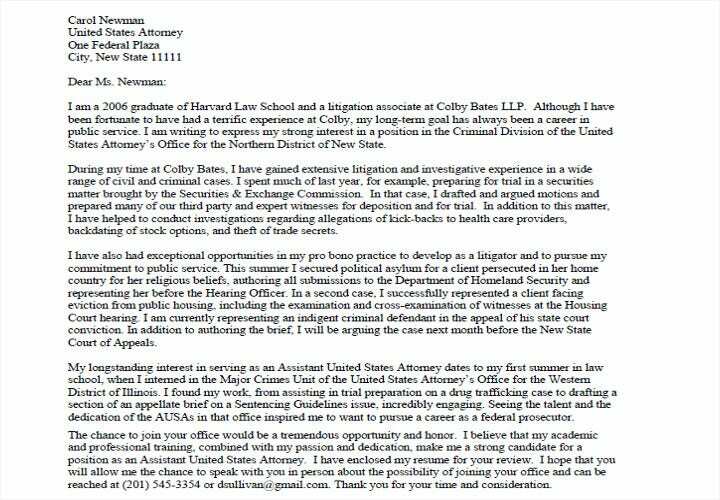 At the end of your letter, you should write a complimentary closing followed by typing out your full name on the line below. You can include an email signature with your contact details, plus a link to any one of your social media accounts. 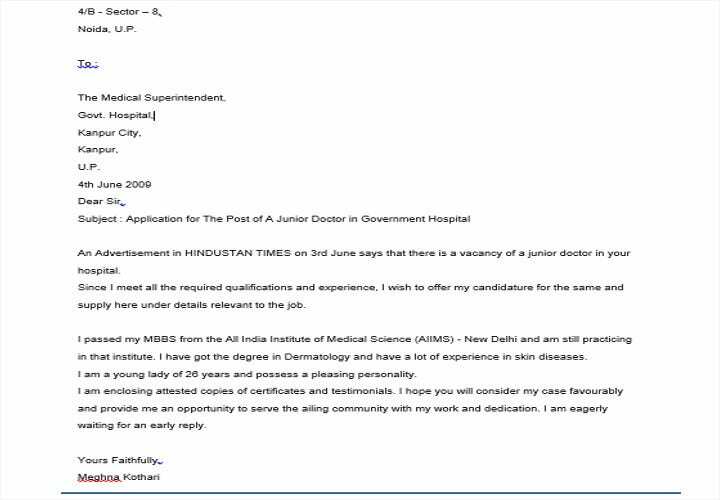 The term “Medical Job” is the generalised name for the professions enumerated above and are mostly referenced for medical doctors. In general, medical doctors examine, diagnose and treat patients in need of medical care. They are mostly responsible for alleviating pain and physical discomfort suffered by individuals. Except for general practitioners who practice general medicine, treating patients require specialists that treat specific areas of the body like some of the specified specialities above, like paediatricians for kids below 18 years of age, cardiologists for those suffering from heart diseases and urologists for those who suffer from functions in the urinary system. 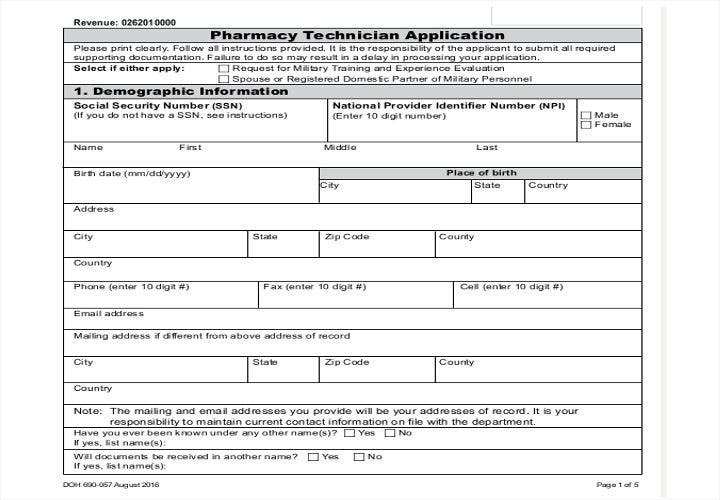 For administrative medical personnel, medical job positions like that of a Chief Medical Officer (CMO), handle administrative functions in healthcare facilities and are also in charge of training doctors under their supervision, on how to properly handle medical procedures to ensure the best possible patient care in an efficient and competent manner. 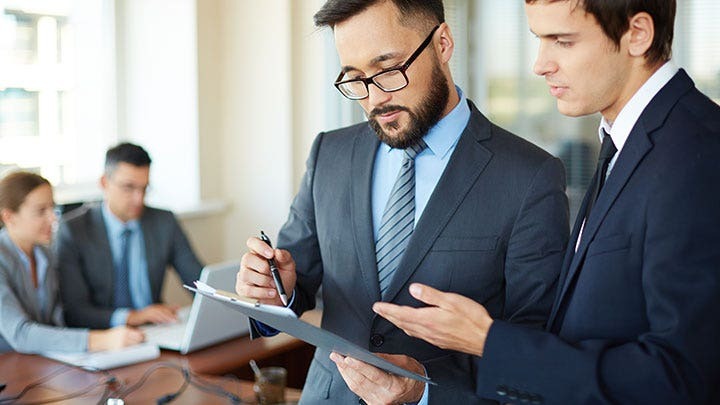 CMO’s are also responsible for implementing proper hospital procedures and policies to ensure the smooth delivery of healthcare programs in the facility. They’re also in charge of designating medical directors who will help implement proper medical procedures in their respective facilities and take on the functions the CMo’s designated to them. 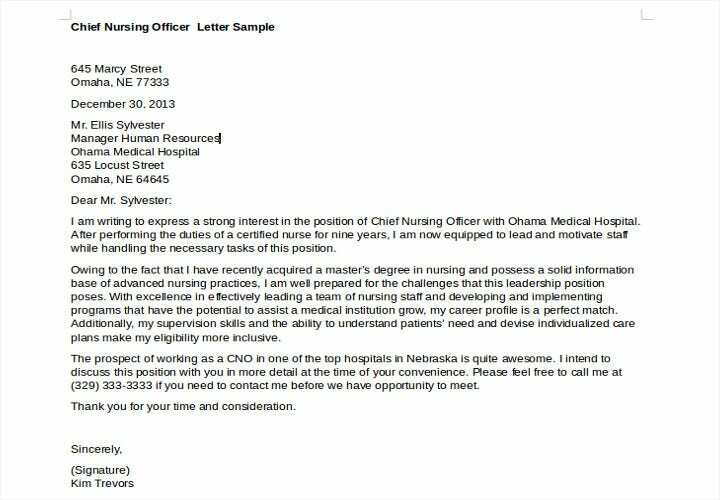 Besides CMO’s and Medical Directors, other administrative positions in the medical profession include the Chief Nursing Officer (CNO) whose main responsibility is to supervise nurses and nurse managers under her, with such tasks as implementing the efficient delivery of patient care as well as recommending strategies for service improvement. While being a nurse is not an easy job, her duty is as equally important as a doctor since she acts as a direct bridge between the patient and the doctor, hence the responsibility of the CNO to supervise nurses in such a way that optimum health care must be delivered. Having a law degree offers a lot of opportunities in the paralegal field while you wait for your results in the bar exam, or if you’ll settle for being a paralegal instead of being a full-fledged lawyer. For one, you can be a legal assistant and work for a prestigious lawyer in a law firm which will give you firsthand experience on the proper ways of becoming a practicing lawyer in the future. You’ll learn to develop case information, tracking down cases and assisting with your office attorney’s trial proceedings. You will also help gather pieces of evidence which are crucial to the prosecution or defence, depending on which side your law office is working on. Everyone who has ever gone to school would know that the very foundation of everyone’s career was made responsible by the guiding hand of teachers who shaped them for what they’ve become now. That’s the importance of teachers that has been taken for granted by most people nowadays. The challenge for most teachers nowadays in educating students is to keep their interest long enough to make teaching fun and intellectually stimulating at the same time. The teacher’s primary objective is to develop strategies and work out techniques to keep the learning process both exciting and intellectually stimulating. Ever since man learned how to build things to make work easier, the concept of engineering in building structures and machines is proof that it is one of the oldest professions in the world. Without applying the concept of engineering in everything that we build, they’re all bound to fail and fall down to the ground. Civil Engineering – The kind of engineering discipline from which most engineering fields are based on. It deals with the construction and maintenance of physical structures like buildings, roads, bridges, canals and dams. Before you can become a certified civil engineer, you have to study to obtain an academic degree in engineering which runs approximately five years to obtain. Once obtained, you need to pass the board examination in order to become a licensed and certified civil engineer. With massive reconstruction and infrastructure projects undertaken by different agencies, there’s bound to be a substantial demand for civil engineers and ensure you will never become unemployed. Electrical Engineering – This field of engineering deals with the application of electrical, electronic and electromagnetic science with the advent of electrical power that got incorporated in the modern world due to industrialization. With the widespread use of electrical power and telecommunications technologies, you can be assured of multiple employment opportunities if you’re a certified electrical engineer. Chemical Engineering – This field of engineering deals with the process and synthesis of chemical materials and chemical engineers are usually found working on oil industries, pharmaceuticals, petrochemical industries and environmental facilities. Chemical engineers also help design production facilities meant to minimise pollution or deactivate harmful substances that factories release into the air. Chemical engineering is a complex occupation which, if you’re qualified, ensures you will be easily employed and well-compensated. Mechanical Engineering – This is the branch of engineering that deals with the design and construction of machinery. 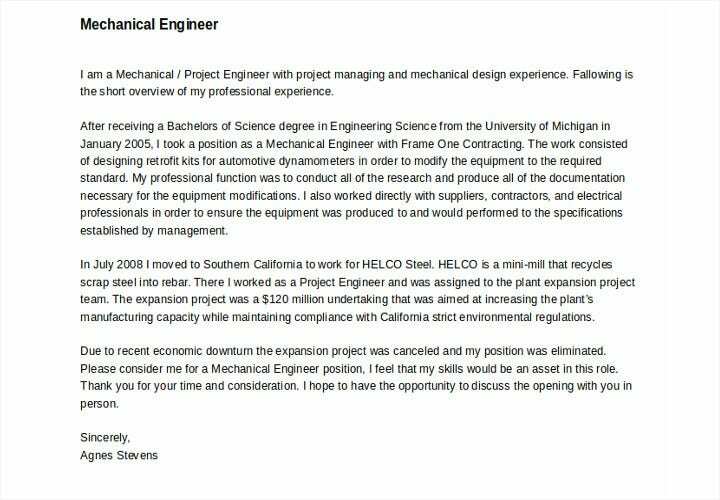 If you’re a licensed mechanical engineer, your job description would include the development of manufacturing processes mostly in factories and the manufacturing segment that uses large machinery. Also responsible for the design and implementation of the heater and air conditioning systems in buildings; elevators and escalators of shopping malls and everything that involve mechanical systems. Clients often hire contractors for the simple reason that they can cut costs and don’t have to pay benefits as compared to full-time employees who would cost them more money. In the age of computers, access to remote work has encouraged a lot of people to work freelance and off-site while getting work done for their clients. The rise of freelancing not only favours white-collar jobs but also in the construction segment and practically anywhere in the workplace. It’s a win-win solution for both the client and the contractor since it can translate to big savings for the client and flexibility of time for the contractor. Cost-Reduction – Even if the contractor charges a higher hourly rate than a regular worker, clients still get to save higher in terms of not having to pay for Social Security, health insurance, and retirement. There’s also no need to pay for an office site and every transaction doesn’t have to be done physically. This can translate to higher savings in the long term while you wait for work to be done and will be submitted to you complete and ready for use. Risk Reduction – When you’re the employer, you don’t have to worry about unemployment insurance being collected from you that the government usually charges you for every employee that becomes unemployed. 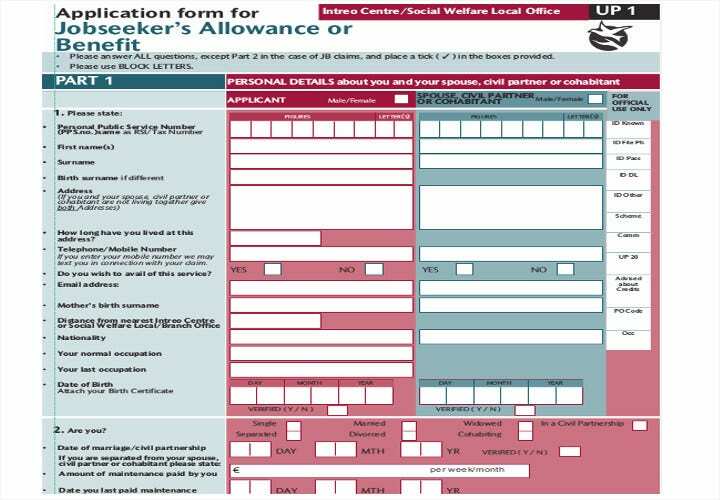 Contractors also cannot claim compensation benefits that regular employees are entitled to. Contractors can also be terminated easily when they fail to perform according to your specifics when doing work that turns out to be less than satisfactory. They’re also easier to replace with no added financial burdens that a regular employee might incur. 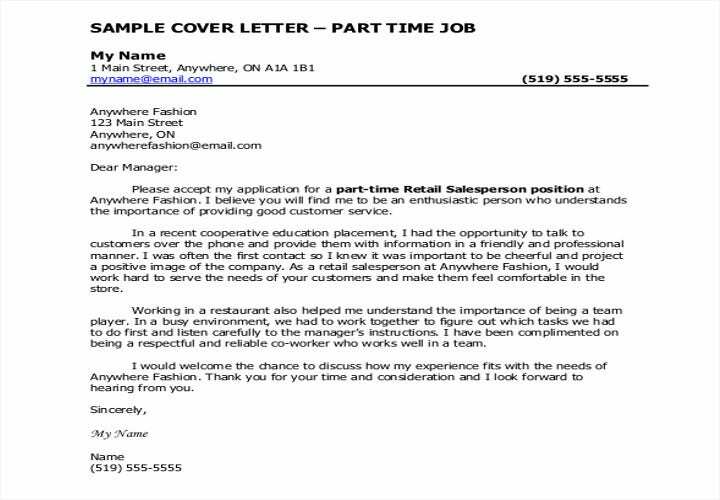 A solicited application letter is more commonly known as a cover letter that requests the employer or hiring staff for an interview for a particular job position that is being offered. 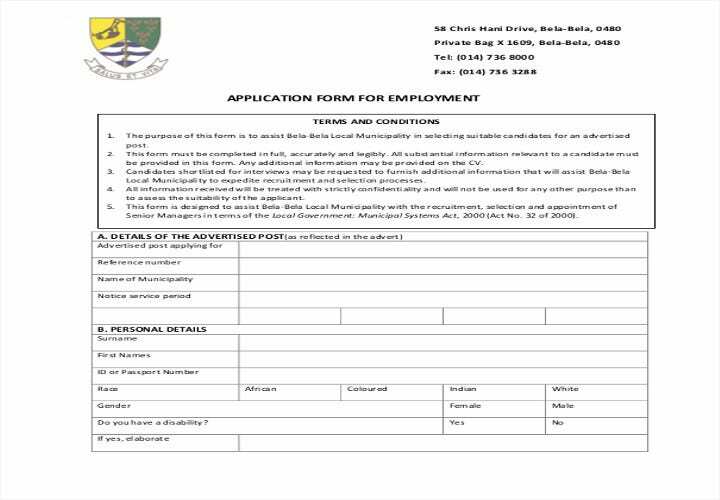 Solicited job application letters are composed by applicants to introduce themselves to the employer and give credence to their qualifications that are being highlighted in their resumes. 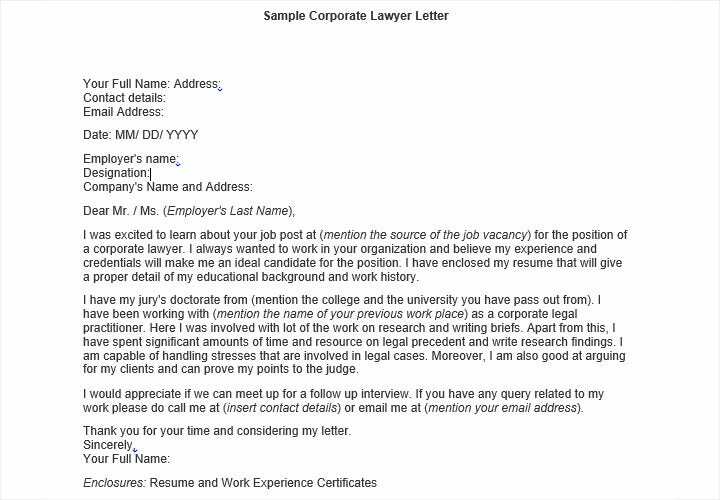 As standard practice, the cover letter is meant to introduce the candidate or applicant and explain how the particular position the candidate is applying for may be suited for his or her qualifications. 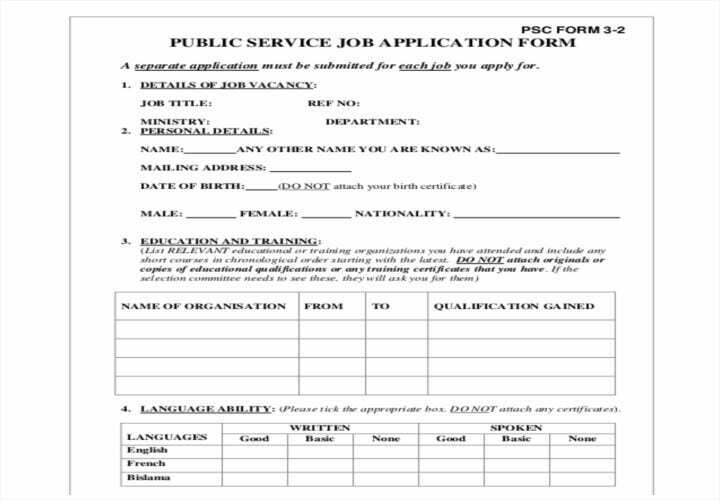 The candidate may state how the job position being offered has been advertised and that he/she has responded because he/she believes he/she is qualified and competent enough for the position being offered. 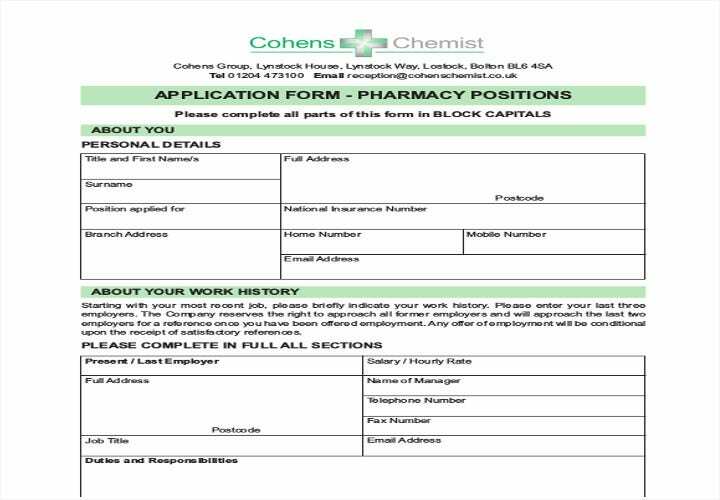 Solicited job application letters follow the standard format of formal letters that starts with a salutation and ends with a complimentary closing. In the main body, the applicant may state his/her experience, skills and capabilities that will make him/her an important factor to contribute to the company’s goals. 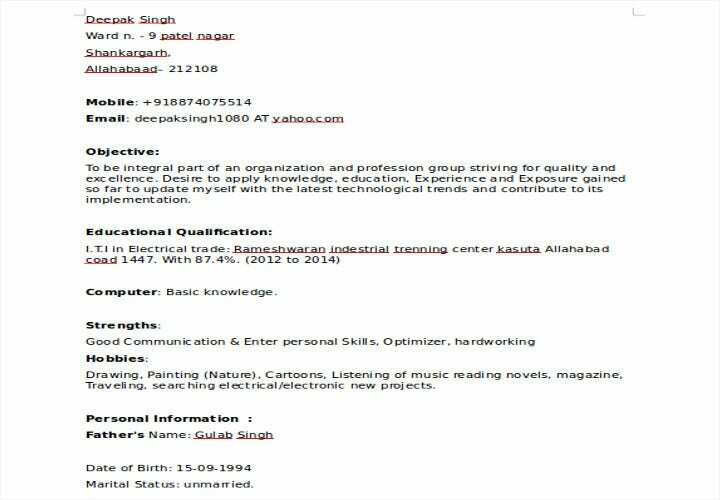 The candidate’s contact details should be included in case he/she will be qualified for an interview. 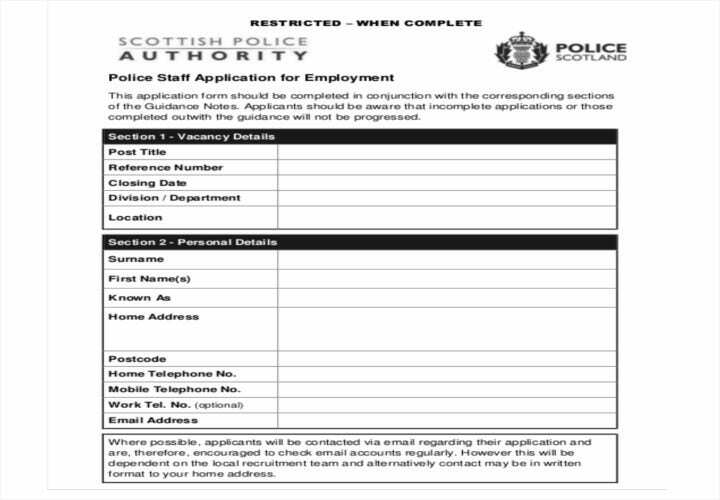 An applicant handing a solicited application letter has better chances of being interviewed and hired in the process since the job has been advertised in the first place. With this in mind, the applicant doesn’t necessarily have to make her cover letter long and must go to the point after the formal greeting. 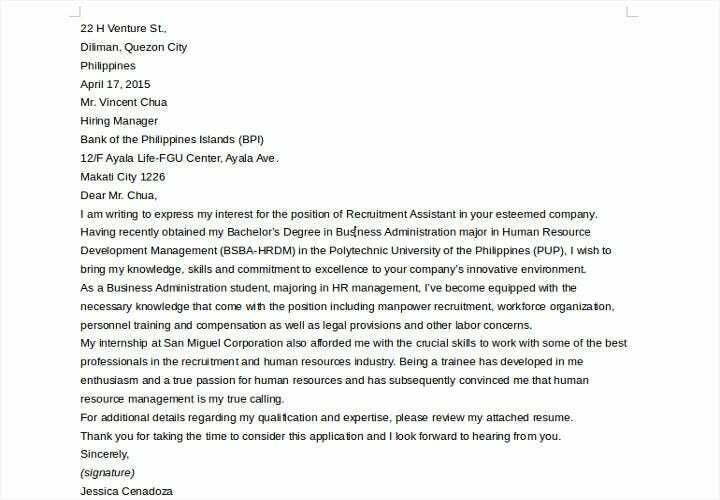 In cases of solicited letters, companies are expecting applicants to submit their resumes and so the applicant must keep in mind his/her application letter is just one of hundreds being submitted by probable candidates, so it’s best to highlight one’s expertise because this is the most important factor that the employer is looking for. 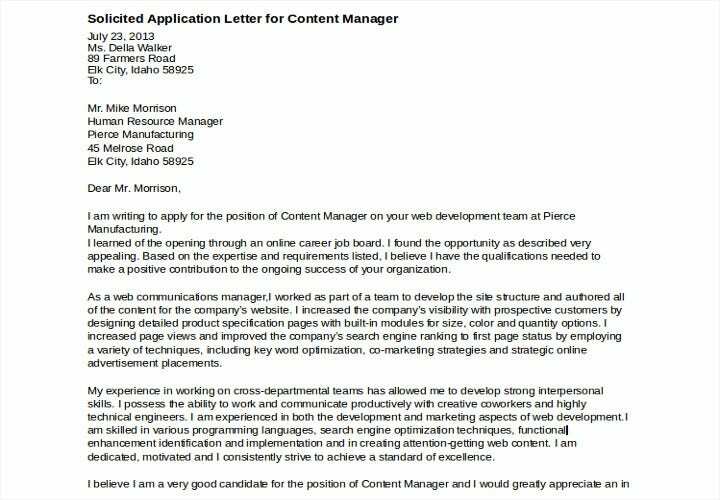 As opposed to a solicited job application letter, an unsolicited job application letter is usually submitted by an applicant to a company or employer who hasn’t advertised that it’s hiring any positions. 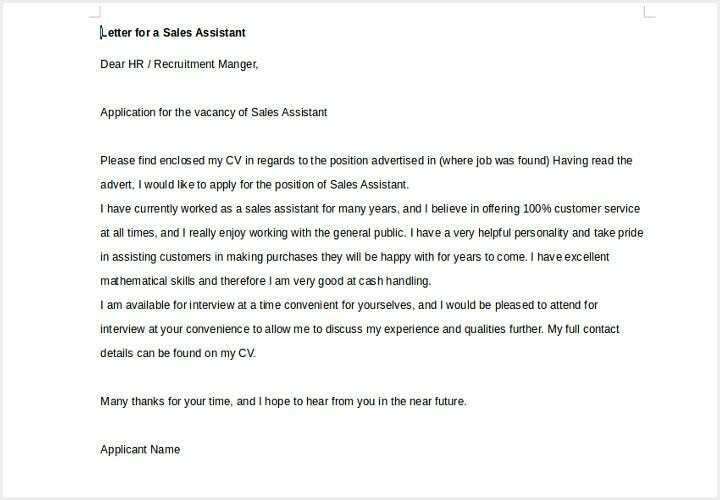 When an applicant writes an unsolicited application letter, he/she hopes that the company has any job opening which the applicant may be accommodated with and may be hired. 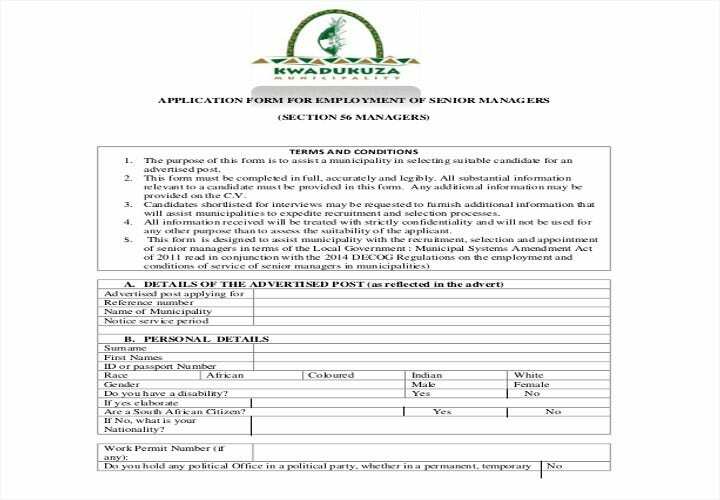 An unsolicited application letter has more general terms and the applicant may state that he/she is looking for any managerial position that fits his/her qualifications. 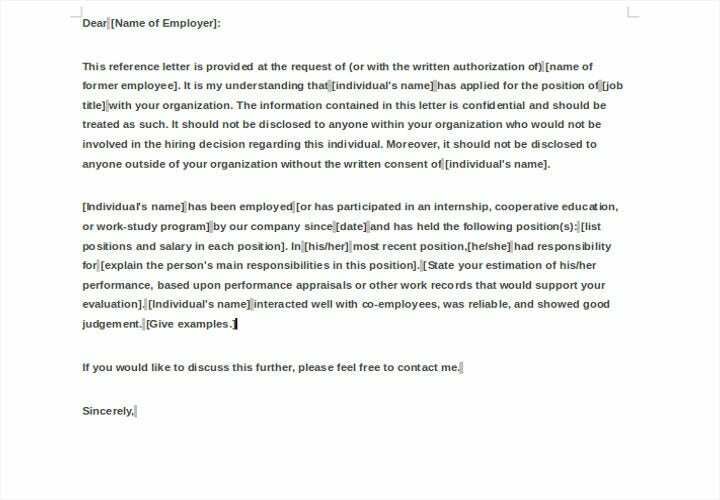 In order for an employer to give consideration to an unsolicited application letter, the applicant must keep his/her letter interesting and should include pieces of interesting information about the company, such that the applicant considered working for the company. He/she may include the information giving credit to the fact that a lot of people would want to work for the company because of the many wonderful things that are happening for the employee and the workplace. One such example of a company receiving multiple unsolicited application letters is, of course, Google. 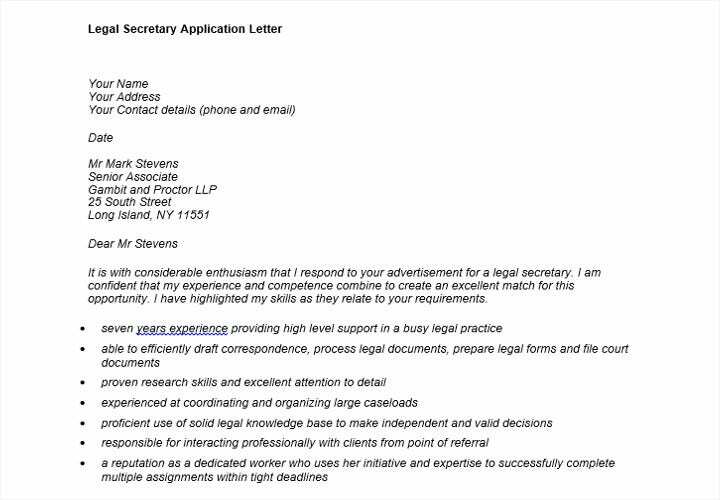 Unsolicited application letters can be quite tricky, with the applicant having to write it in such a way that the reader’s interest must be stimulated. 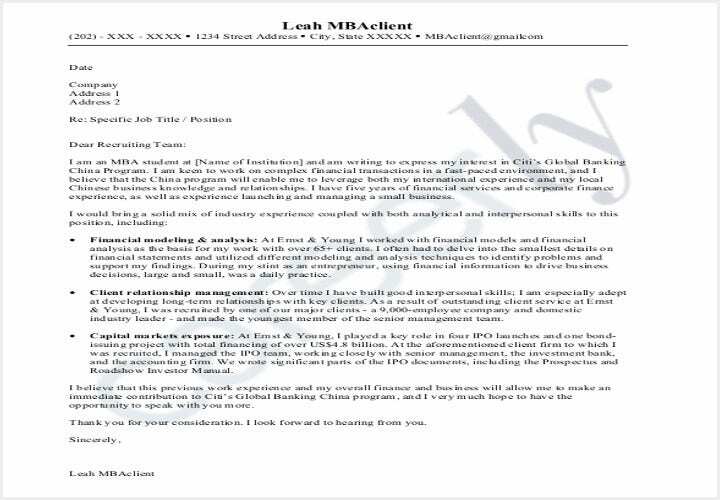 Sadly, as often happens too many times when a company is not hiring, an unsolicited application letter either goes to the filing cabinet for future reference or gets relegated to the trash bin for lack of any opening in any of its departments. 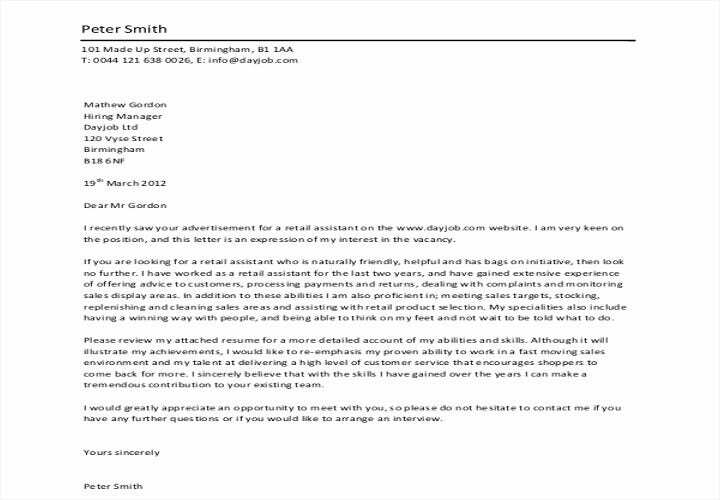 If no opening has been posted by the company, employers usually don’t expect to receive any letters of application. 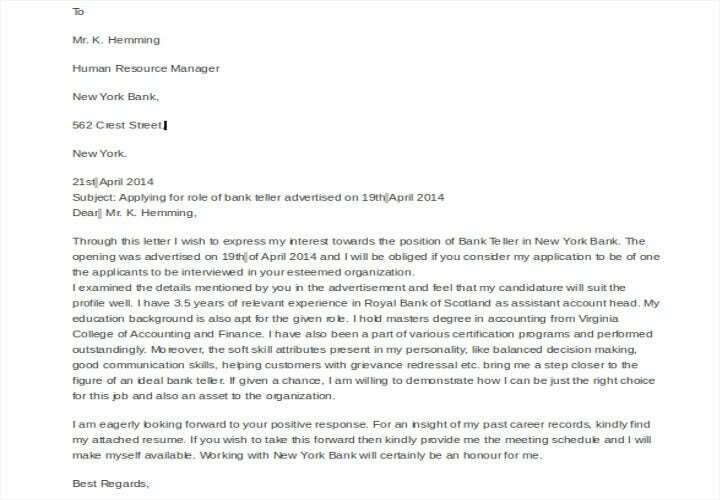 For this reason, the applicant’s chances of being hired are slim, but as the old saying goes, it never hurts to try. Who knows, your gutsy undertaking may interest the employer enough to recognize your potential. Your enthusiasm might help prove your worth to achieve the company’s goals in the process. 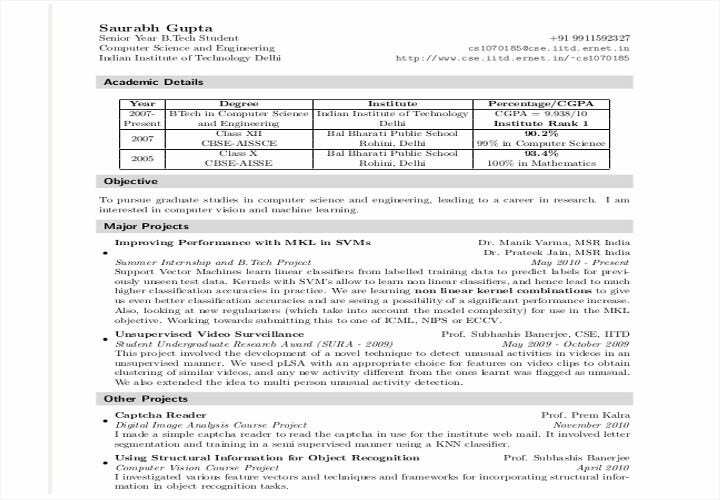 Please check our unsolicited letter samples that you can use for reference when drafting your own application letter. These are all free for downloading. 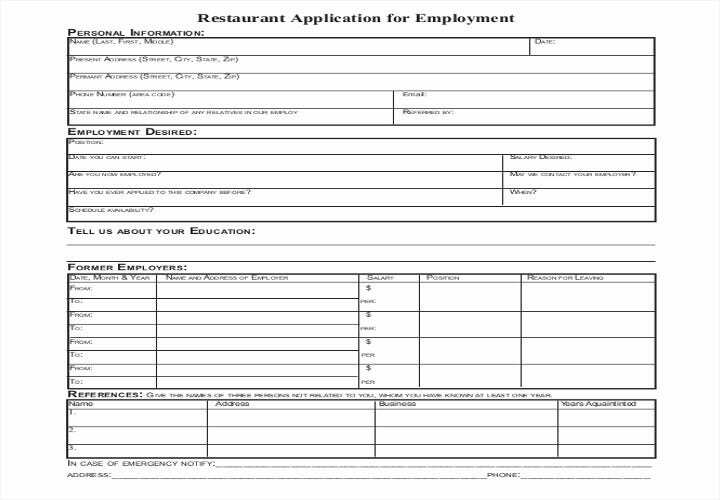 As explored in depth in Chapter VI of this article, employment application forms are used by employers who run businesses like shops, bakeries and restaurants who often employ walk-in applicants. 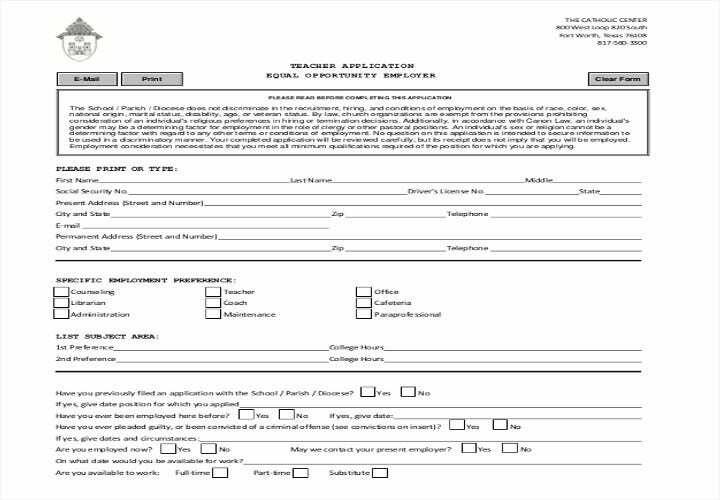 In order to save time and prevent the hassles of interviewing an applicant in-depth, employers often prepare application forms for applicants to fill. 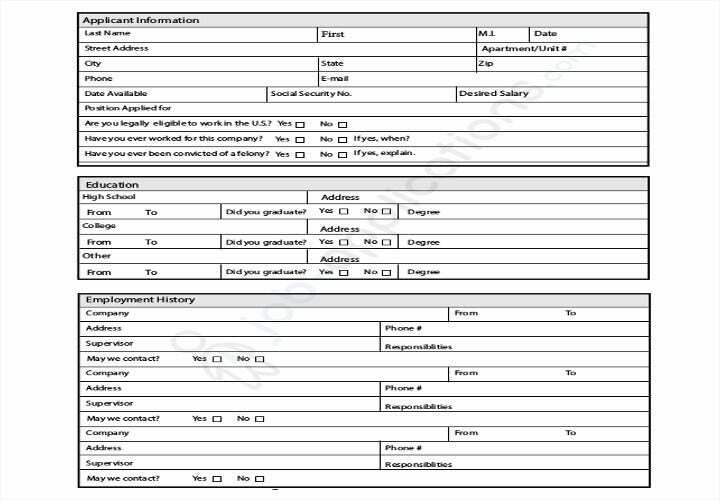 Besides the usual applicant name and contact details, a job application asks a couple of questions meant to determine the employee’s ability to deal with his/her job’s responsibilities and their potential to deal with customers. 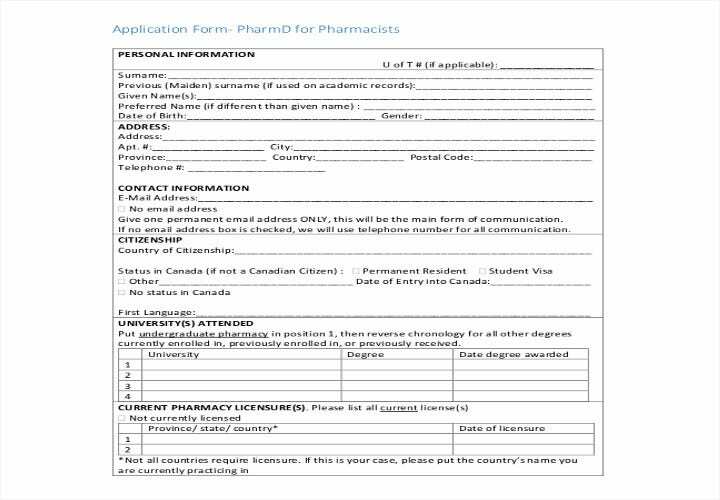 While a resume or curriculum vitae is used more formally to highlight an applicant’s skills and give weight to his or her credentials, employment application forms require factual responses and the applicant’s signature to make sure he/she is telling the truth. 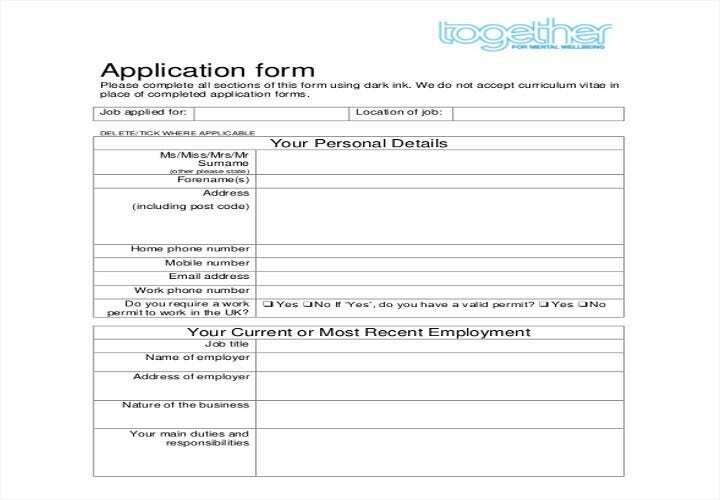 Application forms also make it easier for applicants to fill up rather than to write an extensive resume. It’s safe to assume that resumes are required for white-collar jobs that require more responsibilities in the office while application forms are used more for pink-collar jobs that have a faster turnover rate than regular office jobs. 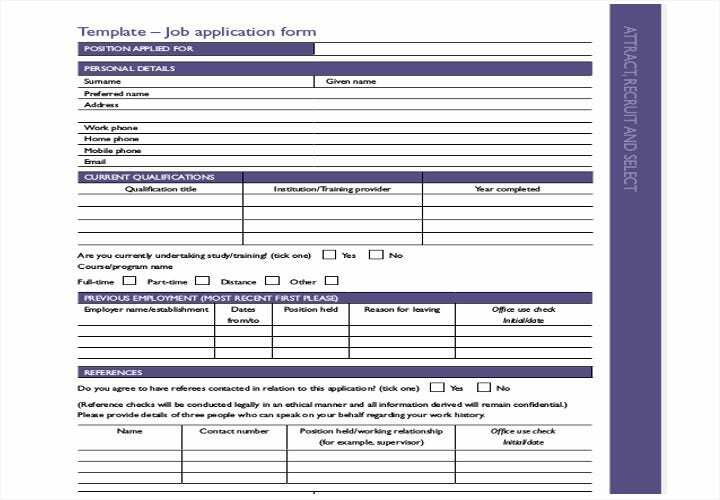 Here are a couple of samples of application form templates that both employers and applicants can use. These are all free to download and can be edited or modified before printing. 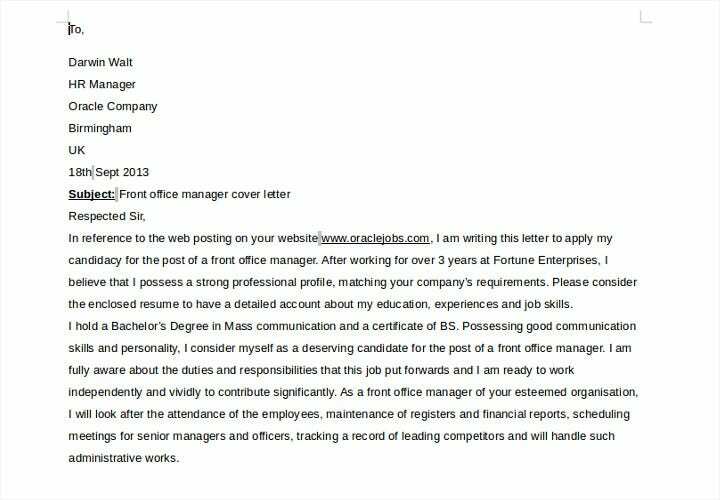 In order to make a good impression, a potential applicant must write a cover letter that lets the employer know of his/her accomplishments and potentials, which may both sound impressive and efficient. 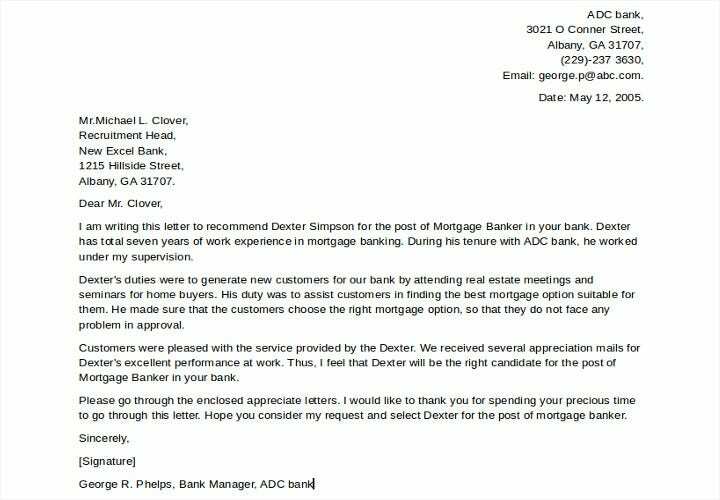 A cover letter is not only meant to showcase an applicant’s skills, it also shows to the employer how well the client can communicate and relay his/her message effectively. 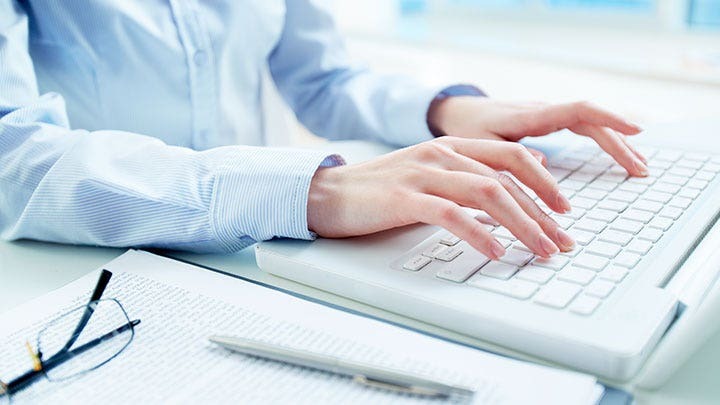 By being effective, it means your cover letter is written in a formal way that conveys the tone, besides the format and content of the application letter. 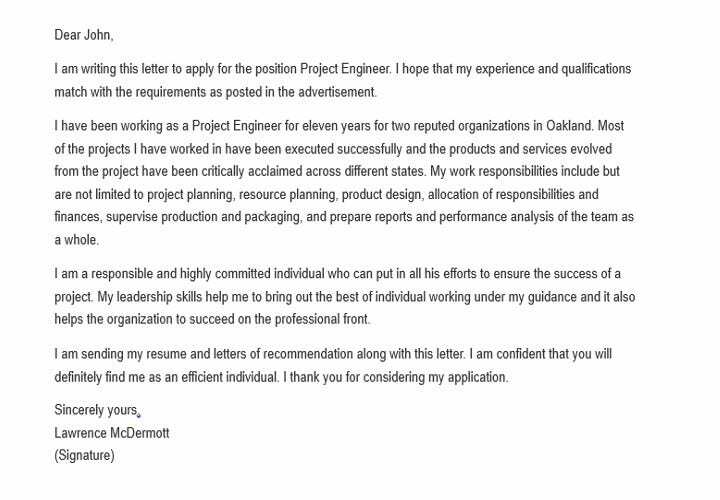 In doing so, you need to be very careful when drafting a cover letter for your application. Even if your resume displays an impressive set of skills and qualifications, as long as you fail to communicate in the right way, your chances of getting hired may be affected. 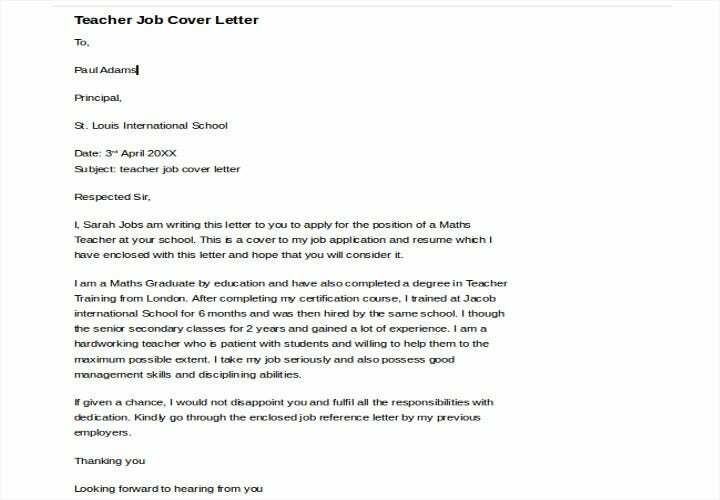 That’s why it’s very important to review your draft of your cover letter before going ahead and submitting your application to an employer. You can ask somebody who’s experienced well enough to take a look at your draft and suggest edits or revisions before making your final letter. 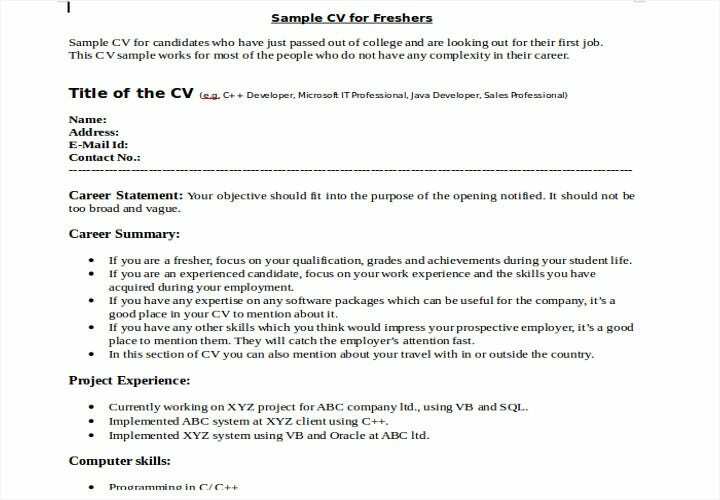 Or you can take a look at our examples to get the feel, tone and correct format and proper grammar in order to write your cover letter perfectly. Take a good look at each of our samples which you can modify to fit the details of your application. 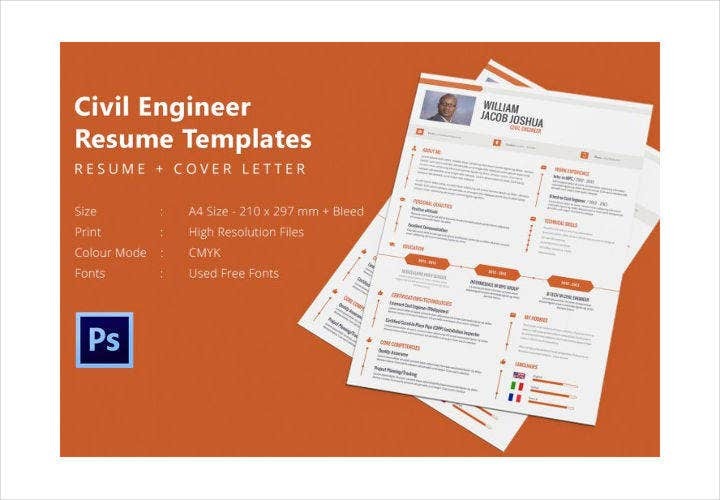 These cover letter samples are all free for downloading and are printable so you can easily use them as a reference for your own cover letter. 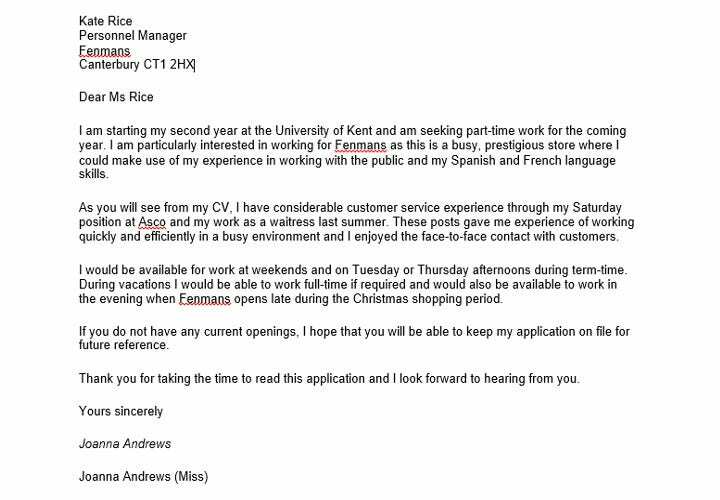 Applying for a job as a fresh graduate can be quite a challenge. For one, you have zero experience in working. Even if you feel like being qualified for the job, having studied for that kind of field in a theoretical setting, you become disheartened when you see that most employers look for applicants who have at least a year’s experience in the same kind of work to become hired. 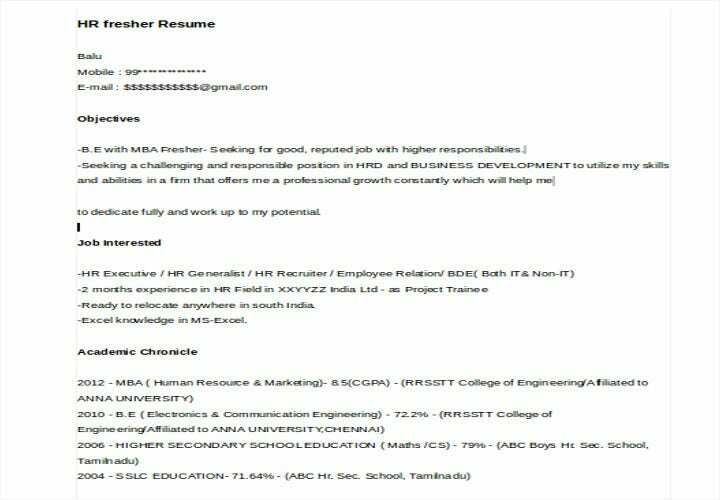 Name and Contact Details: As a standard format for all resumes, you need to include your full name, address and contact details. Objective: Since you obviously lack work experience, your resume should focus more on your skills and abilities that you can contribute to the company. Don’t forget to emphasize your willingness to learn along the process of your employment. 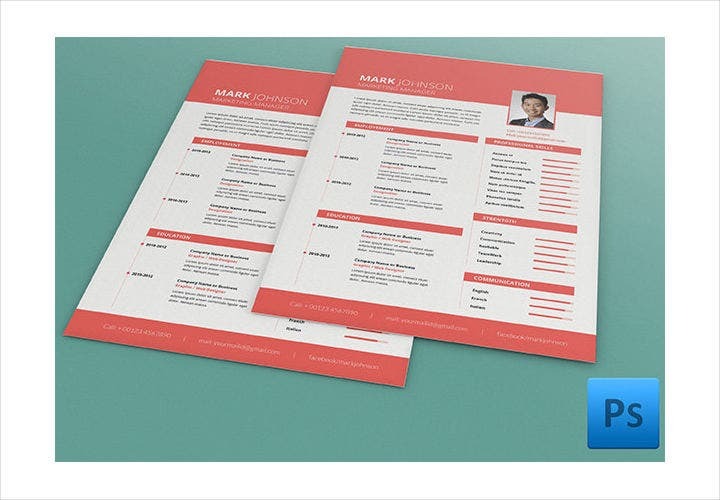 In the main body of your resume, you should also mention your traits that you think will be useful for the company and enumerate your abilities that you possess. 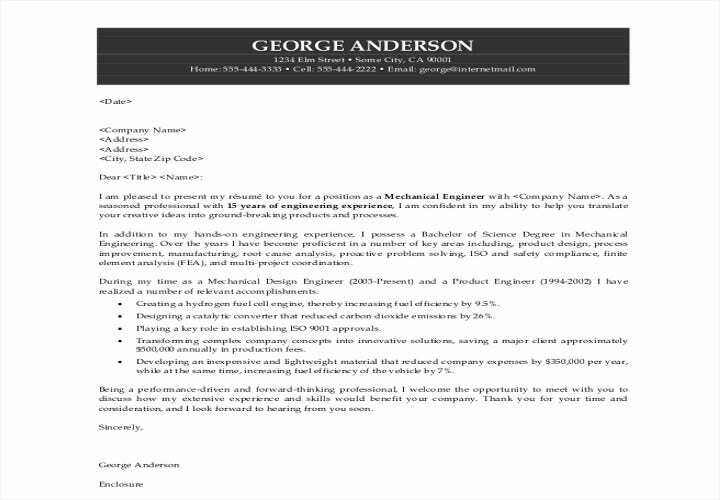 Educational Background: Since most employers tend to give weight to an applicant’s highest educational attainment to see if the applicant would meet the job requirement, indicate your most recent academic achievement and the degree you have obtained. 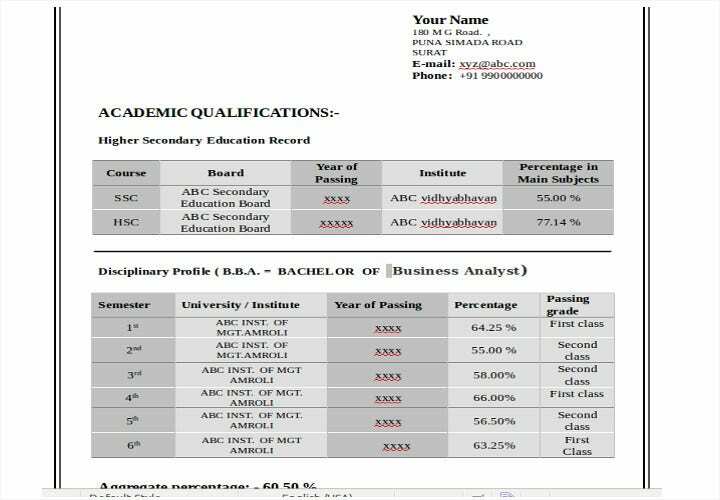 If you got high grades, include your GPA to give credence to your qualifications. If you obtained a master’s degree, it’s important to mention that too. The higher your educational attainment is, the bigger your chances of getting hired. Any Work Experience: Just because you’re a fresh graduate doesn’t mean you practically have no work experience. 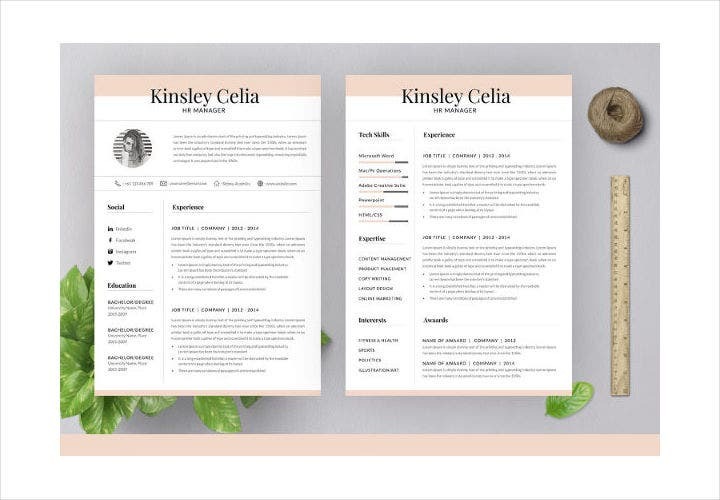 Since it’s a standard format that a resume must have a work experience specified, indicate your internship experience as well as part-time jobs you’ve held. Make sure to name the company where you’ve had your experience and what your responsibilities were. You may also mention leadership and educational awards if you’ve been awarded these, and educational honors especially if you’ve been an honors student. If you happen to have a professional license, it’s highly recommended that you include that also to add to your professional skills. 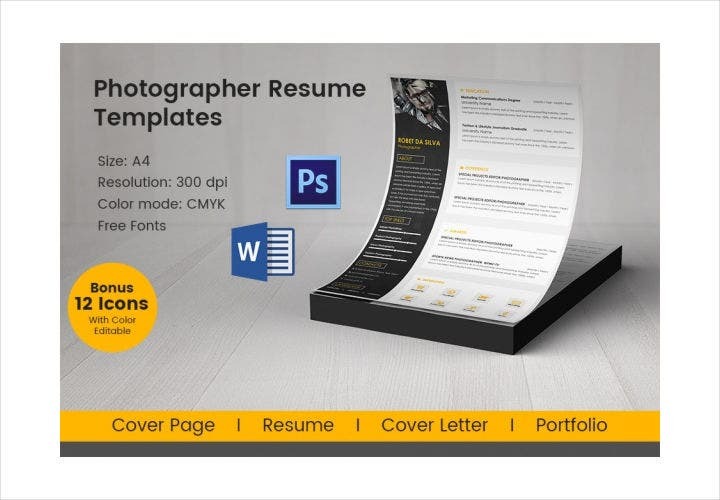 If you happen to work in creative jobs like that in media advertising, web, print and multimedia designs, it’s extremely important that your resume reflects your expertise. 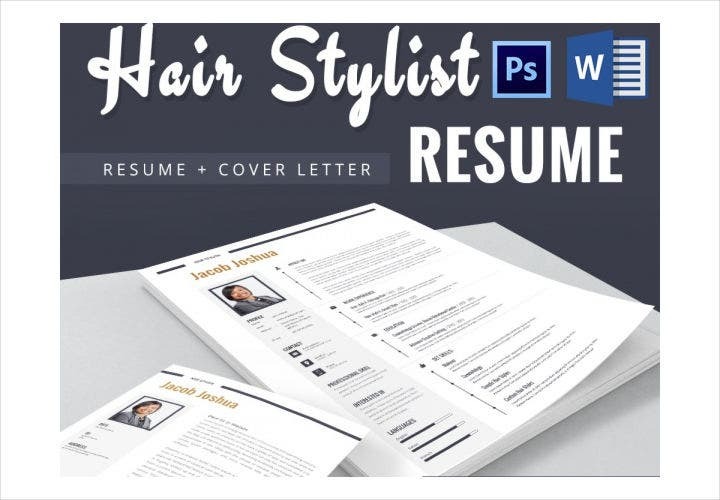 It doesn’t mean that your resume should have lots of colors, cartoon-like illustrations and overdone graphics that put a strain on the eyes. 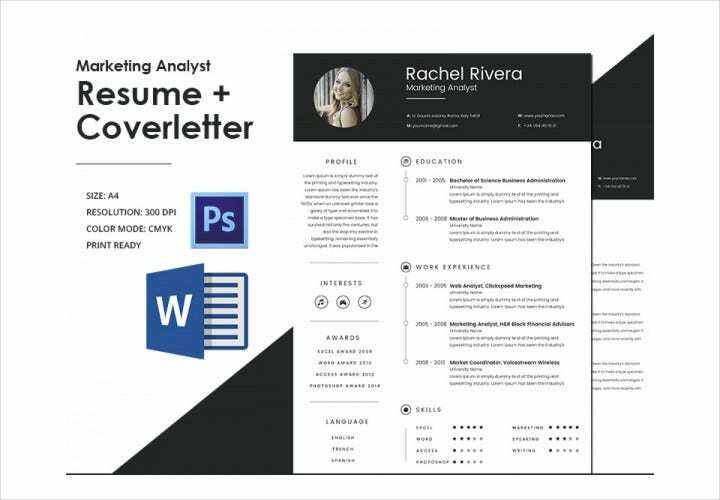 Even a simply-designed resume can do wonders as long as it’s presented clearly in a not-so-plain resume that shows your artistry befitting your profession. 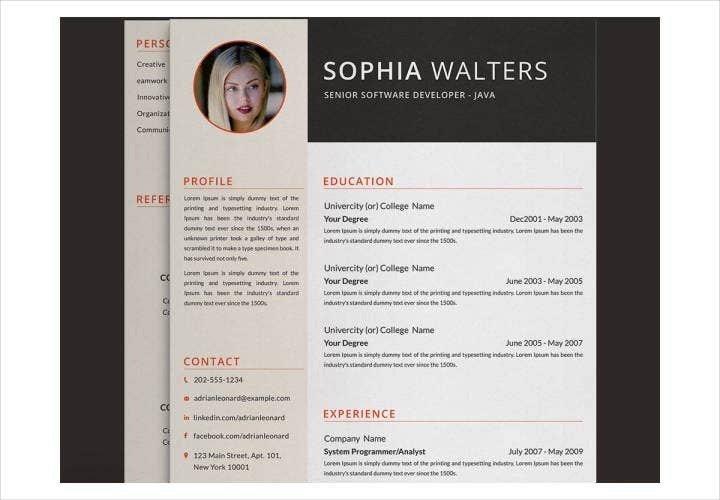 Creative resumes are not just about designs but substance as well. What your employer would like to see is how qualified you are and what skills and abilities you possess that can enhance his company’s business in the field of multimedia design or advertising. 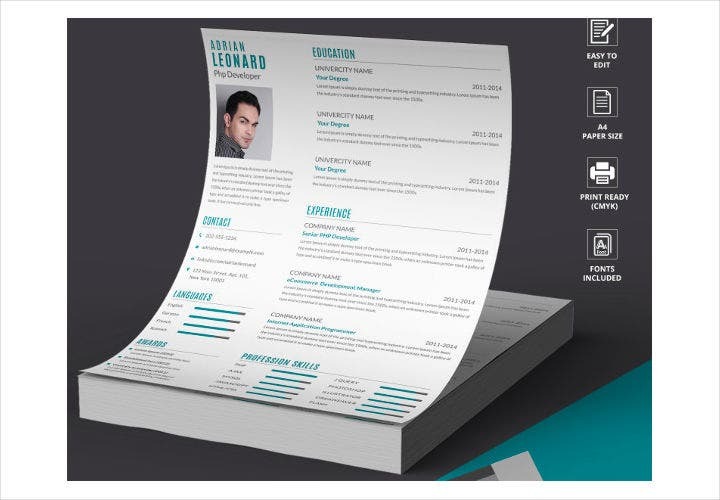 A creative resume works well when you focus on enumerating your skills in a chronological way in your resume. 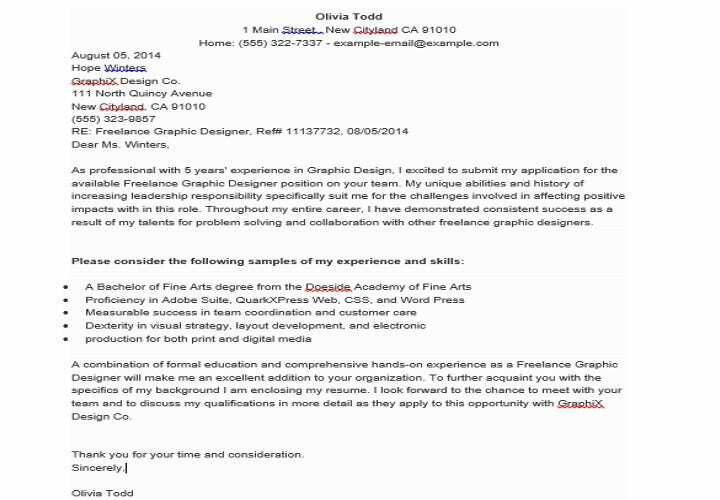 Your work experience is a hundred times better than the design of your resume. Even more impressive is when you’re able to present a list of your publications and awards and everything that supports your talent and abilities. It’s even more effective if you have a portfolio that highlights your work and proves your skills. 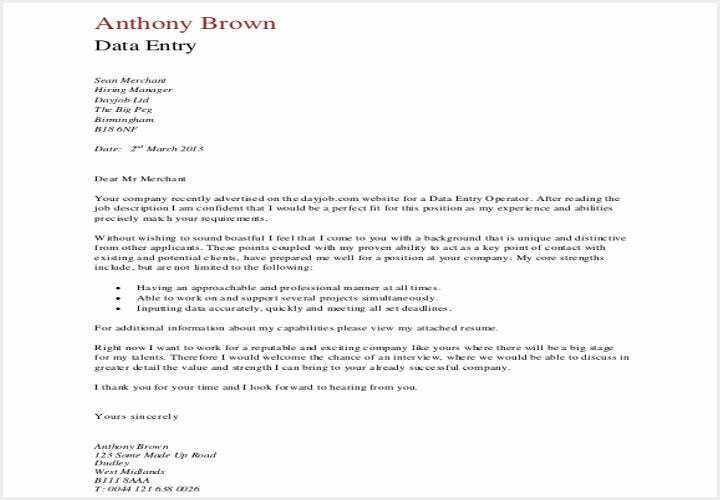 It’s a case study that you can present to your employer which they can see and can be used as a basis for hiring you. 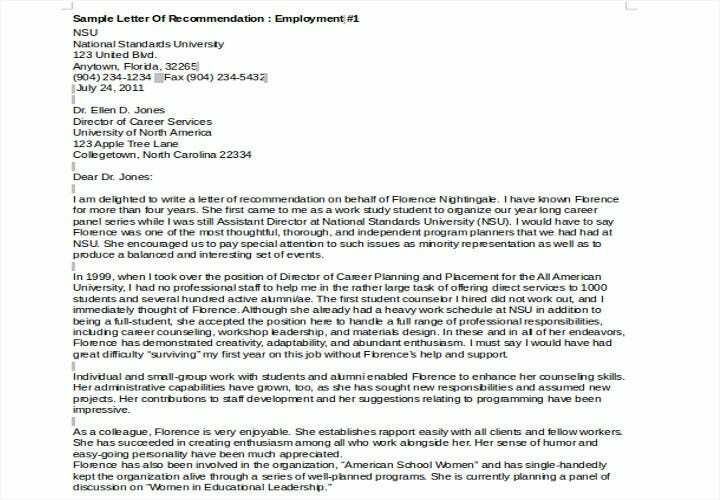 When applying for a job especially as a fresh graduate, it often helps that you have a recommendation letter from one of your favourite professors in college. Teachers carry a lot of weight primarily if that teacher happened to handle one of your major subjects that are directly tied to your degree. Teachers are one of the principal sources who can vouch for not just an applicant’s academic performance, but the applicant’s character as well. 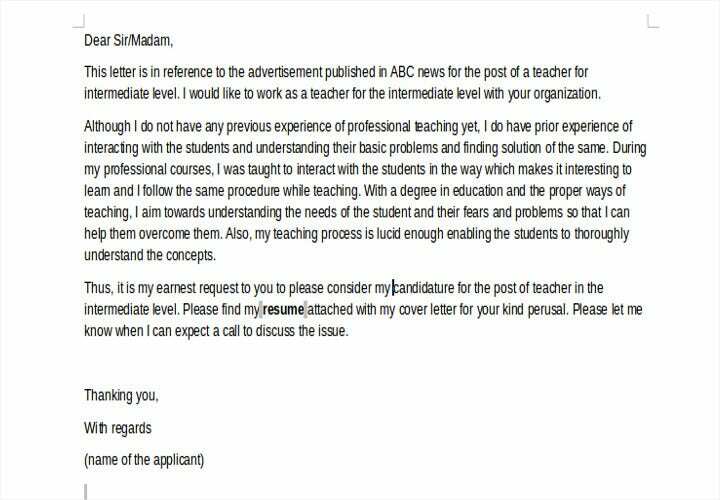 An applicant who asks for a job recommendation from one of his or her teachers, must, however, keep in mind that the teacher who makes the job recommendation letter must know the applicant personally. 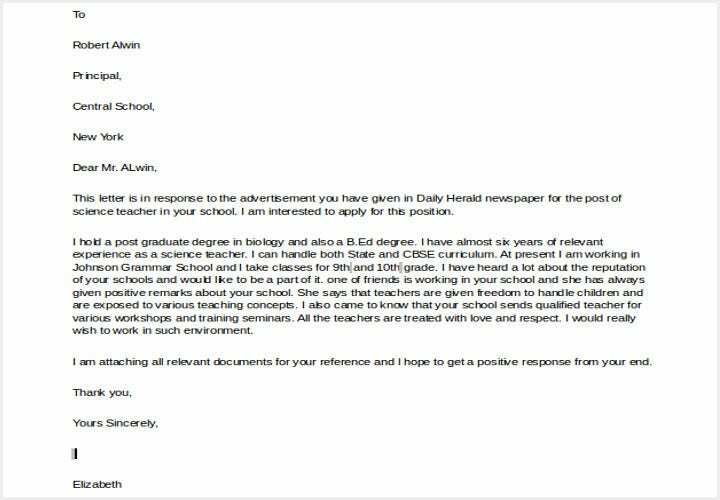 It wouldn’t help if the teacher writes a brilliant recommendation letter about his or her former student without knowing the exact details how that student performed in class. 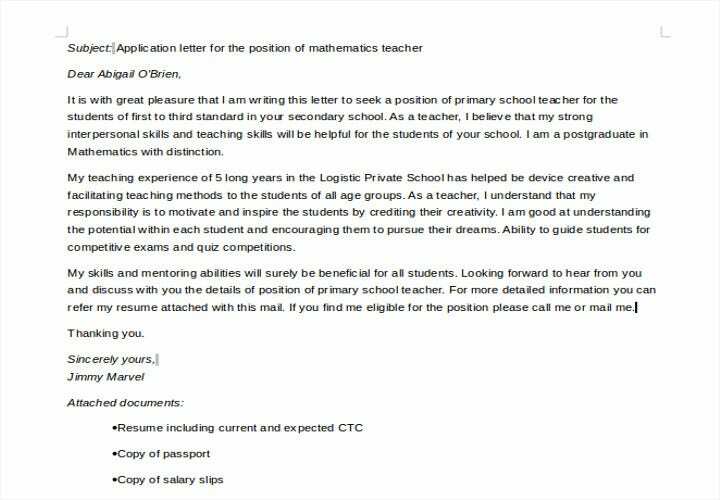 It would be quite embarrassing for the teacher to be called by the company and asked for details regarding the applicant’s performance in school only to realize he/she could not remember any specific detail from the applicant’s time as a student. 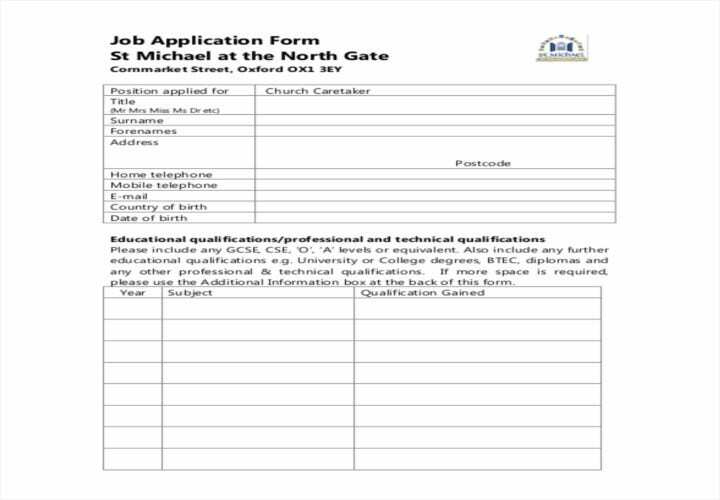 If the applicant cannot supply the employer’s name for whatever reasons, it’s an accepted salutation that the letter will begin with “To Whom It May Concern”. 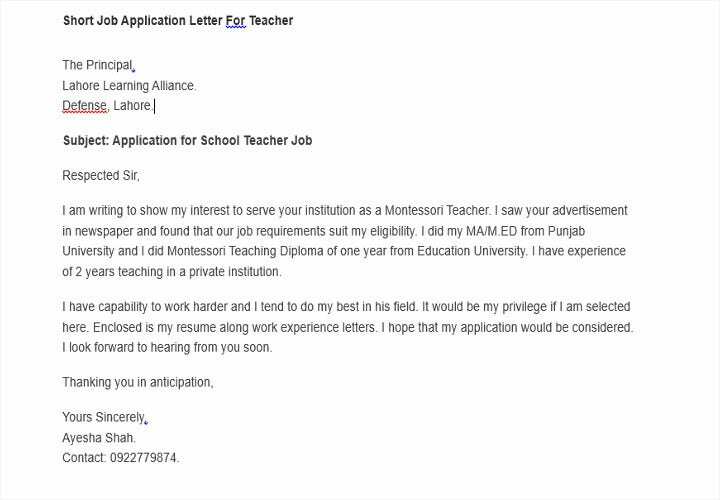 As much as possible, however, the teacher should ask the applicant to supply the name of the employer or admissions officer to make the recommendation letter as specific as possible. 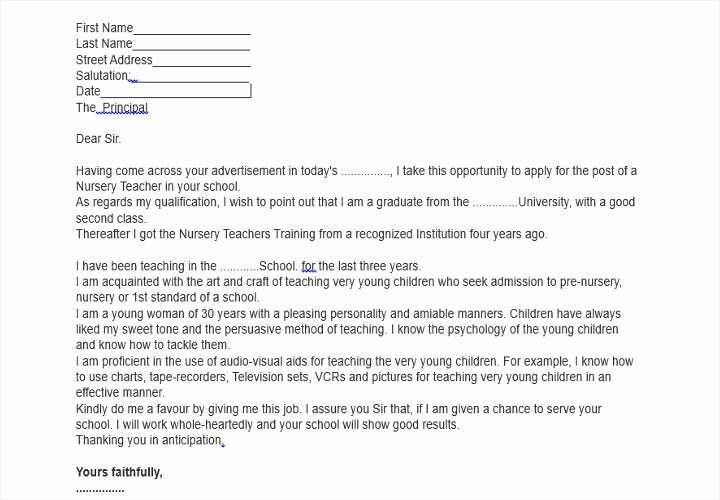 Our job recommendation letter samples from teachers will show users a couple of examples that can be used as a reference on how to write a good recommendation letter. 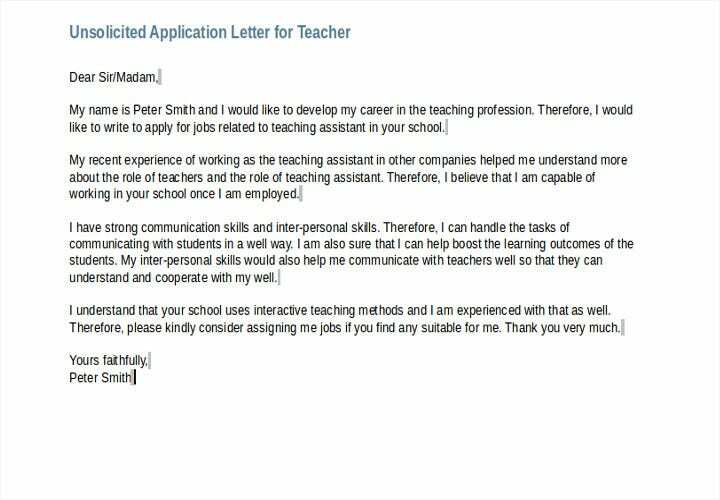 These samples can both be used by teachers as well as applicants to get a general idea on the perfect way to write an excellent job recommendation letter. In the corporate world, everyone is expected to move on with their careers along the course of one’s employment. 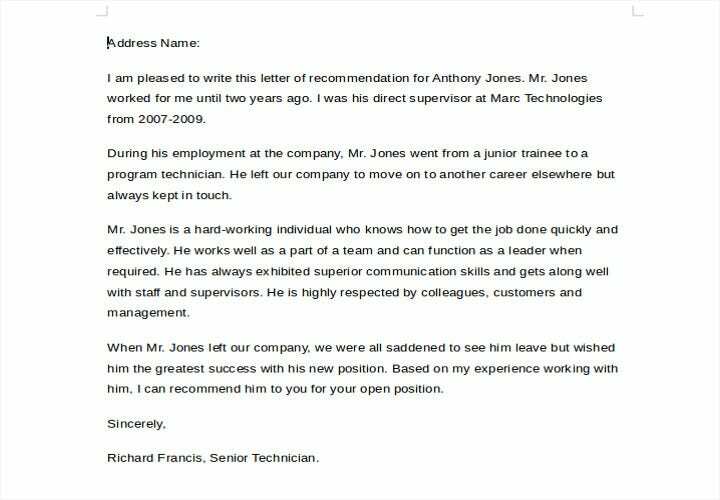 For this reason, employers, managers, and supervisors are often asked by employees for a recommendation letter when they switch jobs. 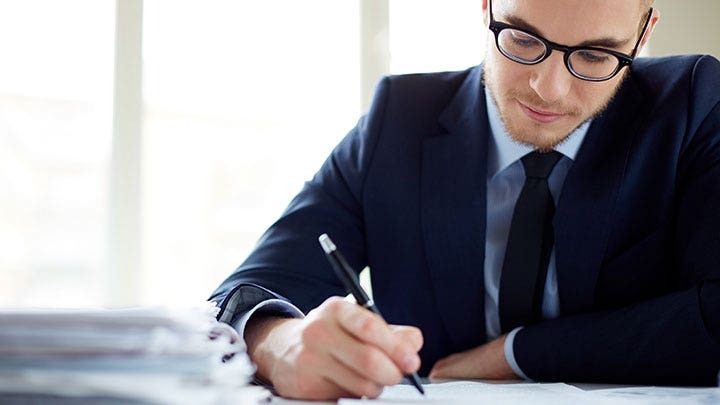 Knowing how a boss’s recommendation can greatly affect the employee’s chances of getting hired should dictate the terms of how a boss should write his or her recommendation letter. 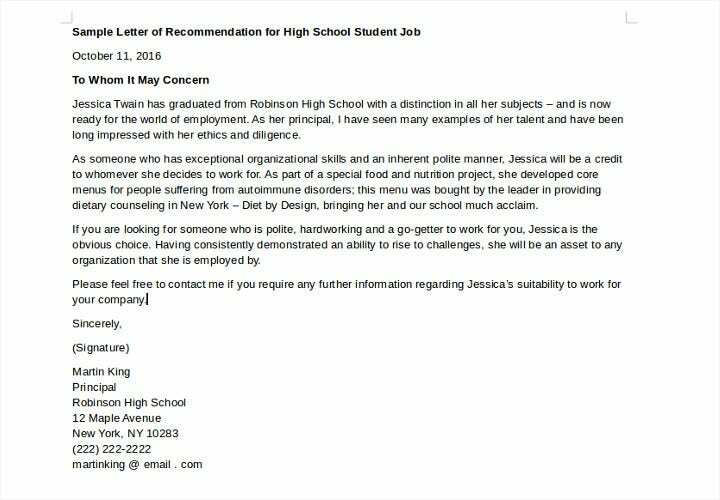 If the employee happens to be exceptional in his/her position and responsibilities, then there wouldn’t be any problem writing a glowing recommendation letter. 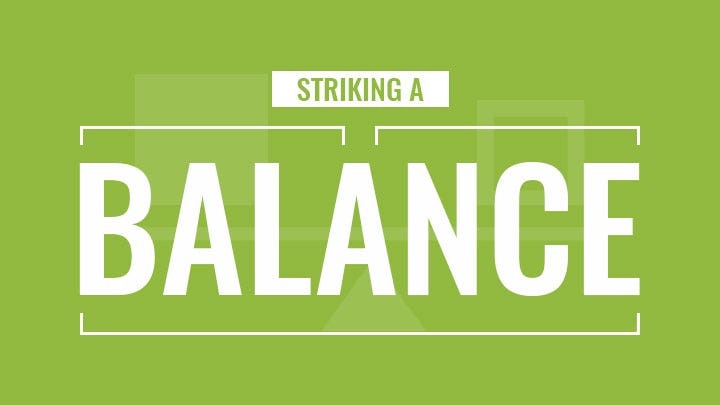 However, if the particular employee happens to be somewhat of a laggard in his/her duties and responsibilities, a dilemma is bound to ensue on the boss’s part and he or she must ensure to strike a delicate balance between an honest assessment of the employee’s skills and his/her weaknesses. 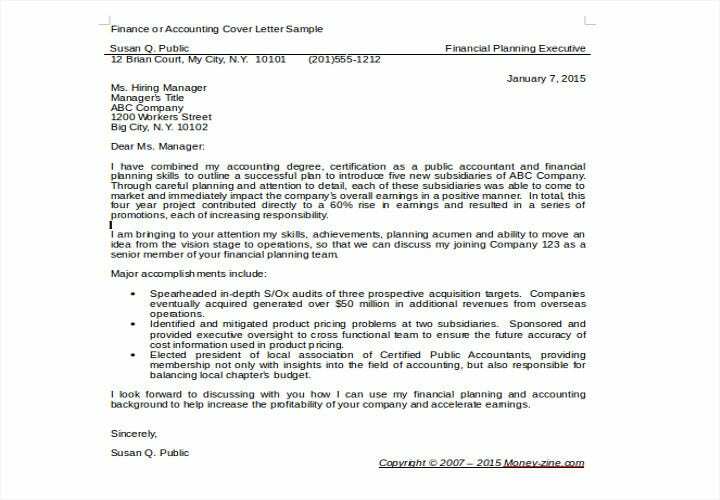 A job recommendation letter from a former boss must, therefore, be both fair and balanced. First, the boss should offer specific examples of skills that the employee is good at and for the employee’s weak points, the boss should accentuate on where the employee needs help or support to improve on his/her weak points. 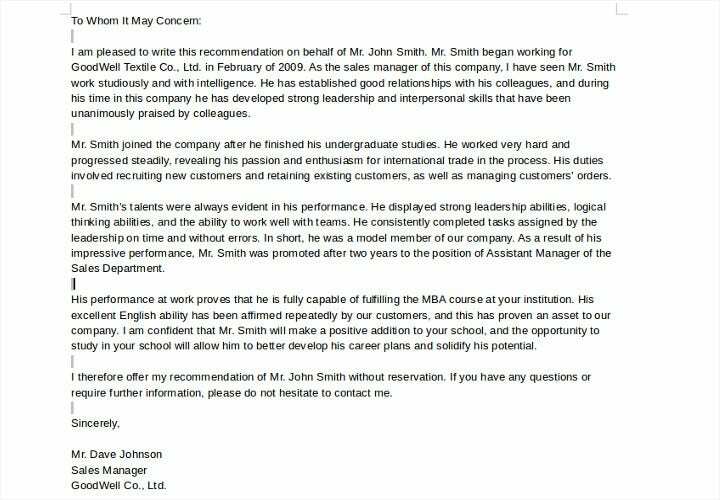 It’s not advisable to say very negative things about the employee but the recommendation letter wouldn’t be believable either if everything about the employee is all positive. 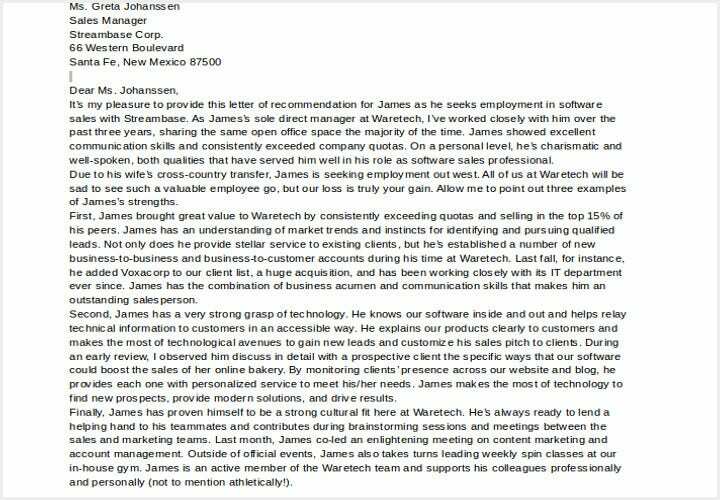 In order to get a good reference on how a recommendation letter from a former boss should be written, we offer a couple of examples that users may find helpful. 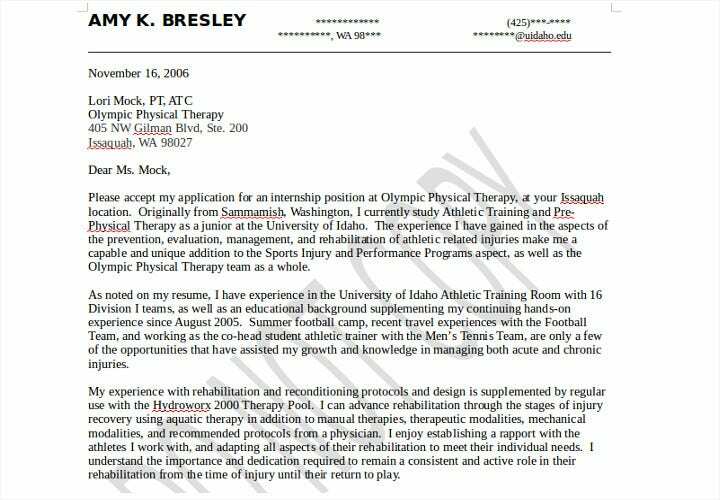 These are all available free for downloading and can be printed for use as examples to draft your own recommendation letter. 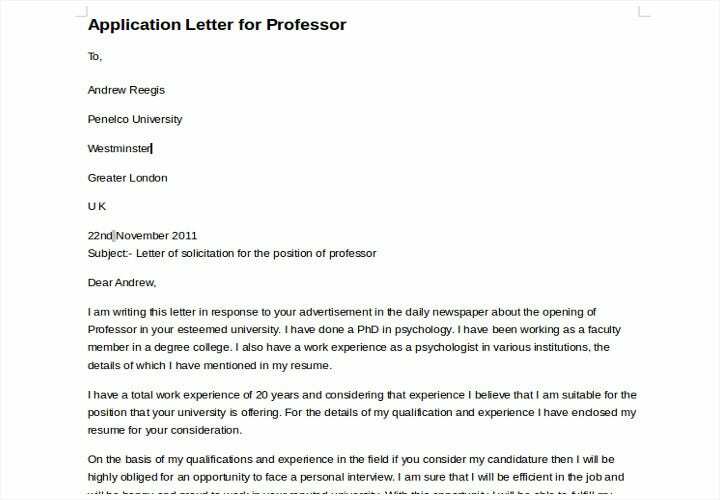 Finally, for those who need to write a recommendation letter, it shouldn’t be much of a challenge endorsing an applicant, especially if he/she happens to have the skills and qualifications needed for the job. 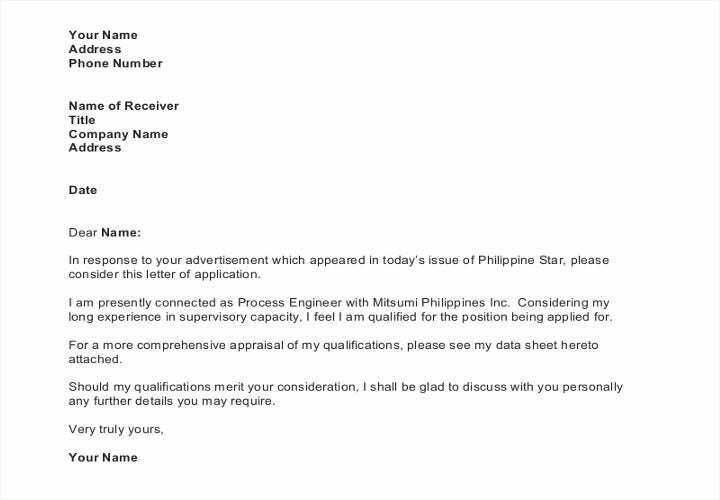 What’s important is how you make your endorsement in such a way that it helps the applicant get hired. 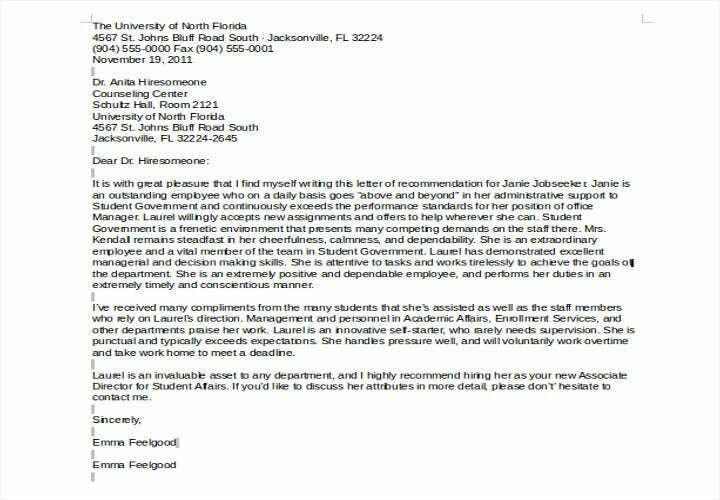 Here are more examples of general recommendation letter templates that anybody can use either as samples or reference for drafting their own recommendation letters. 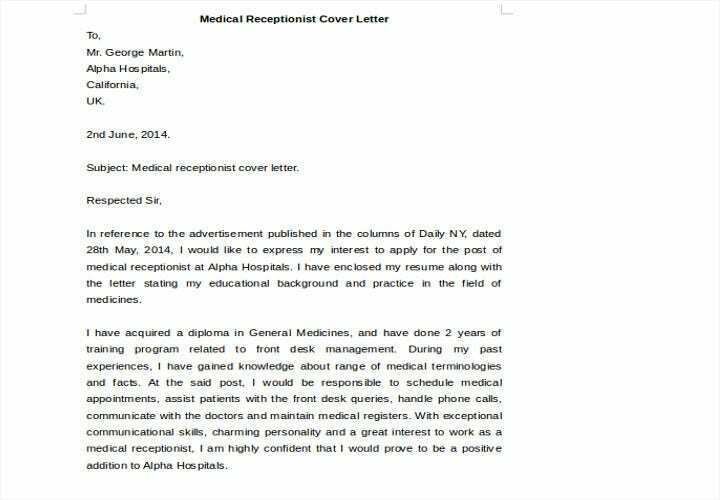 Following the template, examples ensure that you can write an effective and descriptive job recommendation letter. 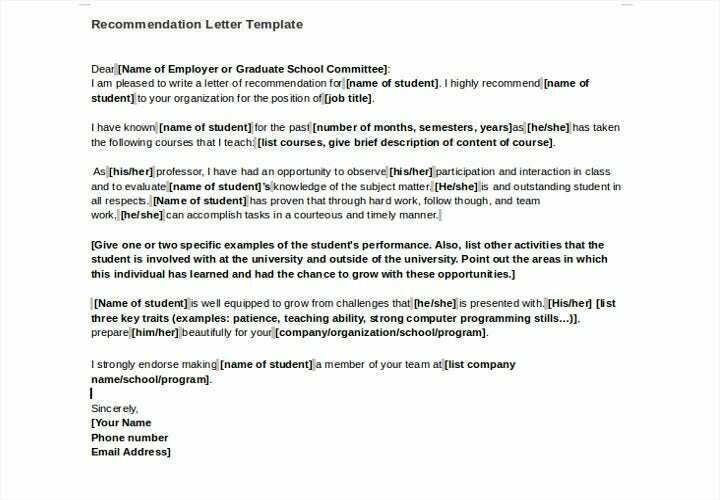 These templates will show you the correct format which you can follow to make a recommendation letter and appropriate for use in any job, depending on the applicant’s skills and qualifications. These can be edited to specifications and are free for download either in Word Doc or PDF file formats. 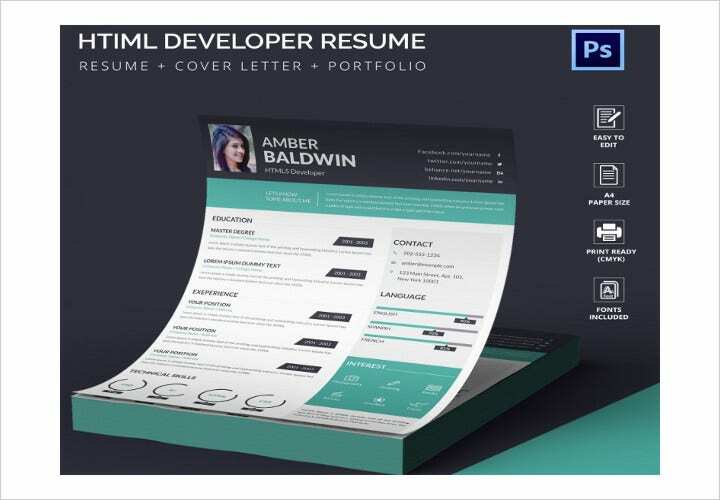 15+ Internship Application Templates – Free Sample, Example, Format Download!